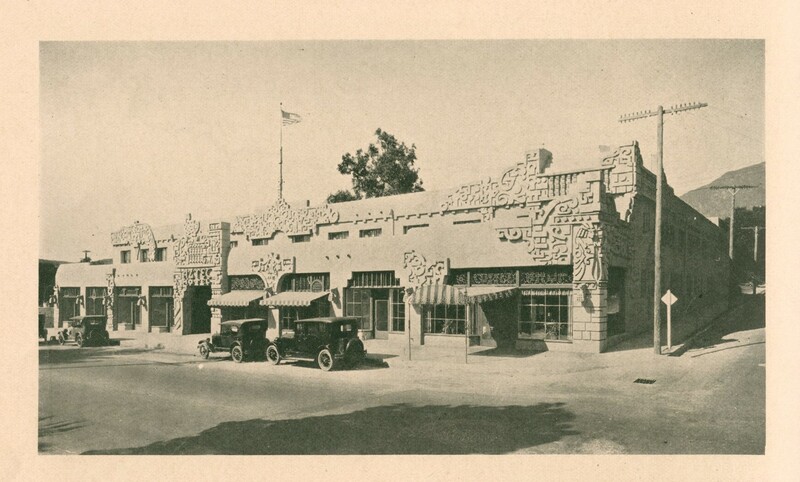 The Aztec Hotel, on Foothill Boulevard in Monrovia, opened on September 1, 1925. 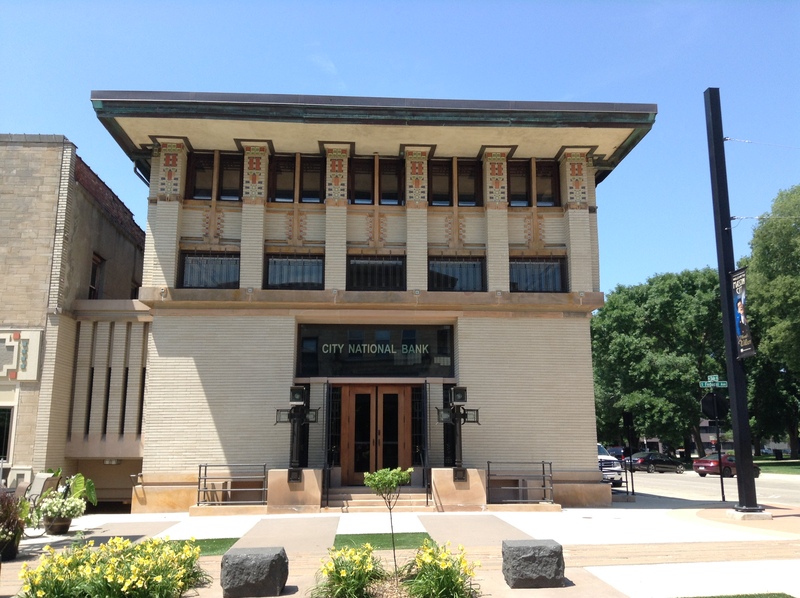 The building’s architect was Robert B. Stacy-Judd. Stacy-Judd was bigger than life. He wrote books, explored the jungles of Mexico and Central America, designed outlandish buildings and married three times. 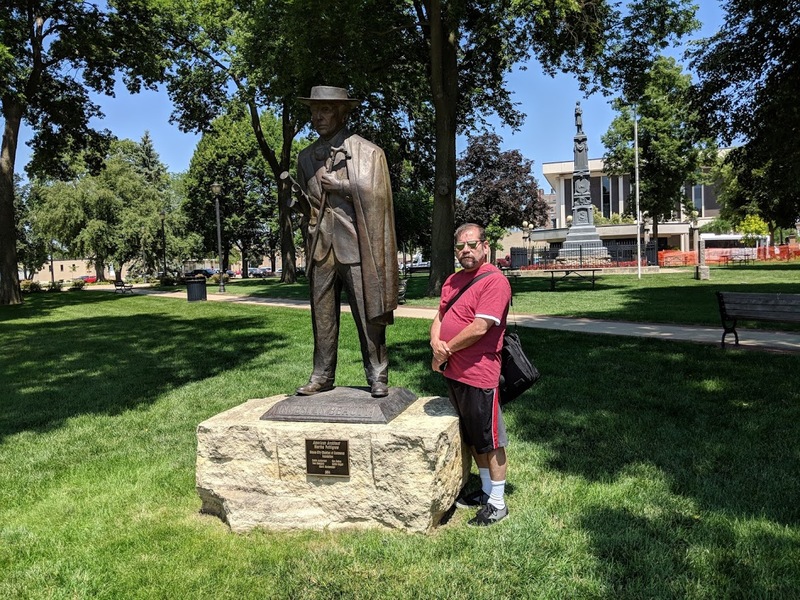 In the 1920s and 1930s he was like the fictional character Indiana Jones but when Stacy-Judd’s life was drawing to a close he lived alone, was broke and almost blind. 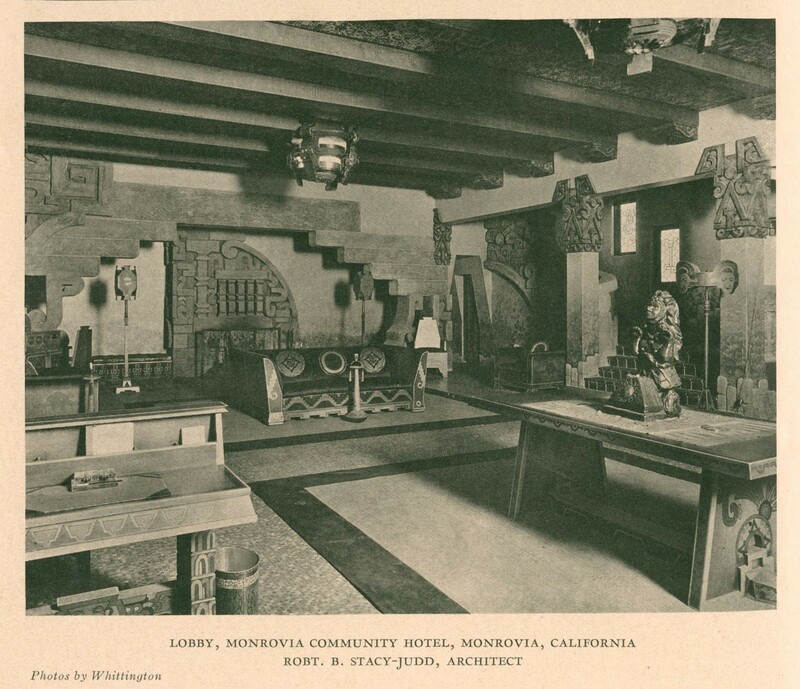 When the Aztec originally opened it was also known as the Monrovia Community Hotel. 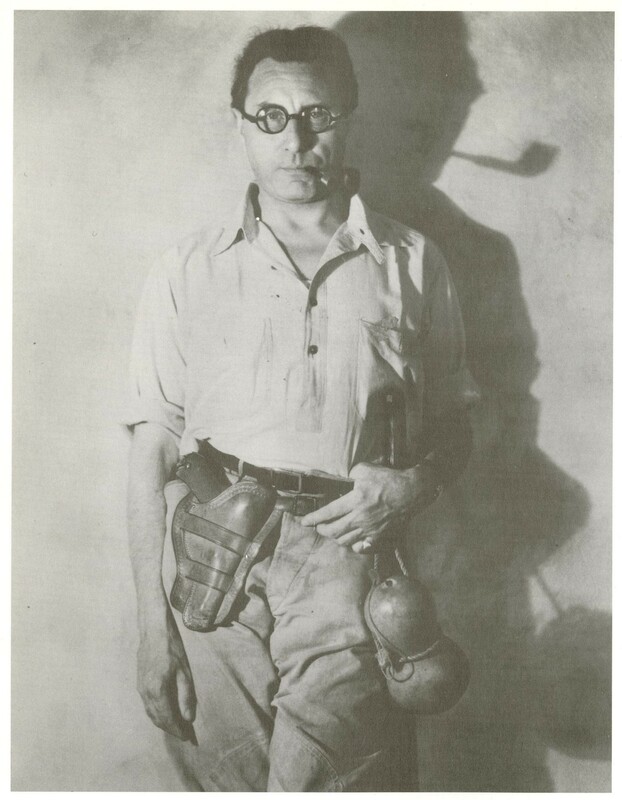 According to David Gebhard’s book on the architect — Stacy-Judd was born in London on June 21, 1884. His father, Benjamin Stacy-Judd, was a victualer (a person licensed to sell liquor or someone who sells goods to sea going vessels) which, according to Stacy-Judd, meant his father spent a great deal of time away from home peddling goods. Stacy-Judd stated in an unpublished biography that his parents were very strict disciplinarians and adhered to a time-table for the fundamental aspects of life including waking up, meals and bedtime. What Stacy-Judd remembered most about his father was that he enjoyed strolling around London and his father often took him along. 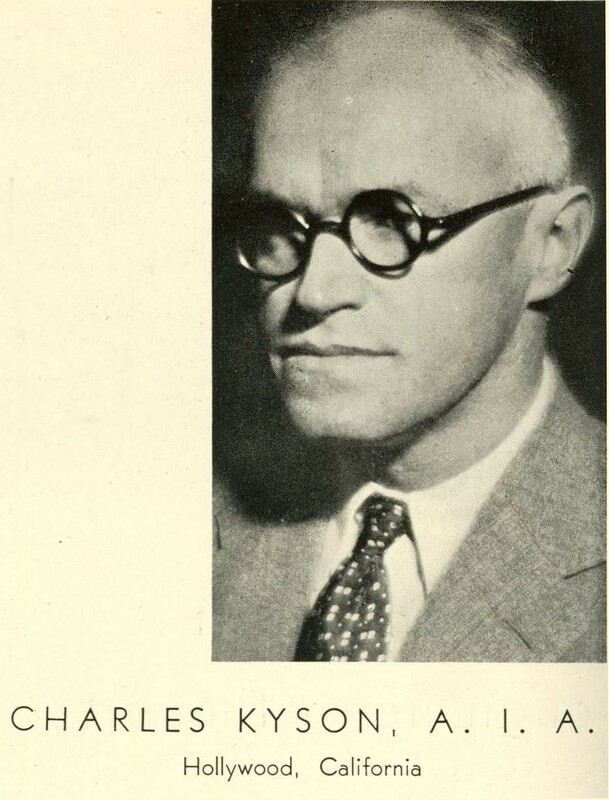 Robert B. Stacy-Judd in 1932. Used with permission: Robert Stacy-Judd papers, Architecture and Design Collection. Art, Design & Architecture Museum; University of California, Santa Barbara. This was obviously during that transitional archaeological period when explorers still looted some of the riches they found. The story said after the wedding the two would venture to the Yucatan (for their honeymoon) and search for more treasures and hidden archaeological sites. Their Yucatan honeymoon entourage was scheduled to include a string of motor trucks, a small group of archaeologists, some motion picture cameramen and a small dirigible that could travel above the jungle’s forest. One of the books Stacy-Judd wrote. This copy was autographed by him. 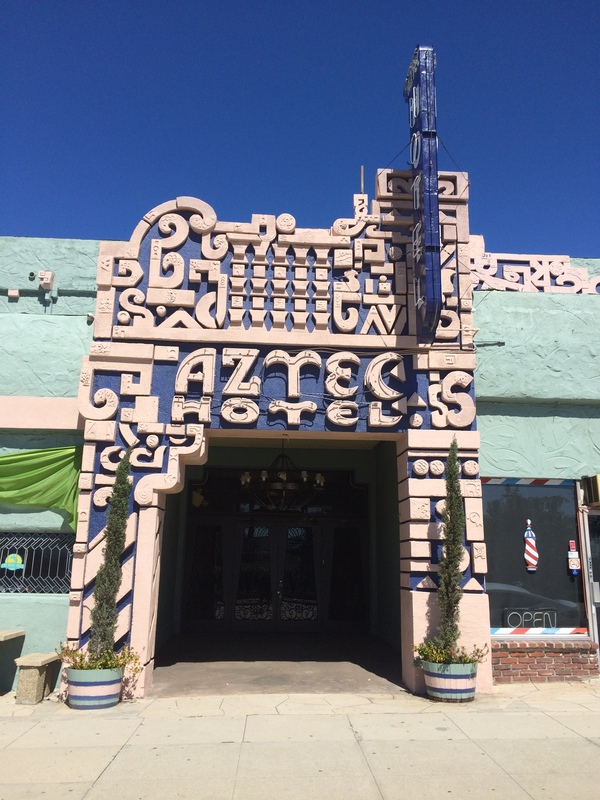 The Aztec Hotel. The image is from Pacific Coast Architect. Another photo from Pacific Coast Architect. Notice that the building is listed as the Monrovia Community Hotel. 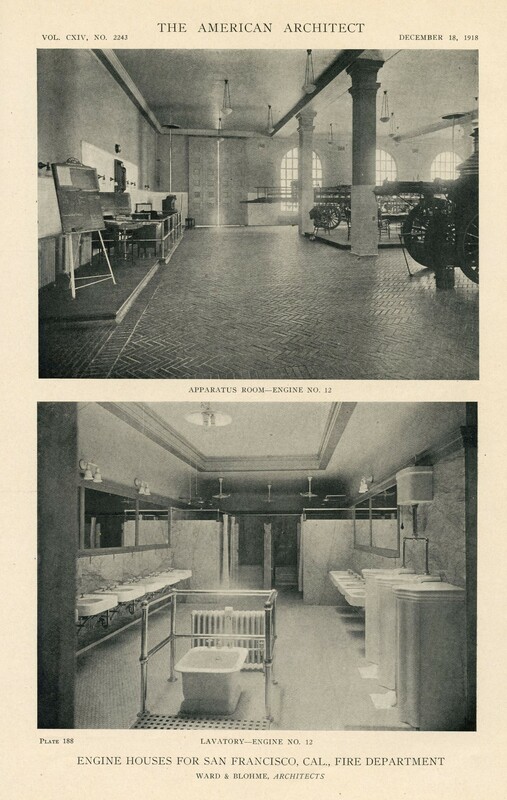 The hotel opened with a viewing (inspection), which was open to the general public, followed by a dinner-dance in the café which was by invitation only. 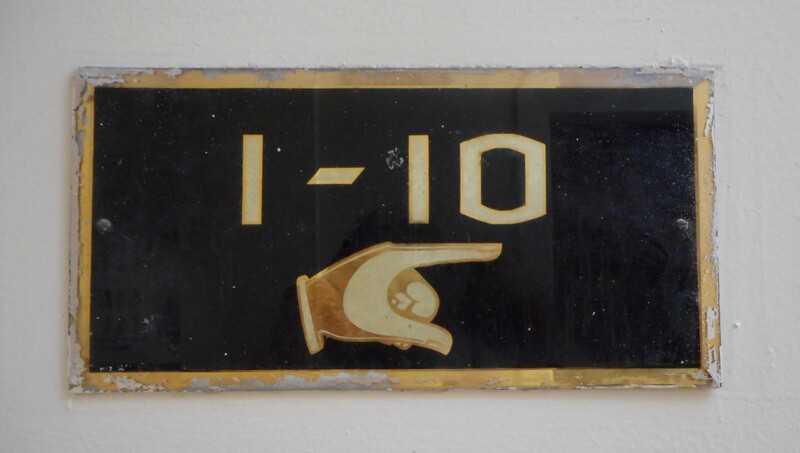 The hotel was originally constructed with eight apartments and thirty-six rooms. It took almost a year to build and cost approximately $250,000. 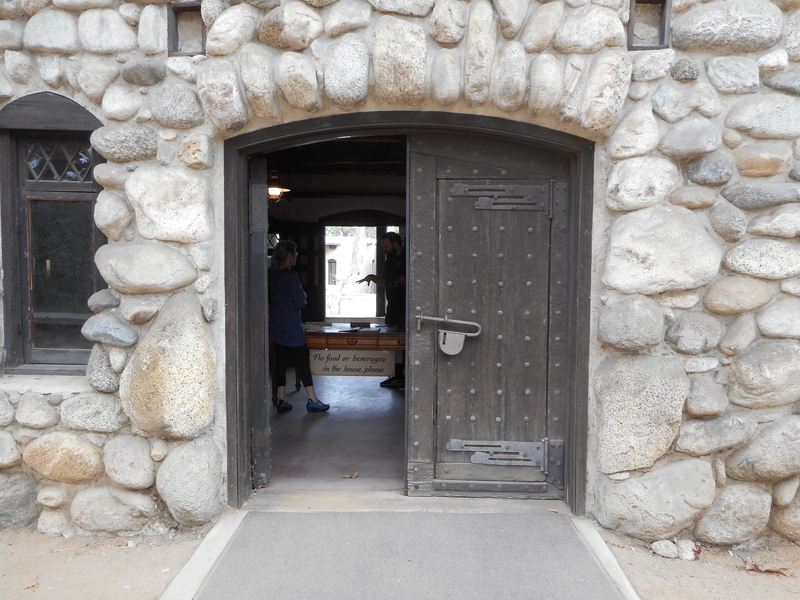 The check-in desk or registration desk is that curved half-wall behind the trestle table. 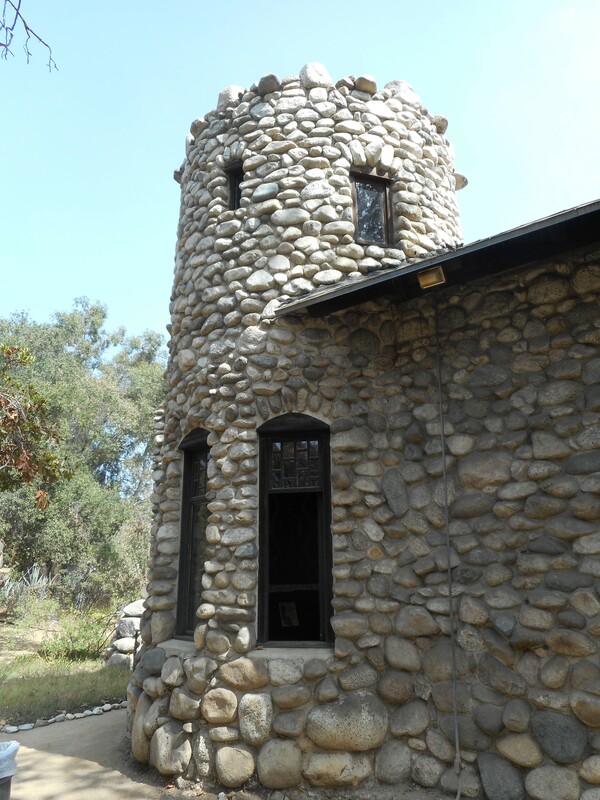 Stacy-Judd also designed a notable Masonic Temple at 5124 N. Tujunga Avenue in North Hollywood and the Philosophical Research Center in the Los Feliz neighborhood of Los Angeles. In 1972 a reporter found Stacy-Judd living in his crumbling San Fernando Valley home — a home Stacy-Judd had designed forty years earlier. An apartment building sat on what used to be the front yard of the home so Stacy-Judd lived in the shadow of the apartment building. According to the reporter the interior was cluttered and stuffed with books, mementos and everything else someone would save over a lifetime. Stacy-Judd was 88 years old at this point and lived on Social Security and welfare aid for the blind. A couple, who had dealt with Stacy-Judd when he was younger and in better financial condition, felt sympathy for him and paid the taxes on his house and helped him with food purchases and his utilities. Stacy-Judd died three years later on February 10, 1975. He’s buried at Forest Lawn in Glendale, California. I’m not sure what that quote means. There’s a Star Trek episode from 1967 titled “Tomorrow is Yesterday” but I don’t think that’s it. Anything is possible but I’m not seeing Stacy-Judd as a Trekkie. For more information on Robert Stacy-Judd purchase David Gebhard’s book. That’s the cover above. Gebhard, who was one of the great architectural writers of Los Angeles, details Stacy-Judd’s life and work thoroughly even though his book is a mere 166 pages. 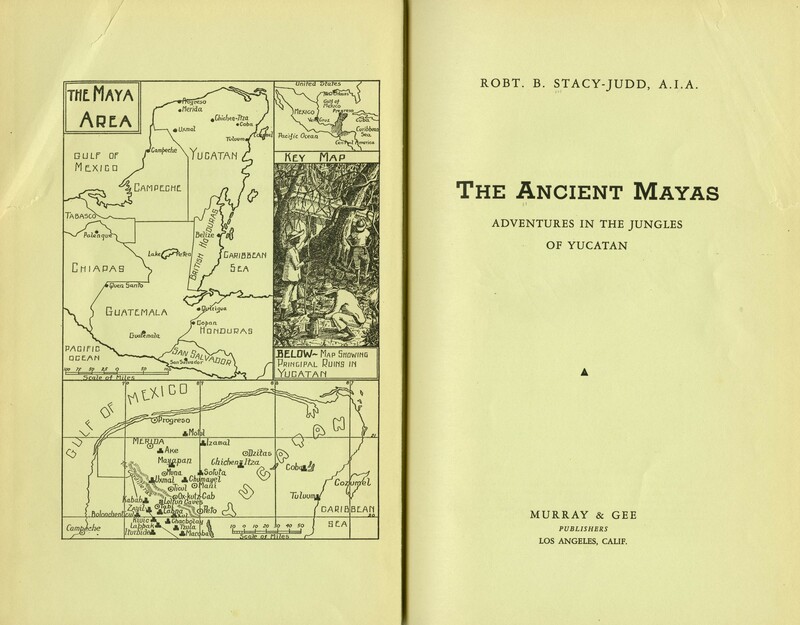 Gebhard writes about Stacy-Judd’s fascination with Atlantis and how Stacy-Judd tried to link that mythical continent with the Maya culture. Strange but true. 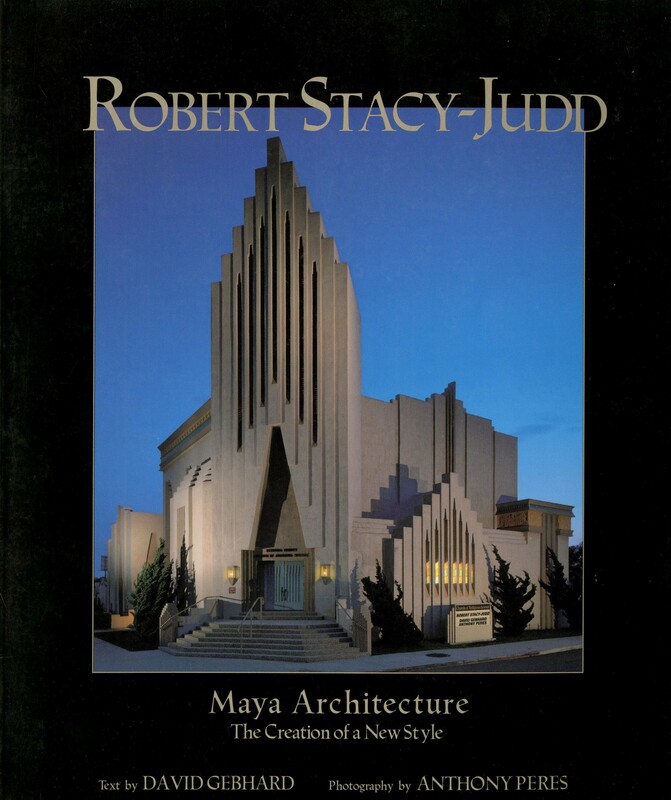 Gebhard also writes about Stacy-Judd’s obsession with creating an American architecture that was based on Maya architecture and looked like Maya architecture. An odd choice for an American architecture but that was what he championed. 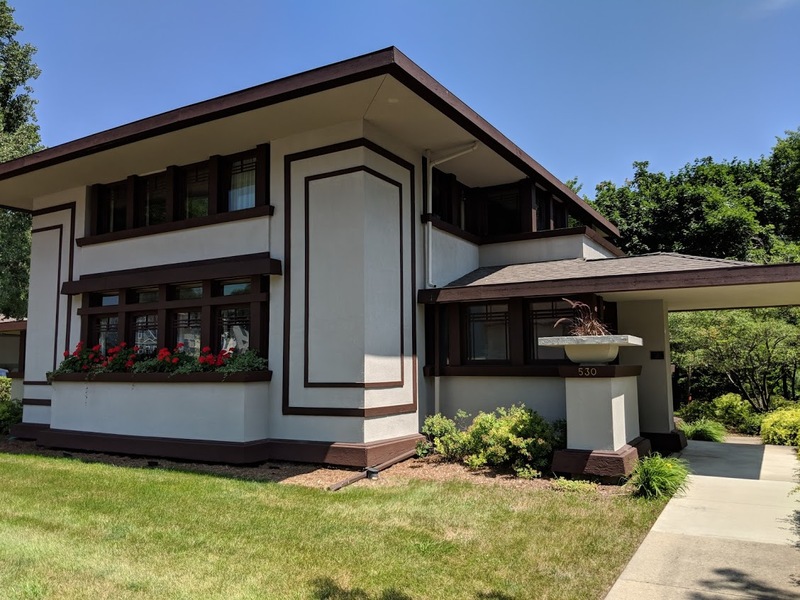 Stacy-Judd was a showman, like Frank Lloyd Wright, but unlike Wright, Stacy-Judd didn’t know when to cut his losses and move onto a new architectural style. Stacy-Judd did leave us the Aztec Hotel, though, and for that strange little block in Monrovia we should all be grateful. Architect takes bride in Ventura. (1932, February 13). Los Angeles Times, p. A3. Beverly sites on the market. (1927, November 20). Los Angeles Times, p. E4. 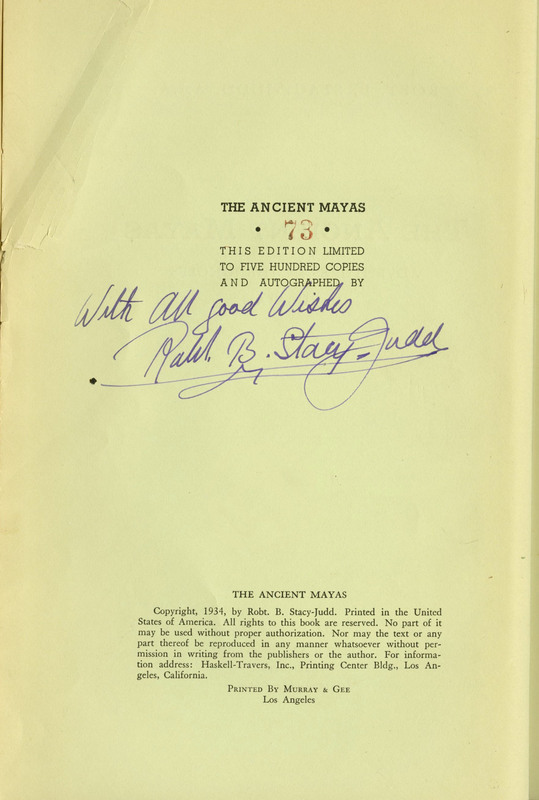 Gebhard, D. Robert Stacy-Judd; Maya architecture and the creation of a new style. Santa Barbara: Capra Press. 1993. High building marks set throughout district. (1924, November 9). Los Angeles Times, p. E1. 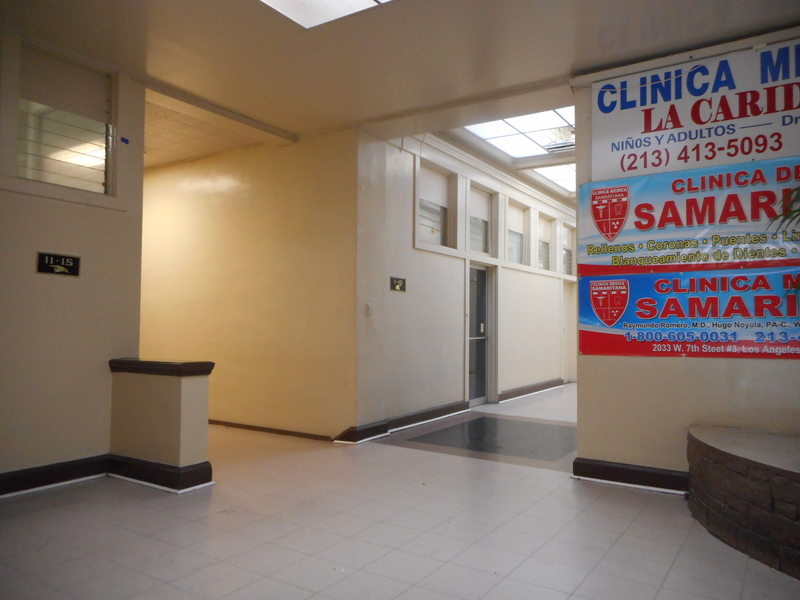 New hotel has opening in Monrovia. (1925, September 6). Los Angeles Times, p. F2. 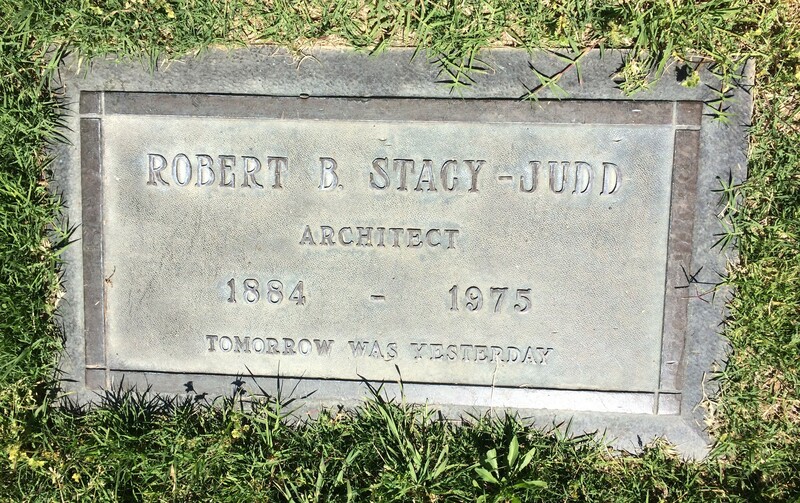 Robert Stacy-Judd services scheduled. (1975, February 13). Los Angeles Times, p. E18. Seiler, M. (1972, November 30). Reflections on a life of action. Los Angeles Times, p. E1-E5. Stacy-Judd, R. (1926, November). Maya Architecture. Pacific Coast Architect, 30 (5), 26-31, 53, 57. Stacy-Judd, R. B. The Ancient Mayas. Los Angeles: Murray & Gee. 1934. 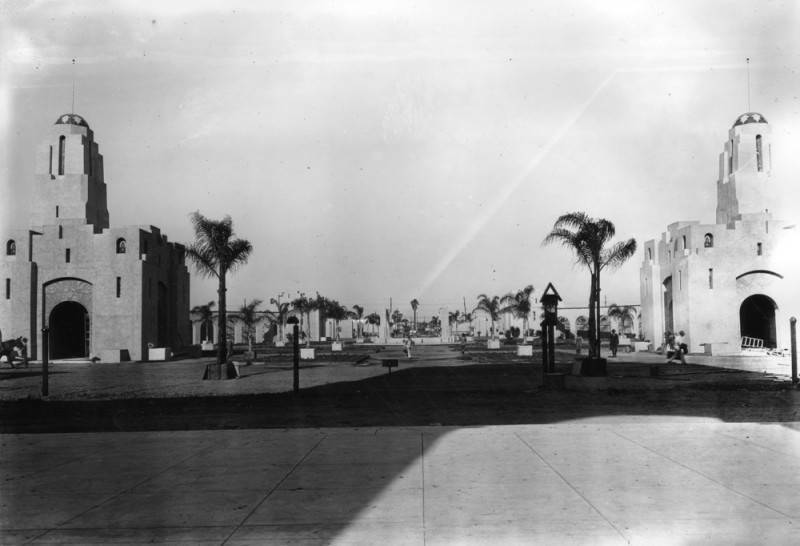 Student of Aztec history will wed. (1932, February 8). Los Angeles Times, p. A1. *A great deal happened during these eleven years according to Gebhard. 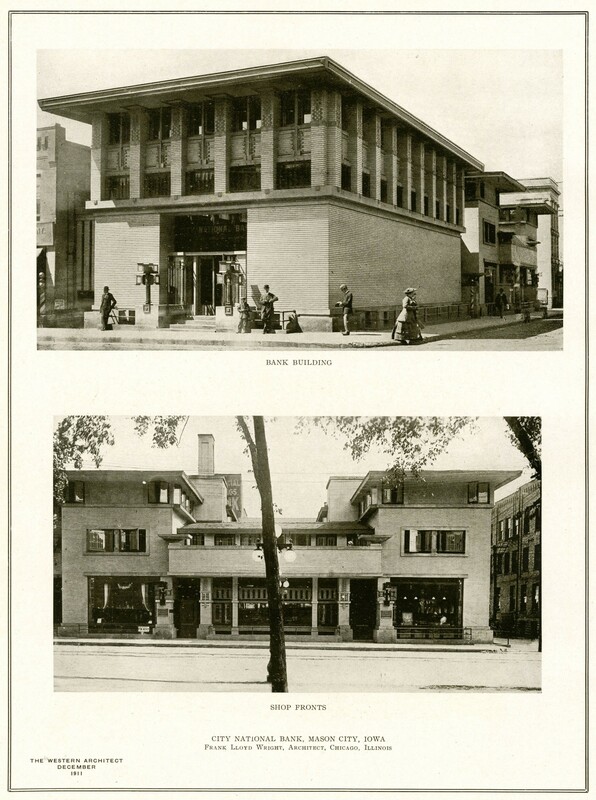 Stacy-Judd designed numerous buildings in Canada including the Empire Theater in Edmonton, lived in Minnesota and North Dakota where he also designed buildings and was married to a woman named Anna Veronica in Minneapolis in 1917 that he later divorced in 1922. 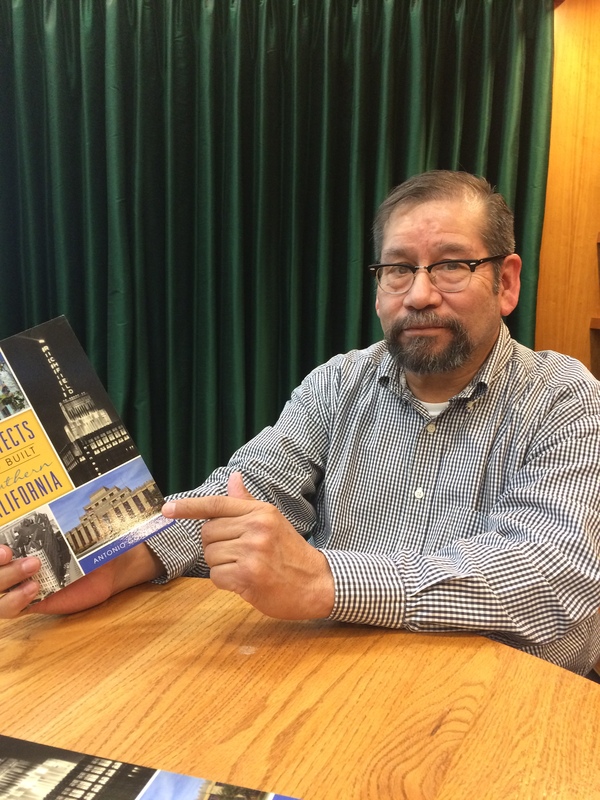 My book from The History Press, Architects Who Built Southern California, was released on March 11, 2019. 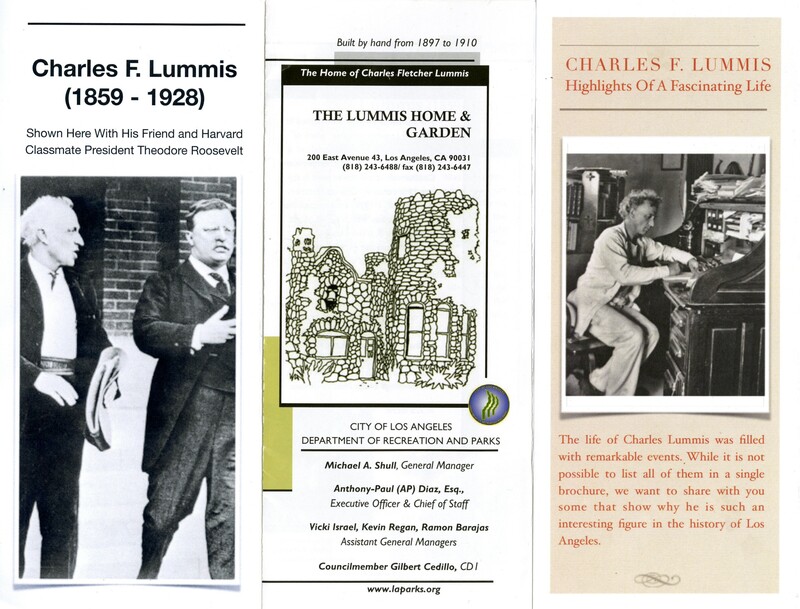 It’s 10 chapters with each chapter devoted to a different architect (or architectural firm) including: Harrison Albright, John Austin, Claud Beelman, Elmer Grey, Hudson & Munsell, A. C. Martin, Meyer & Holler, Julia Morgan, Morgan Walls & Clements and Alfred F. Rosenheim. 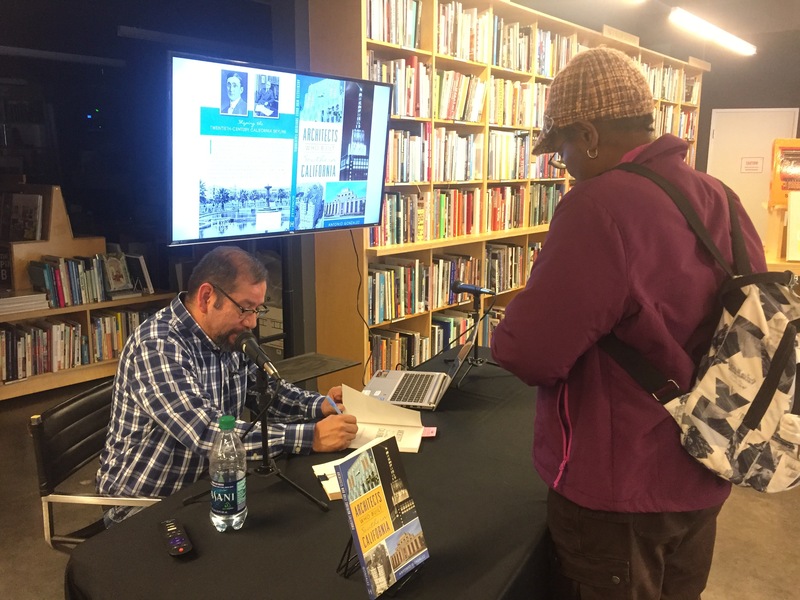 I did a book event (a forty minute presentation and a book signing) at Hennessy & Ingalls. It’s on Santa Fe in the Arts District. 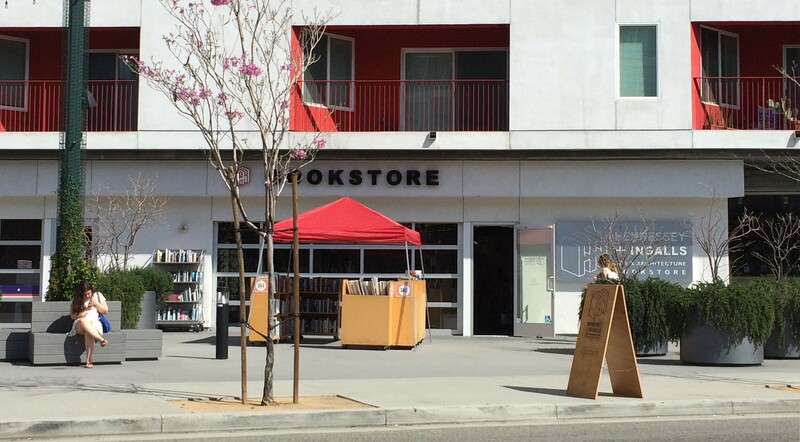 About fifteen people showed up and almost all of them bought books. YAY! It went well but I didn’t take any pictures. Kim Tashman took the pictures below. Thank you Kim! I enjoyed every minute being there and the guys who work for Hennessy & Ingalls were great. Thanks to everyone who showed up and to Hennessey & Ingalls for hosting the event. FYI: I am much younger than I appear in these photos. 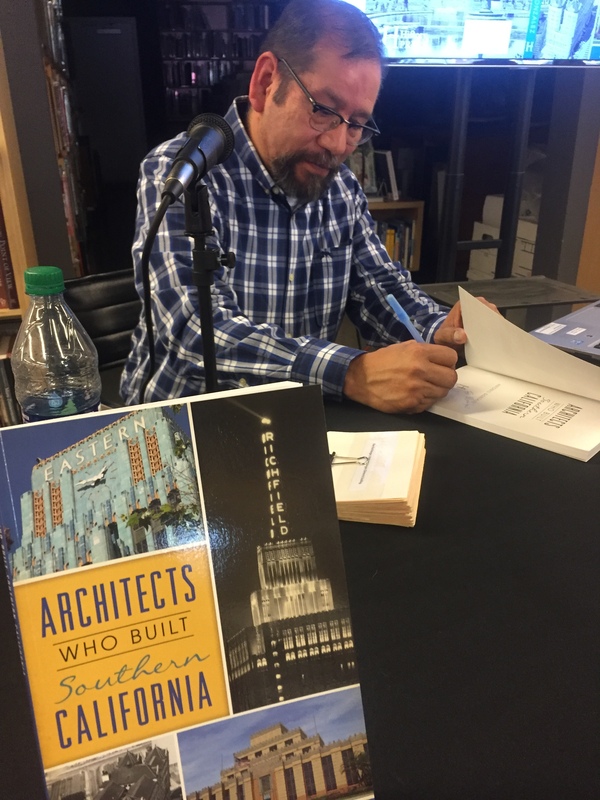 My book Architects Who Built Southern California was released on March 11, 2019 and I had an author event at Vroman’s in Pasadena, California on March 27th. About thirty people showed up and they were all very nice. I was a little nervous but everyone was attentive and appeared interested. It helped ease my apprehension. 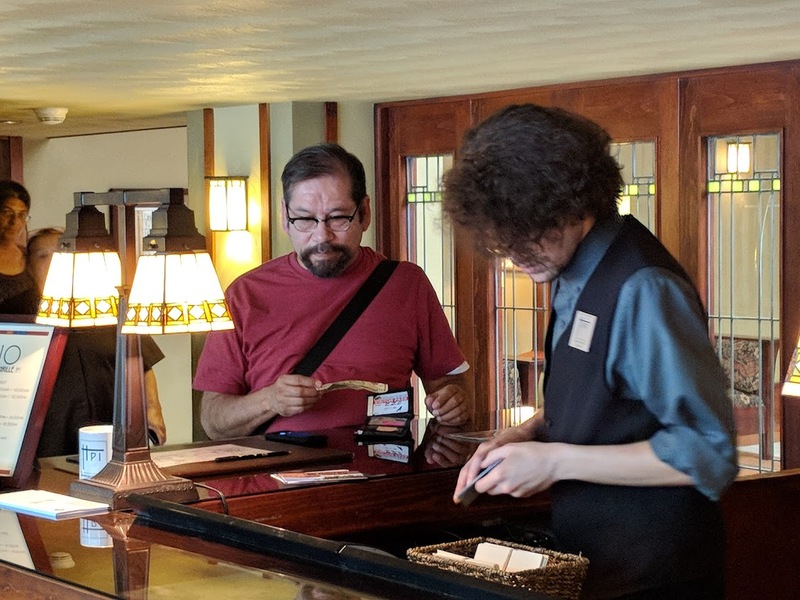 This photo was taken by Vroman’s Jackie who coordinated my event. She was patient and calming and did a wonderful introduction that included a mention of my fiction book The Odd Fellows which is about the Chupacabra. 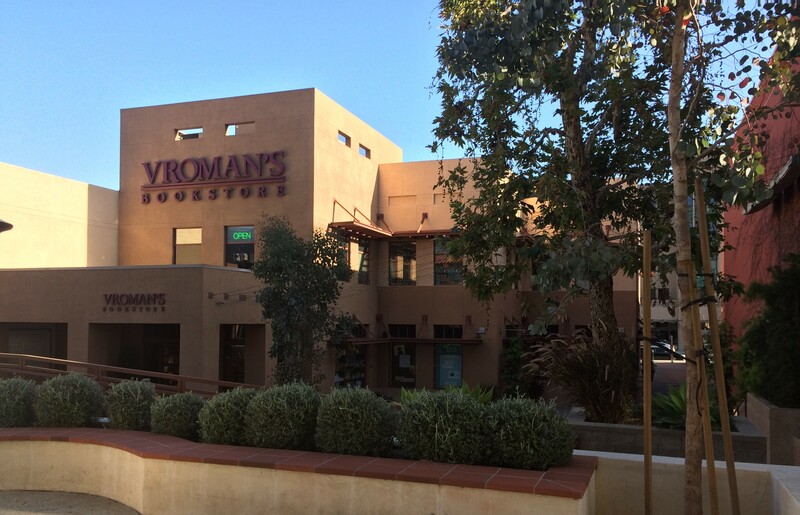 Vroman’s has been in Pasadena for a long time. 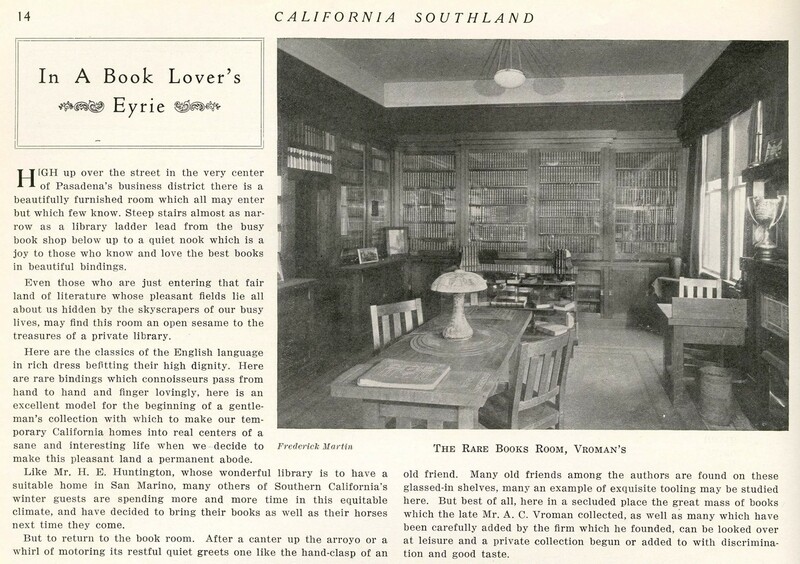 I found this old article about Vroman’s in a 1919 issue of California Southland. That was a 100 years ago. I want all of the furniture in the photograph including the loving cup and the lamp. (1919, April-May). In a book lover’s eyrie. California Southland, 1(4), 14. 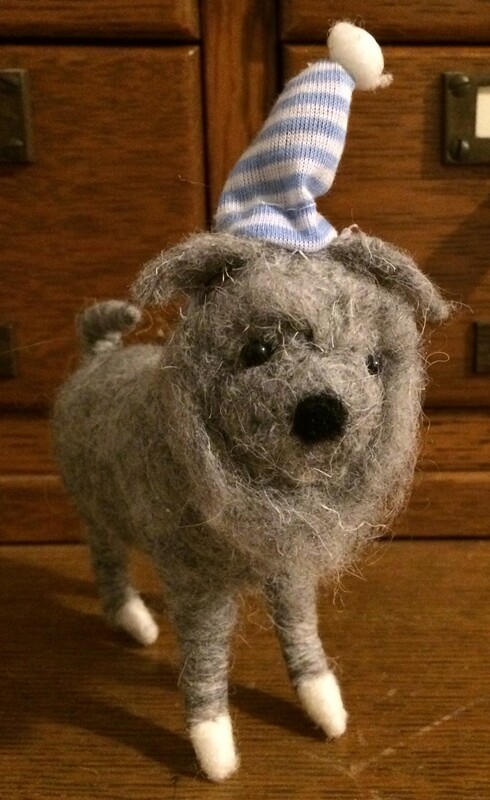 He’s a party dog bought at Vroman’s. 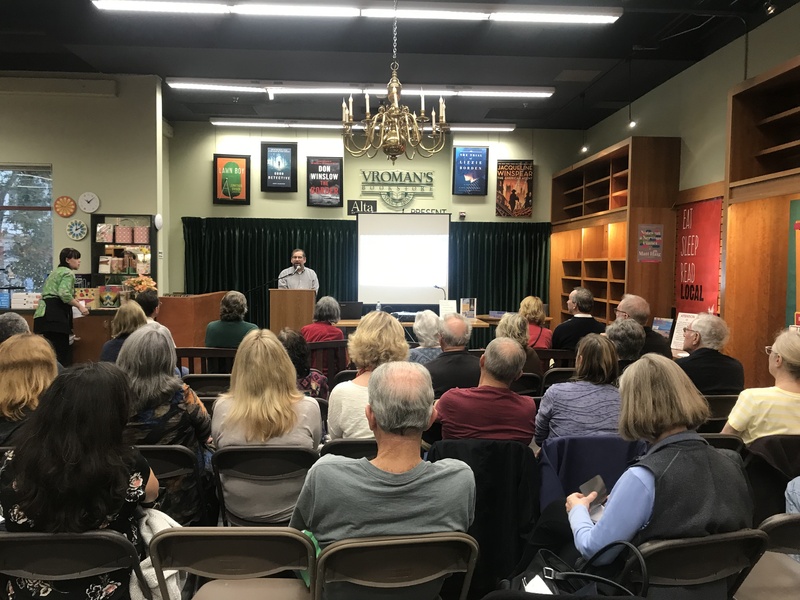 Thanks for hosting my event Vroman’s! 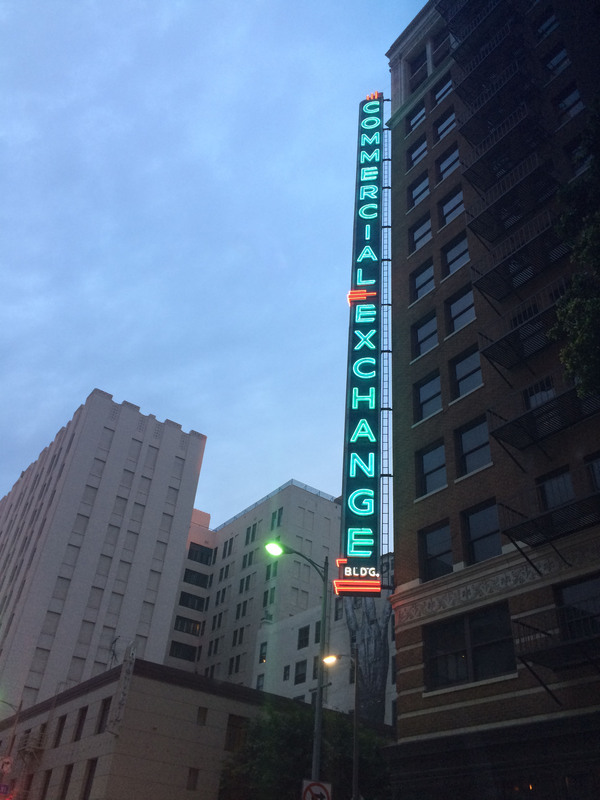 The Commercial Exchange Building at dusk. The Commercial Exchange Building. Photo taken through my car’s windshield. 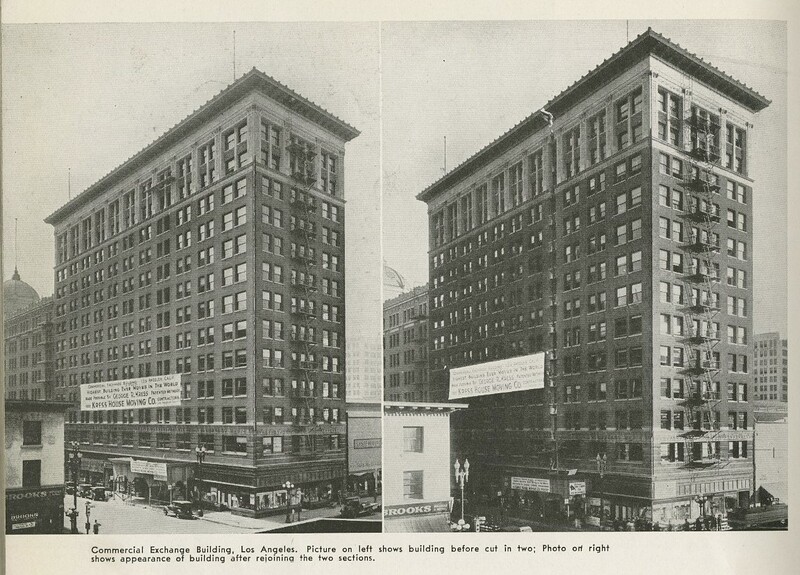 Work was completed on the Commercial Exchange Building, located at Olive and Eighth Streets, on May 18, 1924 according to the Los Angeles Times. 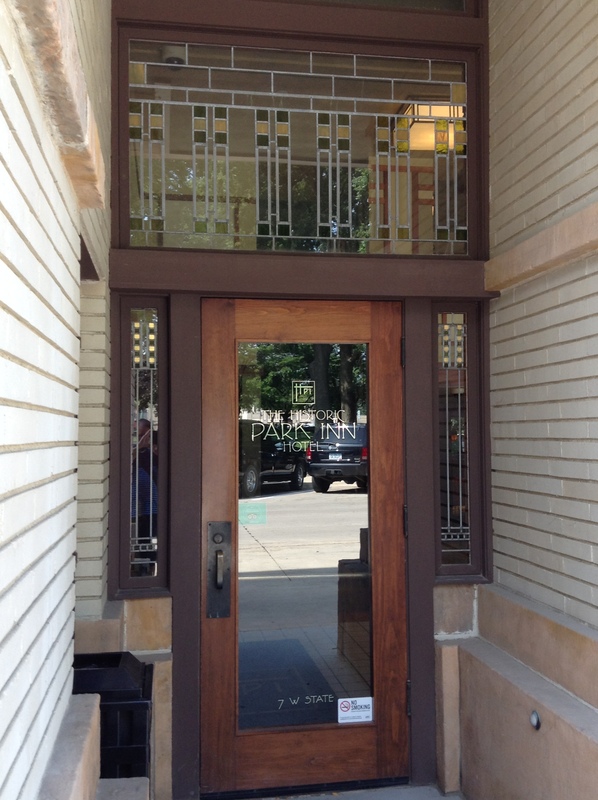 The William Simpson Construction Company was the contractor for the building and Walker & Eisen were the architects. 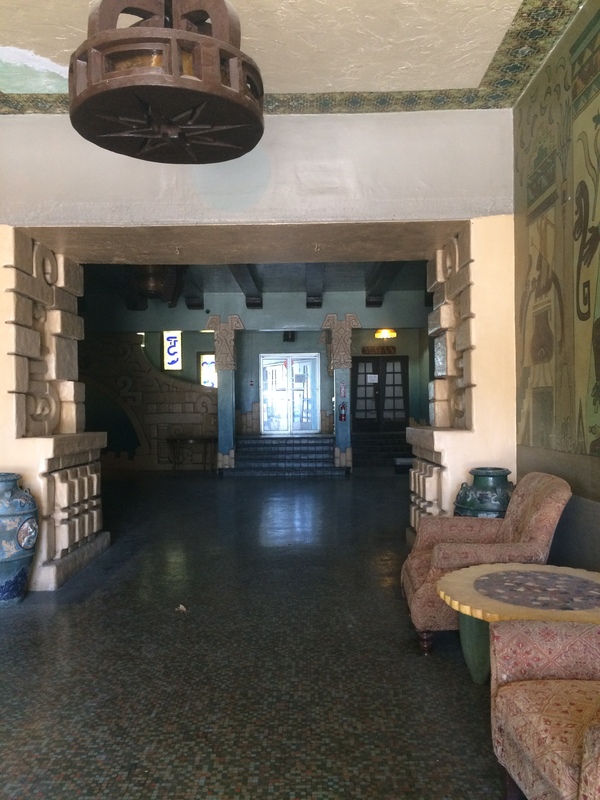 Walker & Eisen were the architectural firm behind The Fine Arts Building (1926), the United Artists Building (1927) which was also known as the California Petroleum Building and the Sunkist Building (1935). 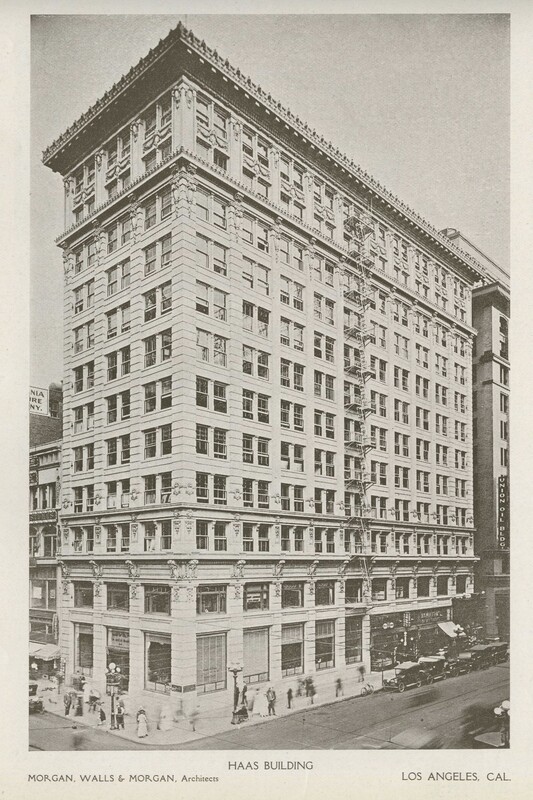 The Commercial Exchange building was a concrete and steel, height limit building which meant it was 150 feet (in reality 160 feet) and the cost of the building was reported to be $650,000. The Times article reported that the Southern California Telephone Company had leased the second and third floors of the building but there were still no occupants for any of the ground floor retail spaces. 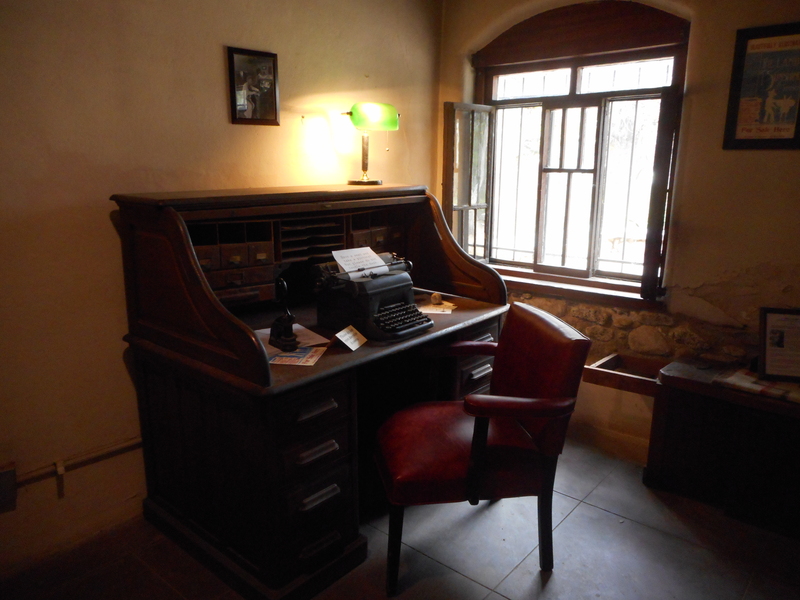 The offices above the ground floor were divided into one room, two room or three room office suites. The possibility of a large cafeteria in the basement (similar to the Arcade Building’s cafeteria?) was mentioned in the Times but it is unclear if that plan ever moved forward. Commercial Exchange Building from the California State Library. The Olive Street side is the narrower side. Then in 1935 because the city wanted to widen Olive Street the building had to be altered. 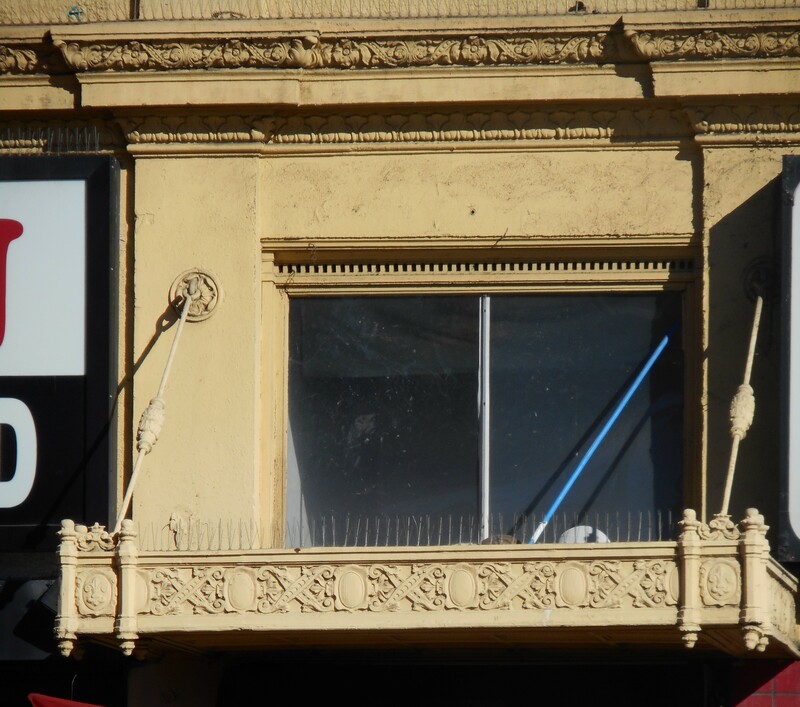 What most owners would have done is simply cut off five feet (the amount the city deemed necessary) from the end of the building on the Olive Street side. Walker & Eisen drew up plans for this possibility but the owner of the building found this option unsatisfactory. Why? Because the end offices were the biggest offices and they were responsible for the highest rents. 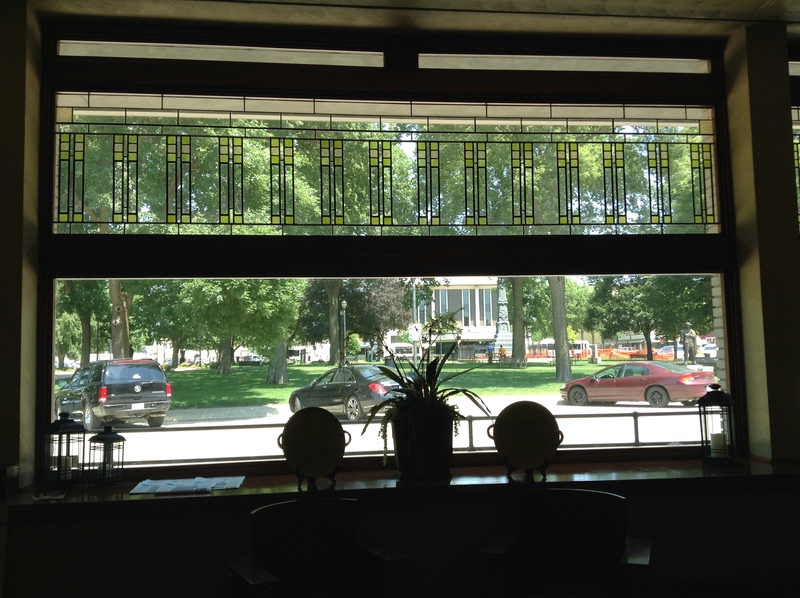 The Olive Street facade had three offices on each floor from the second floor to the thirteenth floor. 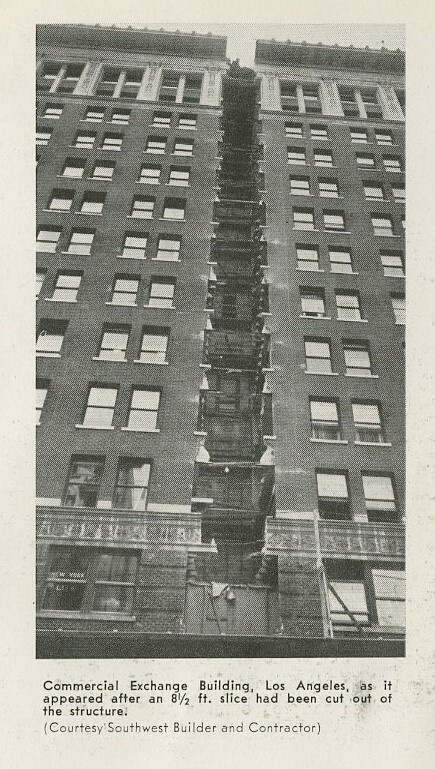 In order to keep those high rent offices intact George R. Kress of the Kress House Moving Company suggested removing 8 and 1/2 feet — near the center of the building — close to the building’s light court. This plan would also keep the building’s ground floor intact, which had been recently occupied by an Owl Drug Store, and not reduce the square footage of the prime retail space. 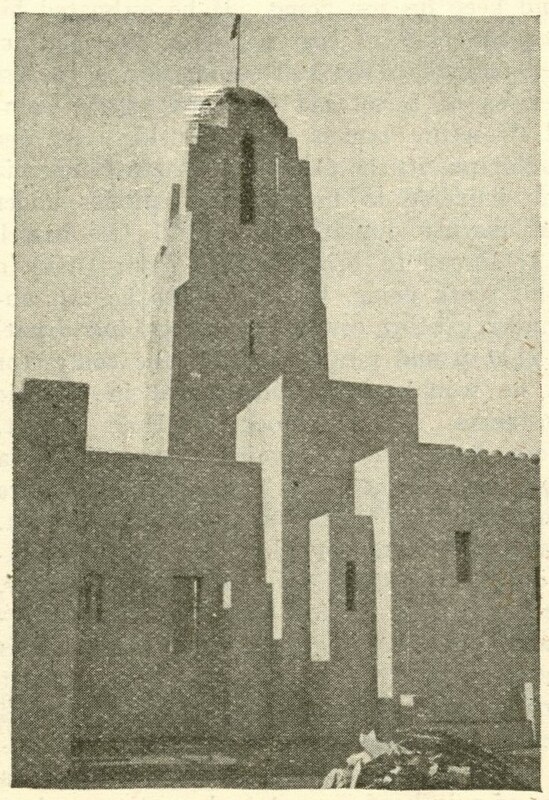 From Architecture and Engineer December 1935 showing what would be removed. 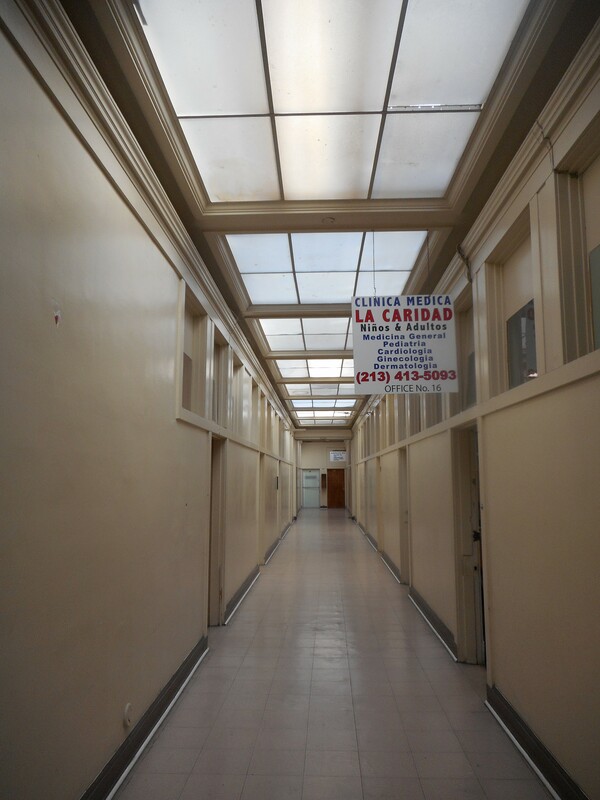 The removal of 8 and 1/2 feet of the building, approximately fifty feet from the Olive Street side, was seen as a better solution because it would only reduce the size of two offices on each floor and narrow each floor’s hallway in this particular area. Walker & Eisen, according to an article in Southwest Builder and Contractor, weren’t initially convinced the Kress plan would work. 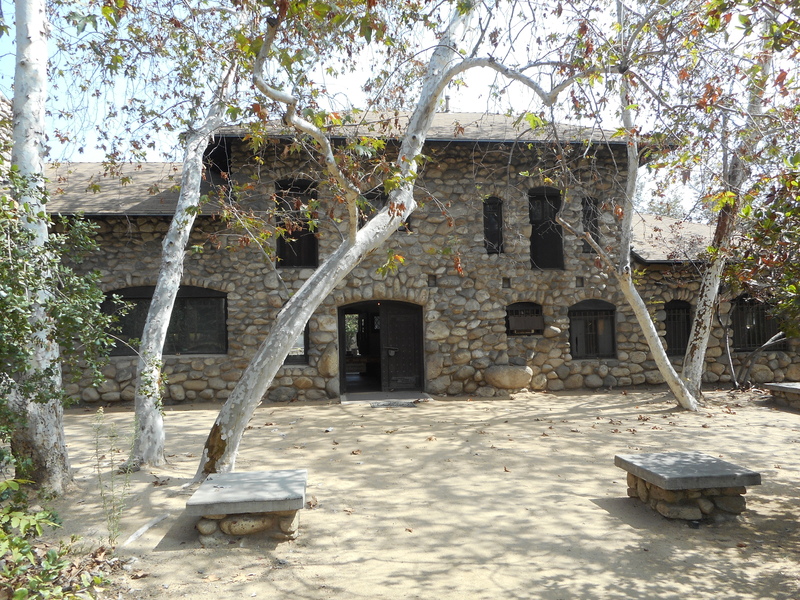 Prominent structural engineers of the time Blaine Noice, Murray Erick and Paul Jeffers were consulted along with the California Institute of Technology’s Professor Martel. Eventually, Kress was able to convince all of them that his plan was doable so the work prior to the move was undertaken including the slicing of the building in half, the excavation of the area beneath the basement and the installation of jacks, steel plates, steel rollers and tracks. A closer view of the section that was removed. 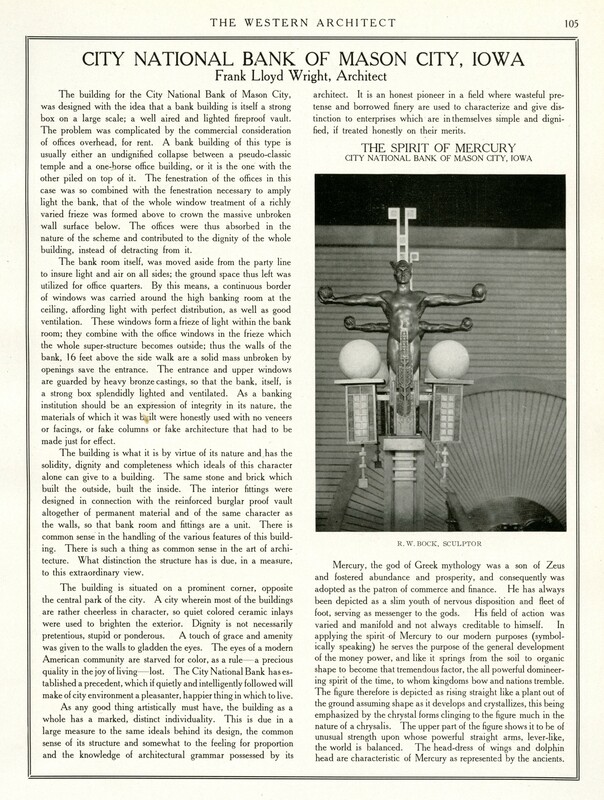 From Architect and Engineer December 1935. 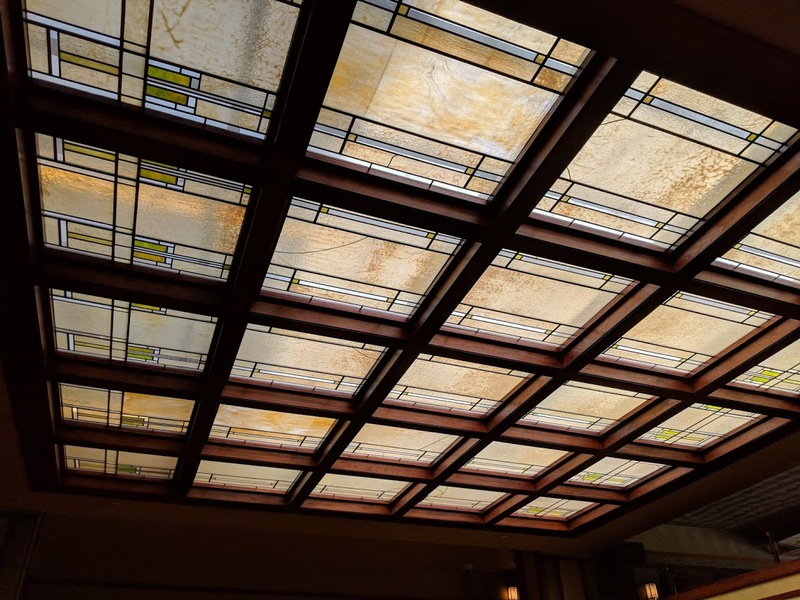 Architect and Engineer, whose article relied heavily on the article in Southwest Builder and Contractor, was in awe of what had been accomplished. When the undertaking was completed Architecture and Engineer listed the endeavor’s statistics. The section moved was approximately fifty-five feet by fifty feet. It was thirteen stories and 160 feet tall. The portion moved weighed an estimated 5,000 tons. It took nine hours to move it five feet. Seventy-five men undertook the job with twenty-five devoted to pipes, plumbing and utilities. The section cut out was 8 and 1/2 feet to allow for the over lapping of the steel in the beams and the floor slabs where the building was re-connected. One window replaced two windows where the building was reconnected. “with the exception of a couple of bruised fingers” there were no accidents. The entire process was completed in 80 days. The cost of the procedure was $60,000. 13 story office building cut in half and moved five feet. (1935, December). Architect and Engineer, 123(3), 56-58. Complete business structure. (1924, May 18). Los Angeles Times, p. D4. Concrete structure 160 ft. high moved five feet in nine hours. (1935, October 25). Southwest Builder and Contractor, 86 (17), 13-14. Height-limit building cut for setback lines. (1935, August 29). Los Angeles Times, p. A2. 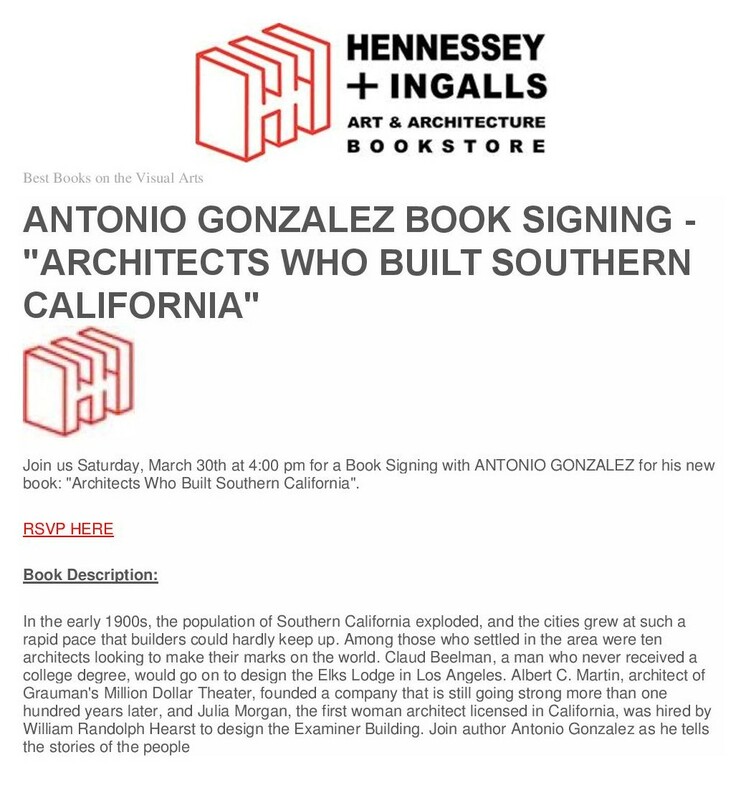 Note: I have a book coming out on March 11, 2019 from The History Press titled: The Architects Who Built Southern California. 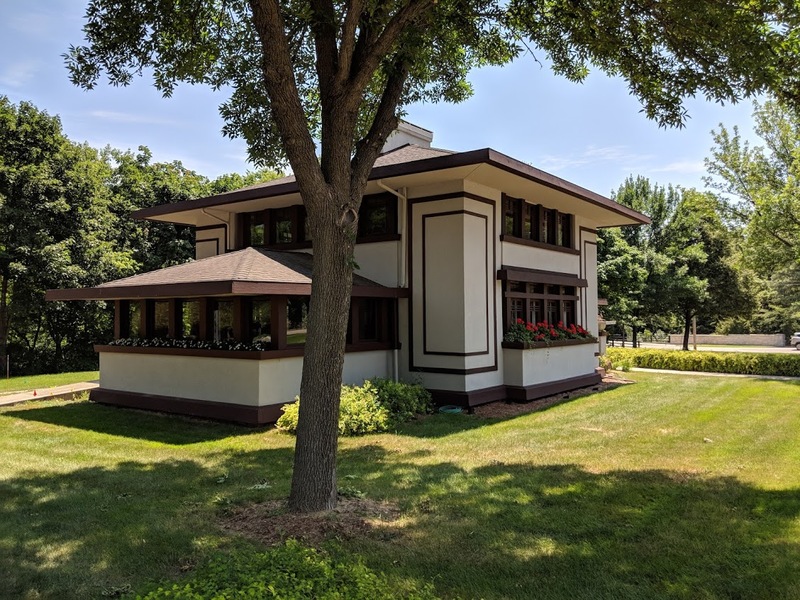 It’s 10 chapters with each chapter devoted to a different architect (or architectural firm) including: Harrison Albright, John Austin, Claud Beelman, Elmer Grey, Hudson & Munsell, A. C. Martin, Meyer & Holler, Julia Morgan, Morgan Walls & Clements and Alfred F. Rosenheim. 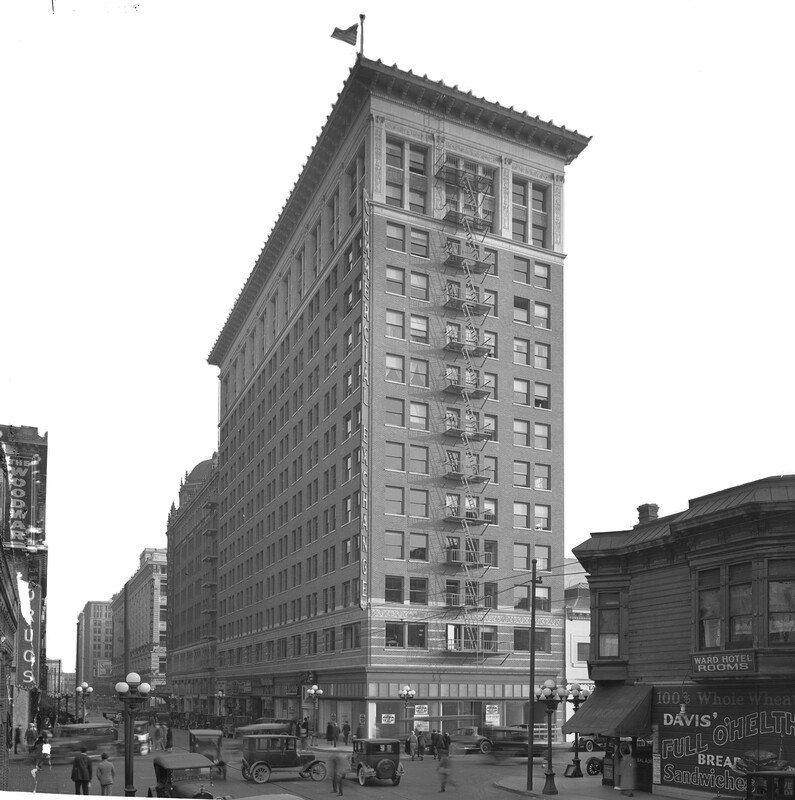 The construction of the Haas Building was announced in 1913. 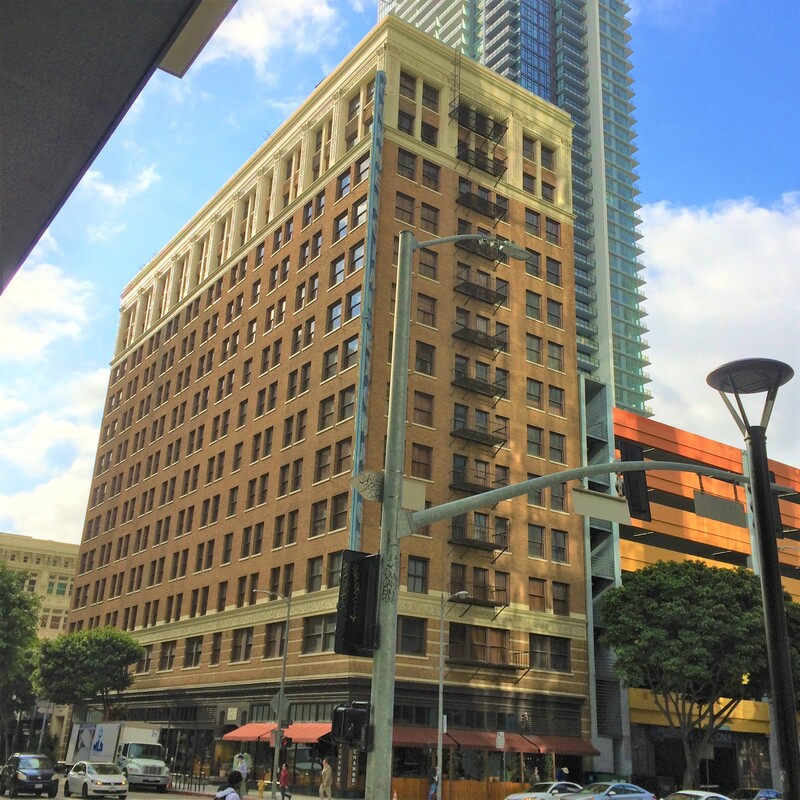 The building is situated on the northeast corner of Broadway and Seventh Streets in downtown Los Angeles. It’s 12 stories, has a steel frame and was covered in terra cotta when originally built. 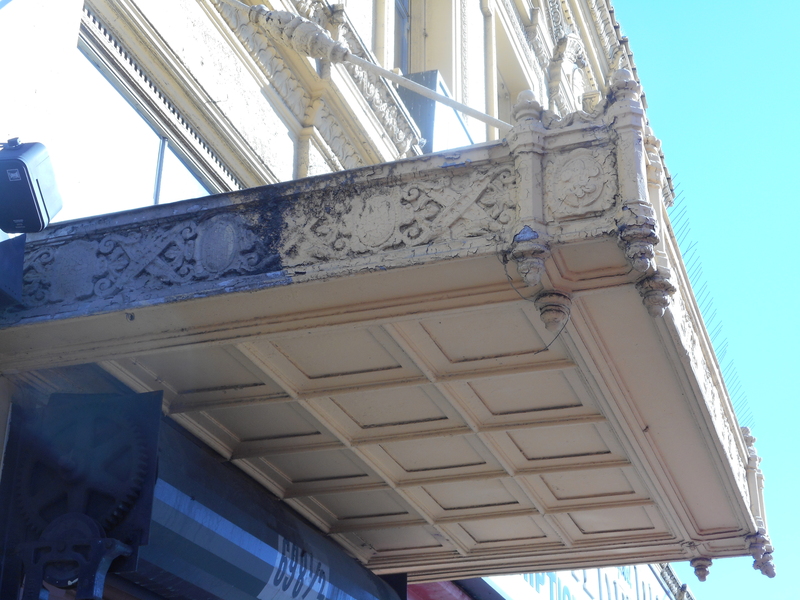 The building has 55 feet of frontage on Broadway and 150 feet of frontage on 7th Street. In all its glory as originally built. 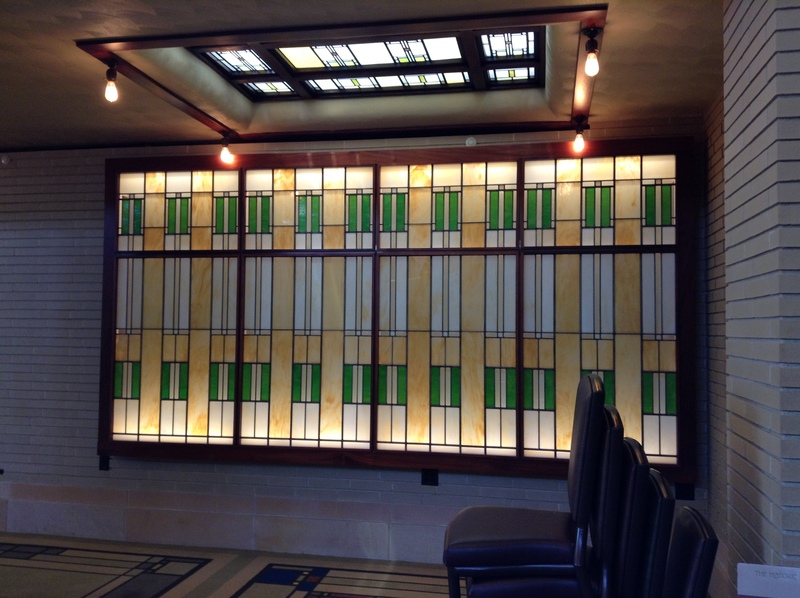 The building was designed by Morgan, Walls & Morgan for Abraham Haas who spent $500,000 to construct the building. 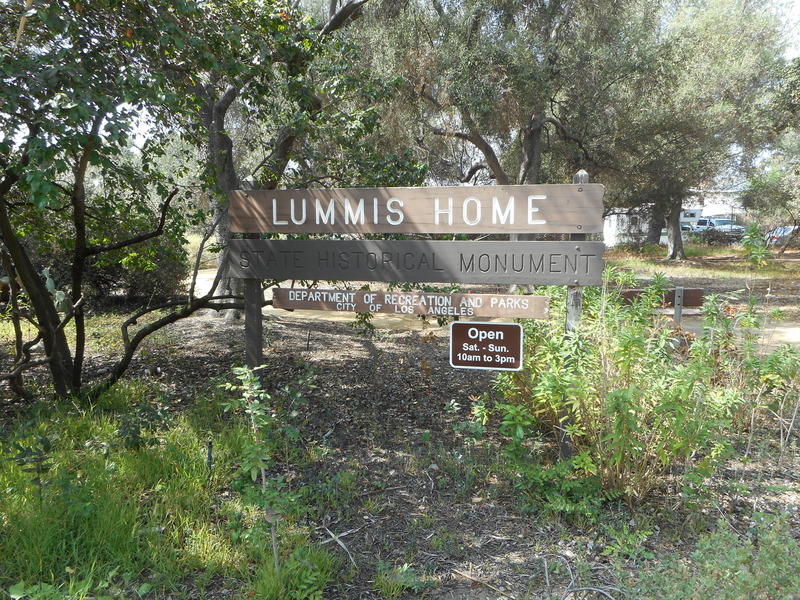 Haas lived in San Francisco but was a former resident of Los Angeles and owned a great deal of property in the Los Angeles area. In 1915, he was the president of Haas, Baruch & Company and also president of the Haas Realty Company. 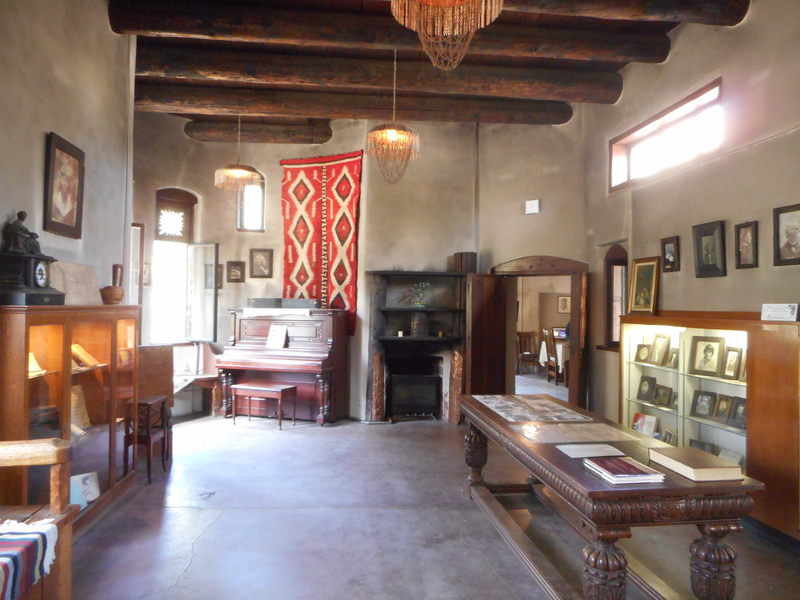 The Jewish Museum of the American West states that Abraham Haas was born in 1847 and arrived in Los Angeles around 1864. Abraham Haas seated at a desk. Courtesy Elise Stern Haas family photographs, The University of California, Berkeley. The Herald article also stated that in 1888 the business moved into the Germain block on Los Angeles Street and it was around this time that Hellman withdrew from the company and set his sights on banking instead. 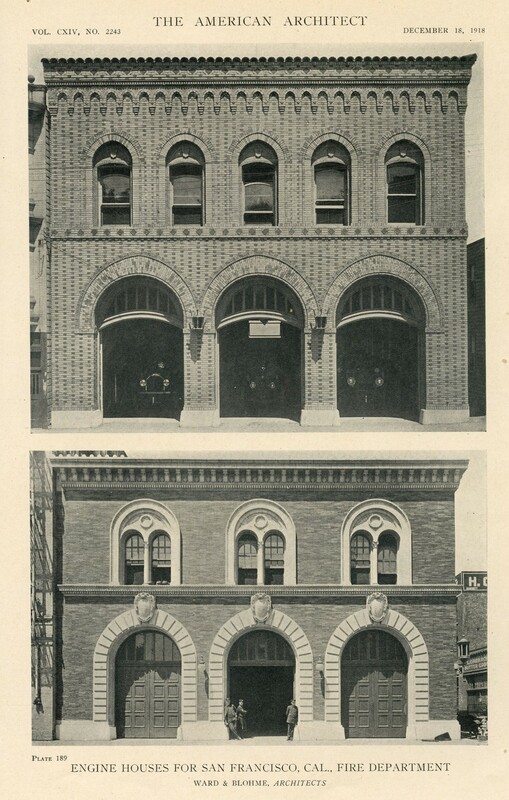 Then in 1912 the company moved into a new concrete structure at Second and Alameda Streets. 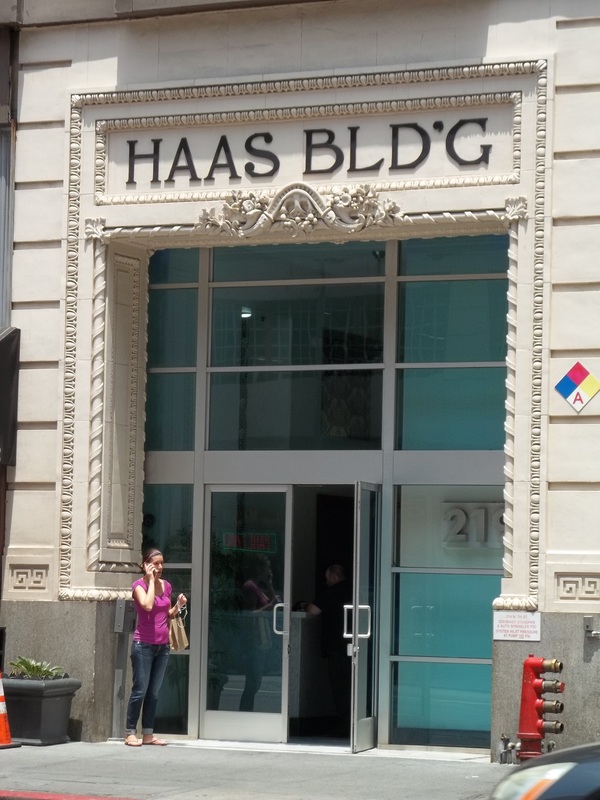 So, it was this Iris brand of canned foods that propelled Haas to millionaire status and gave him the money necessary to erect the Haas Building. The Bank of Italy moved into the ground floor of the Haas Building and opened a branch there on May 8, 1915. News reports stated that over 10,000 people visited the bank on its opening day. 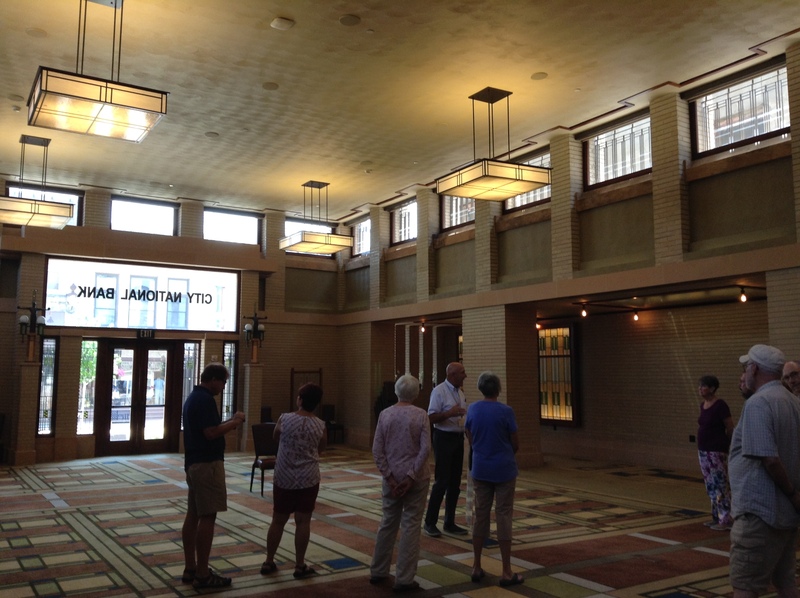 The main banking area was 50 by 75 feet with an entrance on Broadway. 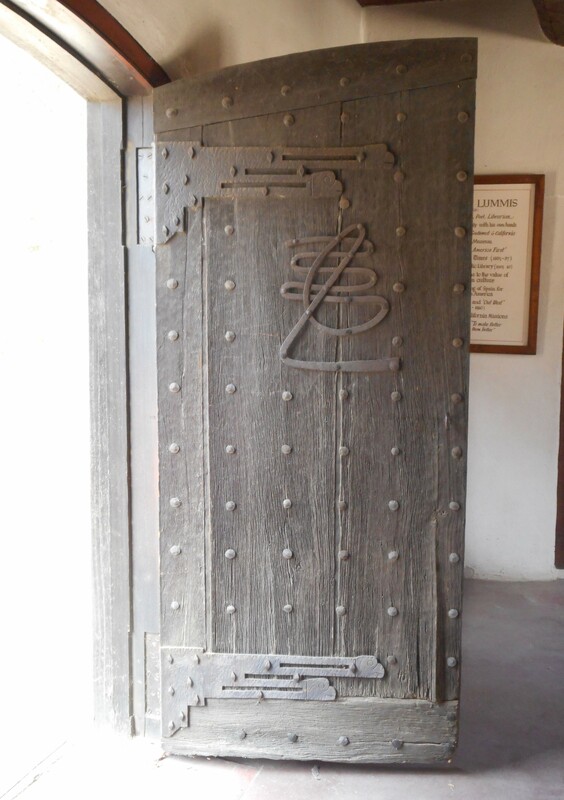 The bank also leased the basement for their safety deposit department. The Bank of Italy signed a twenty-five year lease when they moved into the Haas Building. In 1953 Smart & Final merged with Haas, Bruch & Company. Today, Smart & Final operates over 300 stores in the Western United States and 15 stores in Mexico. 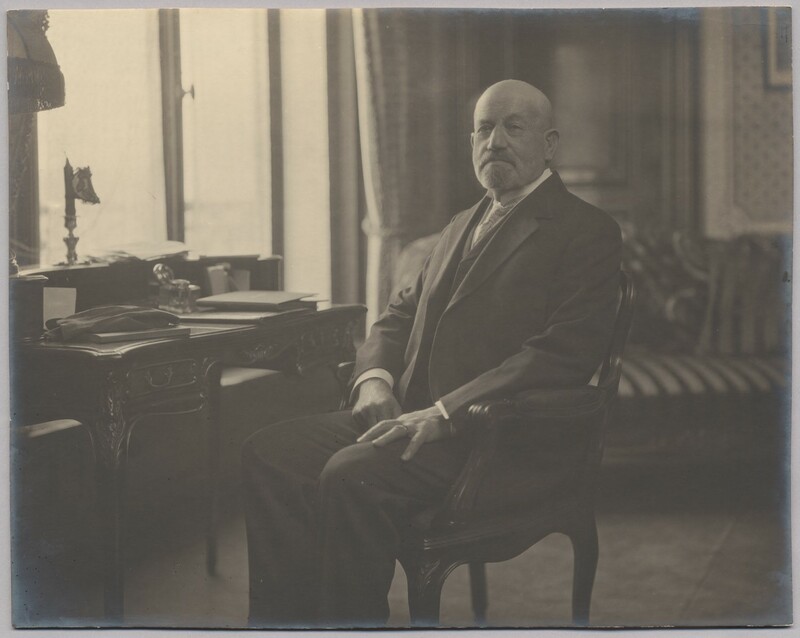 Abraham Haas seated at a desk. Used with the permission of the Bancroft Library, UC Berkley. Bank of Italy in new home. (1915, May 9). Los Angeles Times, p. V1. Great block for Broadway at Seventh. (1913, September 28). 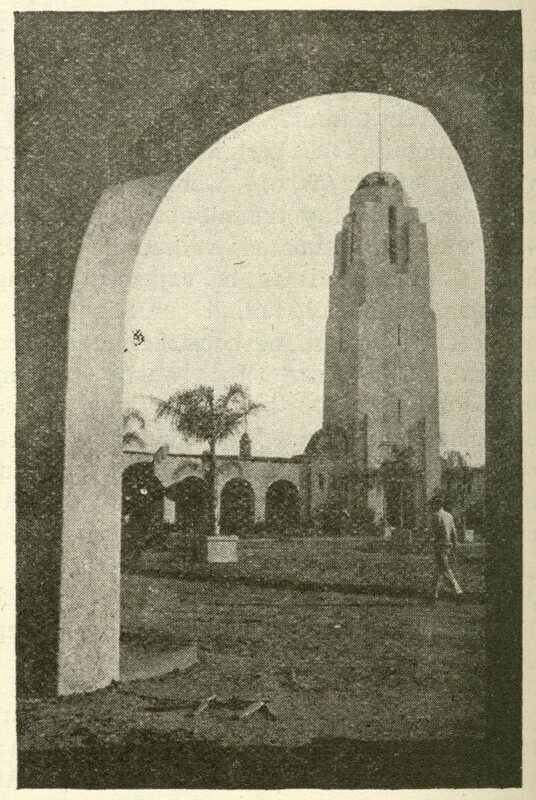 Los Angeles Times, p. II1. Haas Building. (1919, January). The Architect, 17(1), plate 2. High grade goods firm’s specialty. (1914, February 7). Los Angeles Herald, p. 6F. Rushing work on skyscraper. (1914, December 13). Los Angeles Times, p. V1. I finally received the cover for my book. It’s terrific. I’m thrilled. The book comes out March 11, 2019. YAY. The book doesn’t have a price yet and I’m not using my pen name or my nom de plume on this book. 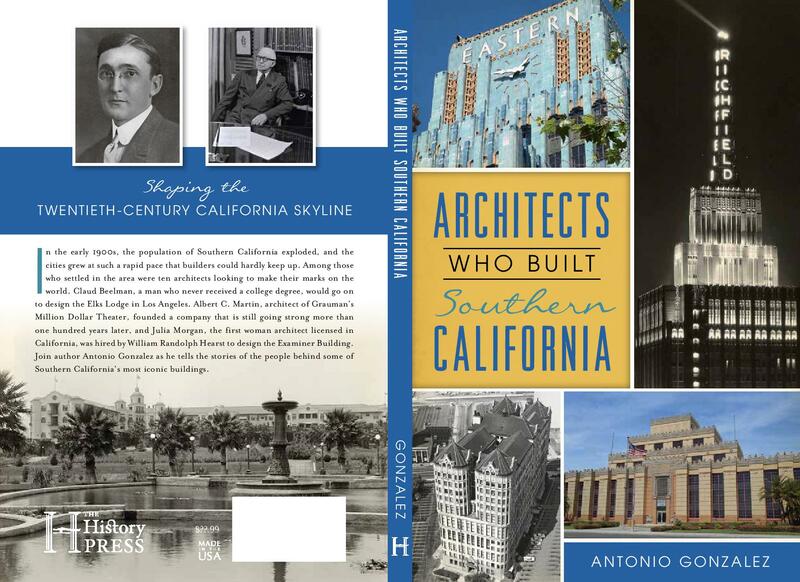 The Architects Who Built Southern California is 10 chapters with each chapter devoted to a different architect (or architectural firm) including: Harrison Albright, John Austin, Claud Beelman, Elmer Grey, Hudson & Munsell, A. C. Martin, Meyer & Holler, Julia Morgan, Morgan Walls & Clements and Alfred F. Rosenheim. I had never heard or seen anything about this event. It was an exposition that was thrown together rather quickly and would have been interesting to attend. 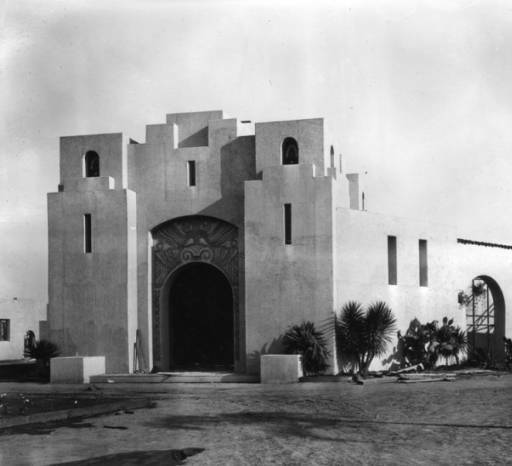 The event was held at Exposition Park and the Memorial Coliseum was used in conjunction with the festivities. 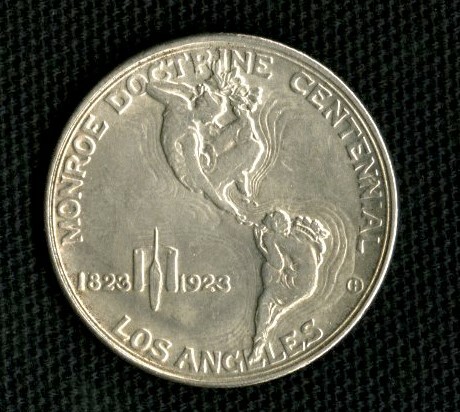 It was called the Monroe Doctrine Centennial at Exposition Park. The first mention I was able to find regarding this event was in a Times article from 1922 about a motion picture exhibition that went under the name American Historical Revue and Motion Picture Industrial Exposition. 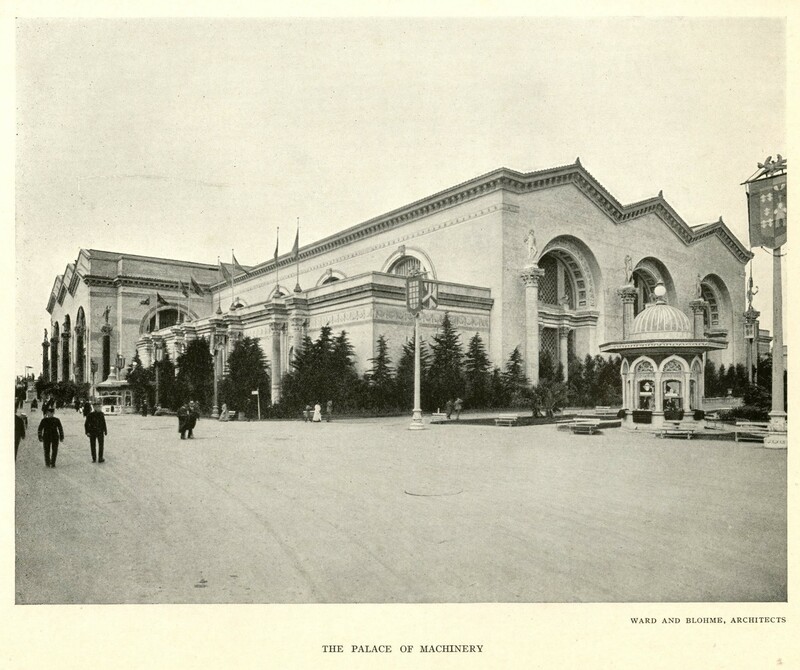 It appears as if the motion picture exhibition part evolved into a component of the larger Monroe Doctrine Centennial though there were still numerous articles during the time the event was underway that continued to refer to it as the American Historical Revue and Motion Picture Industrial Exposition. The event was scheduled to run from July 2nd through July 28th. The end date was later changed to July 31st and then finally to August 4th. The architect for all of the buildings was Charles H. Kyson. 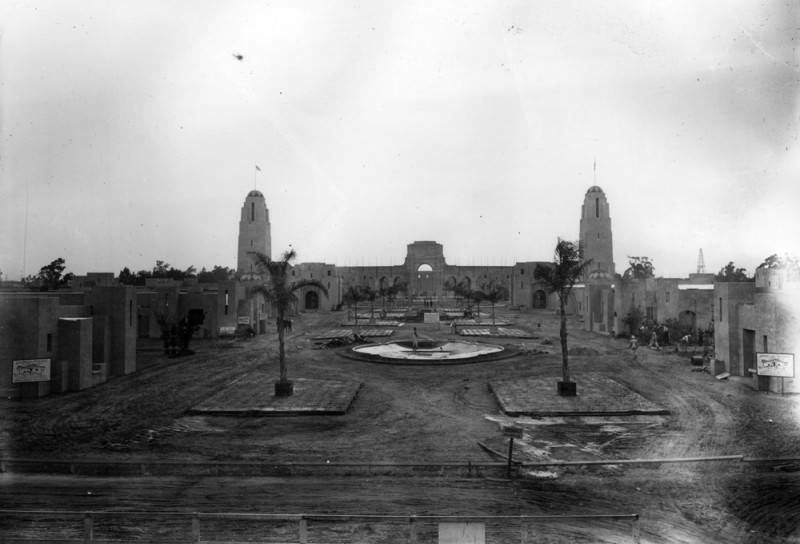 Kyson had worked in the movie industry as, in his words, “a picture architect or art director” and received the commission to design the buildings at the end of January 1923 with the Centennial slated to open two days before the 4th of July. This means it was built in approximately five months which almost seems impossible. Kyson wrote an article about this exposition for Southwest Builder & Contractor. Above is one of the photos that accompanied his article. It gives an impression of what the fairgrounds were like. 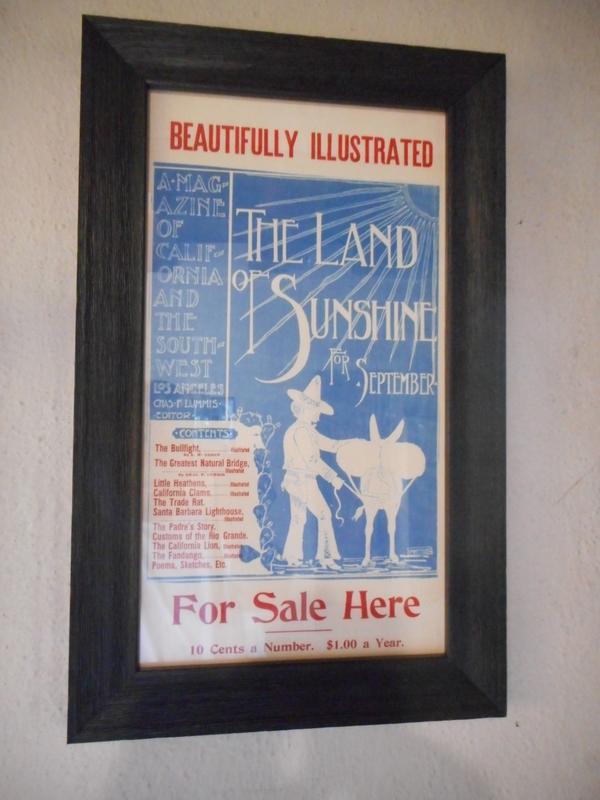 Southwest Builder & Contractor was printed on paper whose quality was a step beneath newsprint. Kyson went on to say that many of the buildings were done in clay models to judge the massing and see how light would play upon the forms. He urged architects who only viewed their buildings in an elevated drawing to experiment with models. On opening day, the day’s events included: the opening ceremonies, a formal welcome for Latin American diplomats & dignitaries, the selection of the Centennial Queen, a ball, tableauxs and fireworks. One tableaux depicted the discovery of America with silent film star Hobart Bosworth portraying Columbus. [Note: another report stated Bosworth played Washington. Maybe, he played both?] The second depicted Indian life while the third centered around the saving of the Mission San Diego “from an attack of hostile Indians.” The fourth depicted George Washington assuming command of the continental armies and the fifth depicted Lincoln emancipating the slaves. At midnight, Miss Geraldine Kemp, who had been selected Queen of the Centennial, pressed a button and started a firework’s show which signaled the opening of the Centennial for the general public. Evidently, this first day was only for invited guests and the elites of the community. The tableauxs were from the mind of Emil de Recat who had an international reputation for producing this sort of thing — the spectacle. Kosloff was known in the dance field as being an advocate for interpretive dance. E.F. Carrathers, of the World Amusement Services Association, was the man selecting the acts for the fair. He was the man who tracked down de Recat and Kosloff. He also recruited opera singers for the fair and looked to the operatic field — feeling their voices would carry the furthest in the enormous Coliseum. Carrathers also entered into a contract with Tom Kierman, his wife and their group of trick riders to perform at the Coliseum under the banner name of Frontier Days. 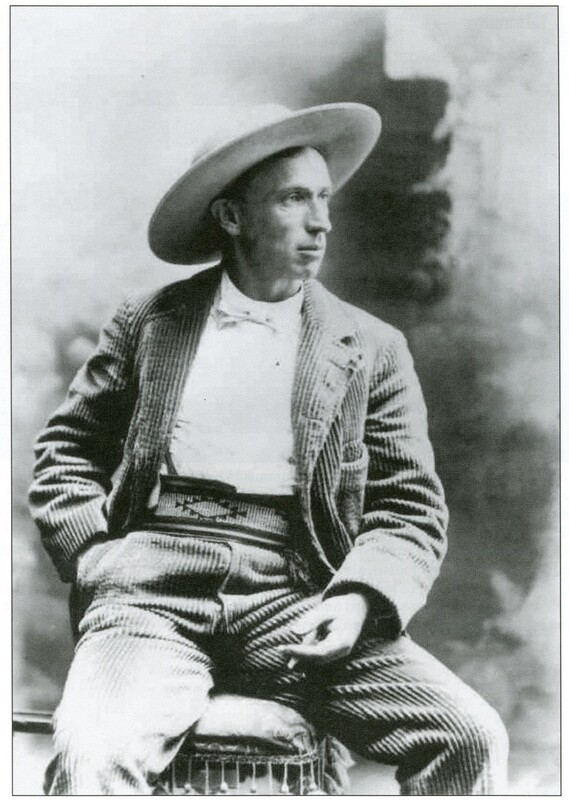 These trick riders were suppose to invoke William F. Cody and his Wild West Days. Fox film star Buck Jones joined them on July 25th for a special one night only performance. Yet, there was trouble on the horizon for the Centennial. On July 7, five days after it had opened those in charge were trying to figure out a way to bring more people through the gates. The directors of the fair thought they should get the word out that the fair was a good place for dancing, a nice meal and entertainment but the public wasn’t seeing the fair that way. The public most likely saw it as too highfalutin. Some of the sponsors blamed themselves for the overall “refinement” of the Monroe Doctrine Centennial. So, thrills and excitement were taken up a notch and a parade filled with Hollywood glitz took place on July 16th. An American Legion band lead the parade along this route: The parade started at 12th and Broadway and proceeded north to 7th Street. At 7th Street the parade turned East and proceeded to Main Street where it turned South. 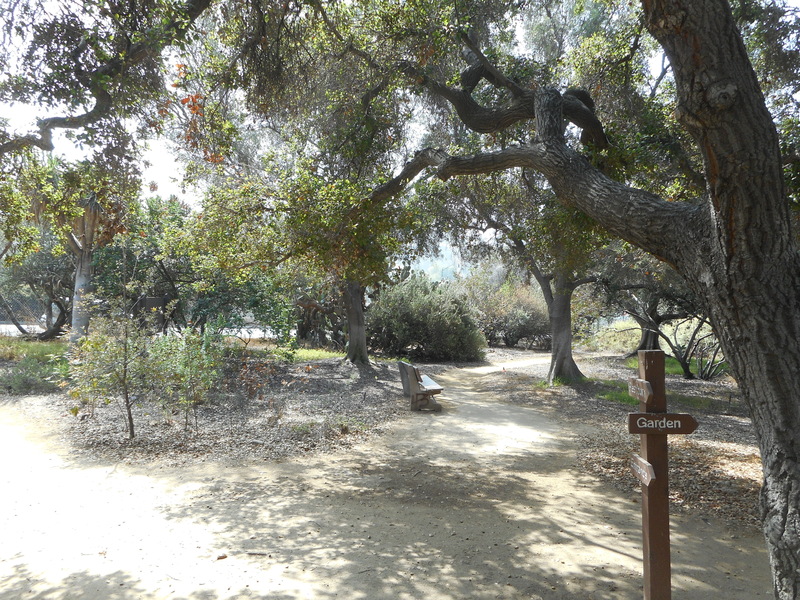 It continued South all the way down to Jefferson at which point it turned West and continued to Figueroa. At Figueroa it turned South and ended its route at Exposition Park. The parade included a moving Emile de Recat tableaux which was situated on a number of floats. Tom Mix and his horse Tony led a series of western motion picture players. A fleet of bathing beauties waved at spectators from a series of cars. Mary Pickford’s Rosita coaches had a spot in the parade’s line up. 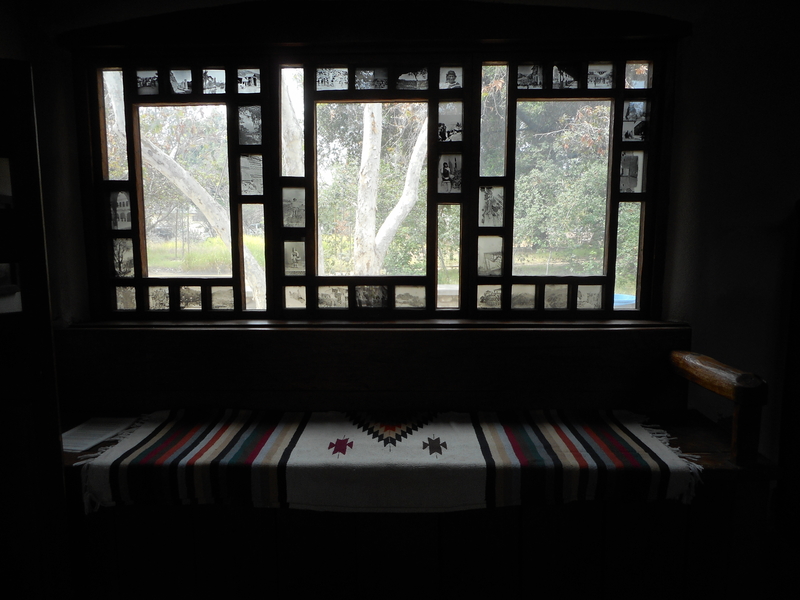 A replica of the covered wagon from The Covered Wagon was the contribution from Famous Players Lasky. Principal Pictures supplied an enormous typewriter with its film stars on each of its keys and Warner Bros., Universal, Ince and Louis B. Mayer also had floats in the parade. 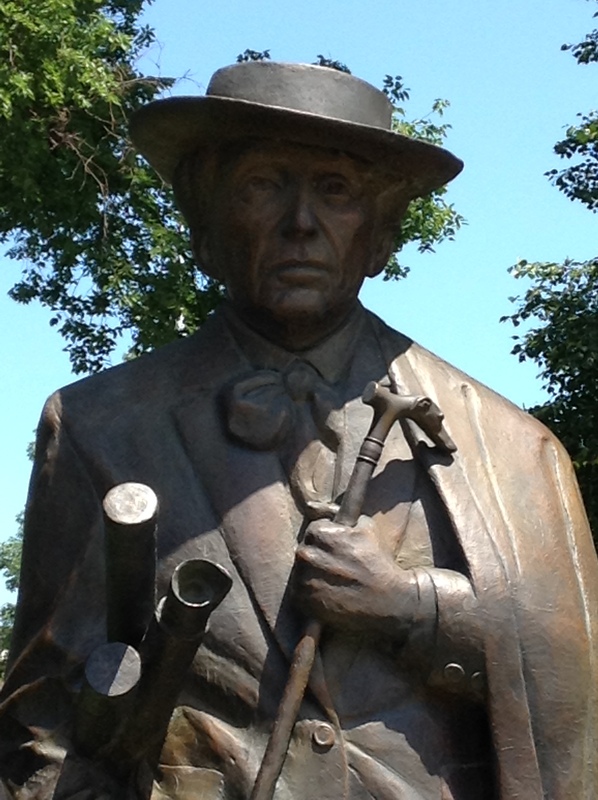 The turnaround occurred on July 19th when 90,000 people attended the Centennial. This surpassed the previous record of 70,000. One of the big draws must have been the stars who appeared on behalf of the Goldwyn Studios and acted as hosts or hostesses at the Goldwyn bungalow. Some of the stars were: Blanche Sweet, Lew Cody, Claire Windsor, George Walsh, Helen Chadwick, Edmund Lowe, Bessie Love, Patsy Ruth Miller, Marie Prevost, Lionel Barrymore, Tyrone Power (Sr.), Eleanor Boardman, Lucien Littlefield, Ford Sterling and Elmo Lincoln. Director King Vidor and writers June Mathis and Eleanor Glynn also attended the Goldwyn event. I would have gone just to see Elmo Lincoln and Eleanor Glynn! On July 23 the Los Angeles Times reported it was Policeman and Fireman’s Day. 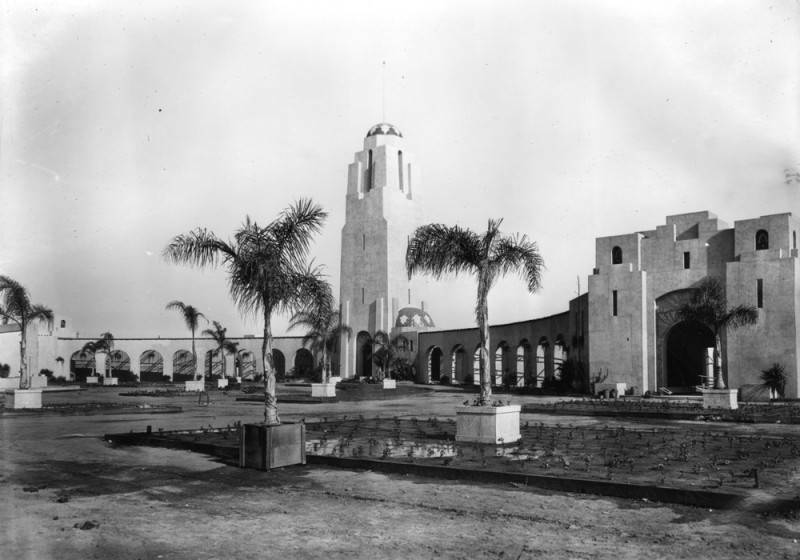 Not only were re-enactments of the fifty most exciting rescues that fireman had performed in the history of Los Angeles scheduled but a fifty foot tower had been erected on the Centennial grounds for firemen to show off their prowess under the direction of their Captain Ernest Rhoades. 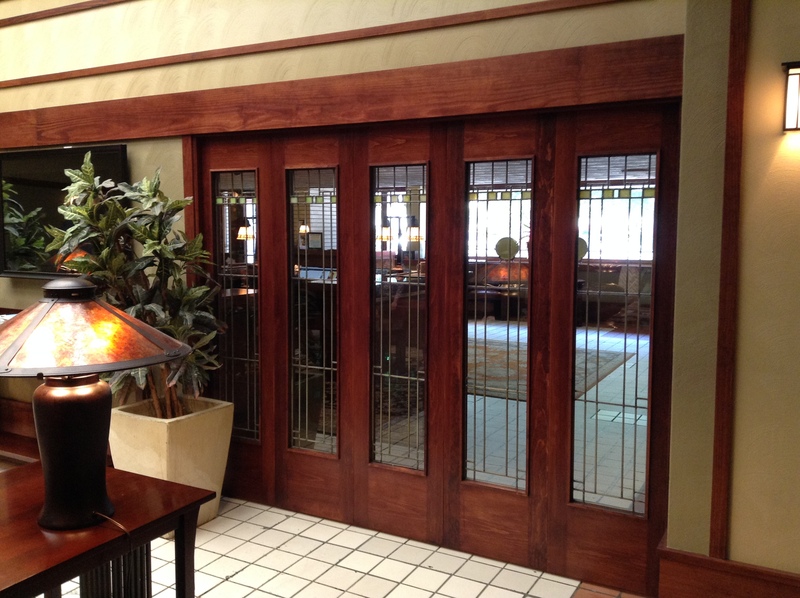 Another image from Southwest Builder & Contractor. I do like it. 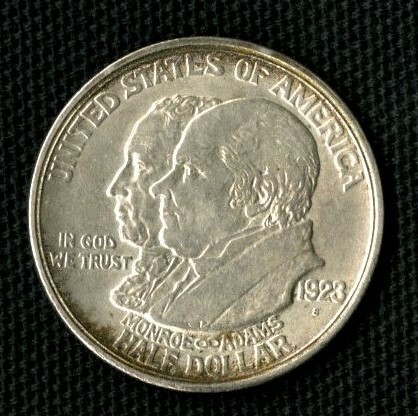 Prior to the fair’s opening, in June, a half dollar coin was issued to commemorate the fair and the first coin was presented to President Warren G. Harding. Harding stated he would like to visit the fair which had to create excitement among the Centennial’s organizers and community leaders. Below is a list of scheduled theme days put out before the fair began but what actually occurred at the fair on any given day may have been different. July 3: South America Day and Press Day. July 4: Independence Day and Monroe Doctrine Day. July 5: Jackie Coogan Day. Coogan would be at the exposition to great his fans. July 6: Woman’s Day and Santa Barbara Day. July 7: World Traders’ Day. July 8: Father’s Day and Paramount Day. July 10: Orange County Day. July 11: Empire State Day. July 16: Rotary Club Day. July 17: Chicago Day and Illinois Day. July 20: Long Beach Day. July 22: Santa Monica Day. July 23: Actor’s Fund Day. 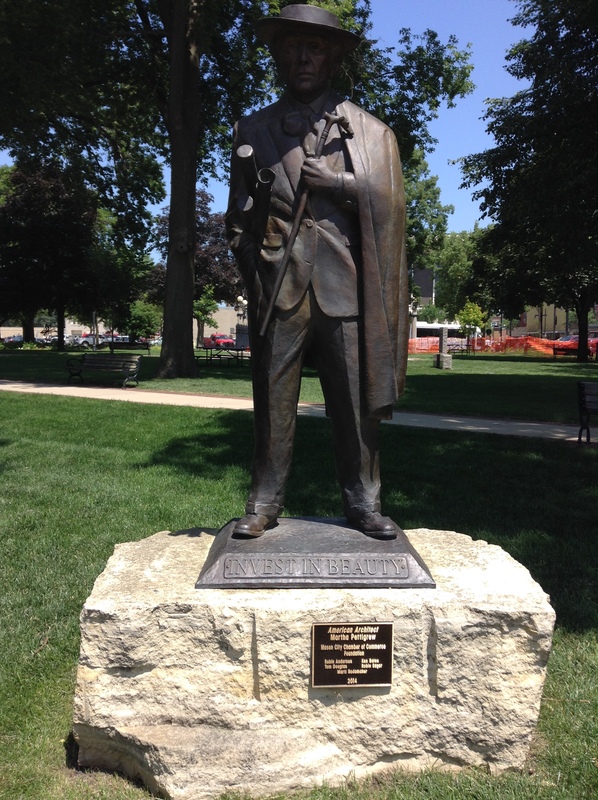 July 25: Iowa State Day. July 26: it is unclear what day it was. 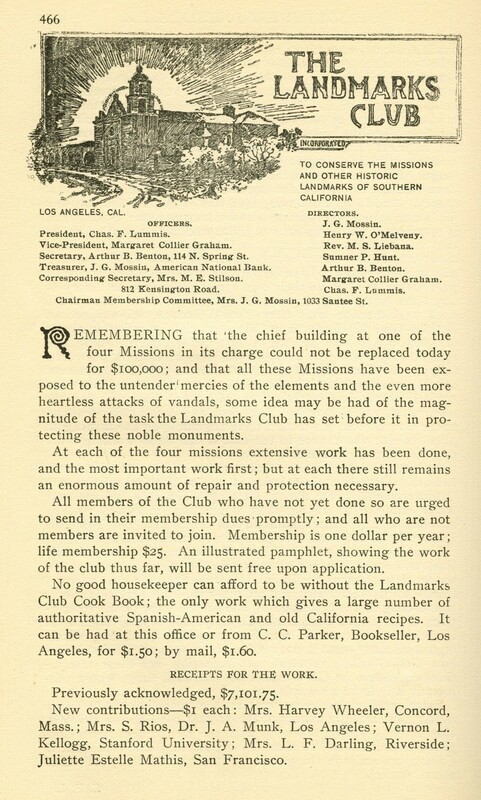 The cities of Burbank and San Fernando along with the Optimists’ Club, the Womens’ Club and the Retail Clothier’s Association were in charge of that day’s festivities. July 27: Boy Scout Day. One of the goals of the Centennial’s administration, all along, was to have President Warren G. Harding make an appearance at the Centennial. A newspaper article dated July 27, 1923 stated the American Historical Revue and Motion Picture Industrial Exposition were planning a “pioneer days parade” for President Harding and his wife. The first couple were scheduled to visit Los Angeles on August 2nd for the parade. Harding who had been on a West coast trip that had taken him to Alaska, Oregon and California became ill during its final stretch and was in San Francisco staying at the Palace Hotel and suffering from Ptomaine poisoning (food poisoning). On July 30, 1923 it was announced that Harding was cancelling his entire California program on the advice of his doctors. The next day, July 31, 1923 Los Angeles cancelled its preparations for the president’s visit including the parade. On August 2, 1923, at 7:30 p.m., Harding died and Calvin Coolidge became president. 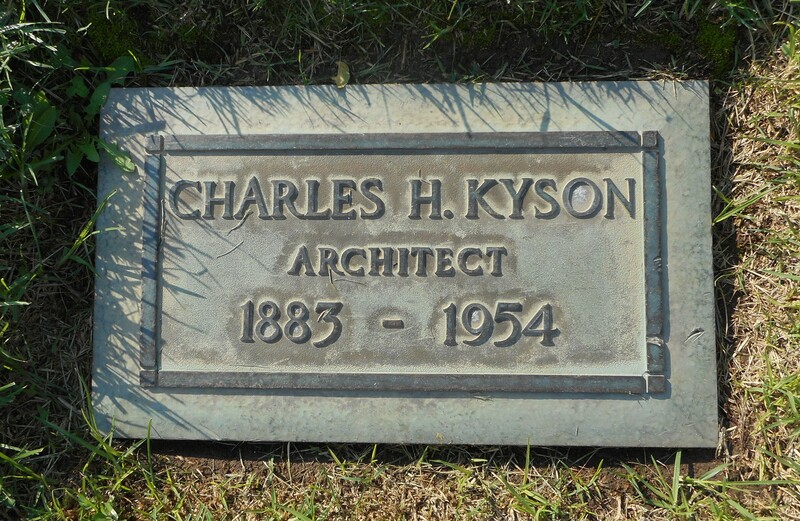 Charles H. Kysor was born May 17, 1883. 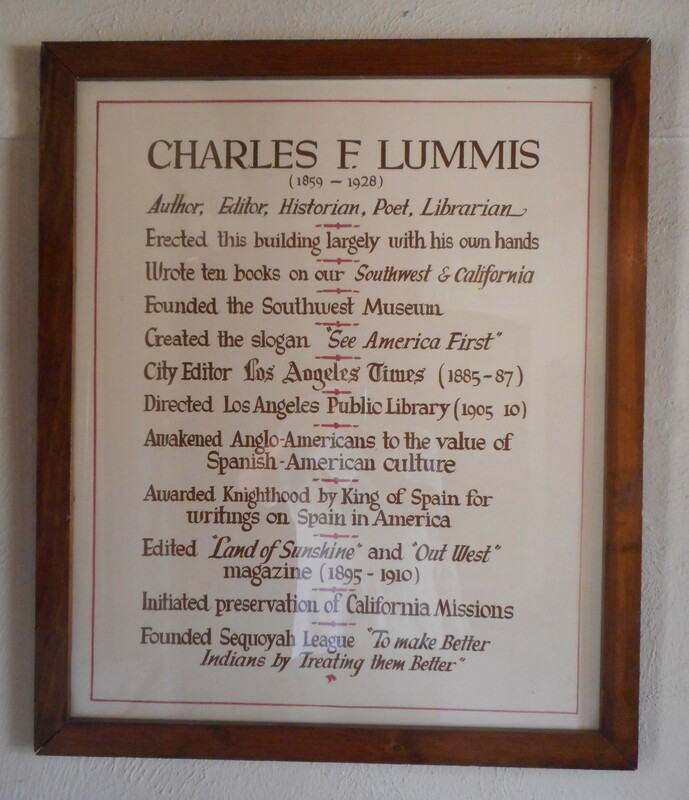 He was the son of Ezra Kysor the first acknowledged architect in the city of Los Angeles. 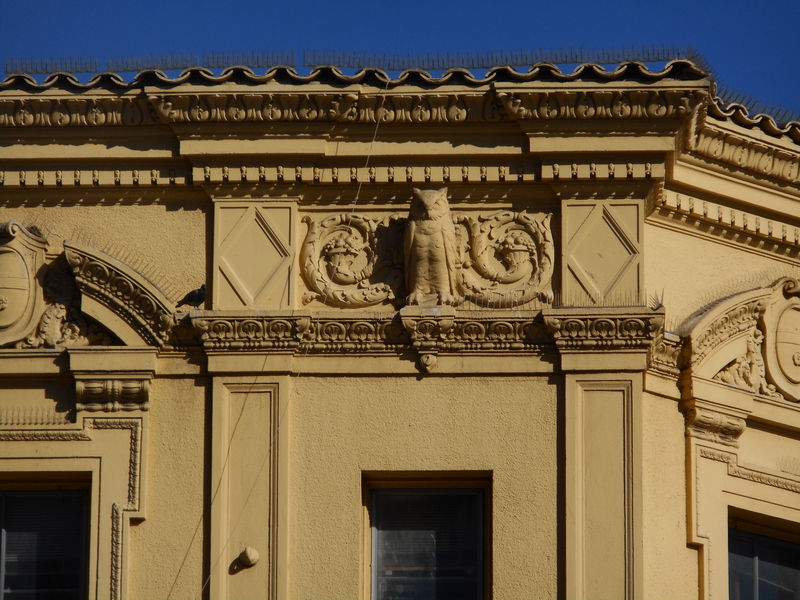 Ezra Kysor was the architect of the Pico House and the Merced Theater which still stand and Ezra Kysor was an early partner of Ocatvius Morgan who had a big impact in Los Angeles. 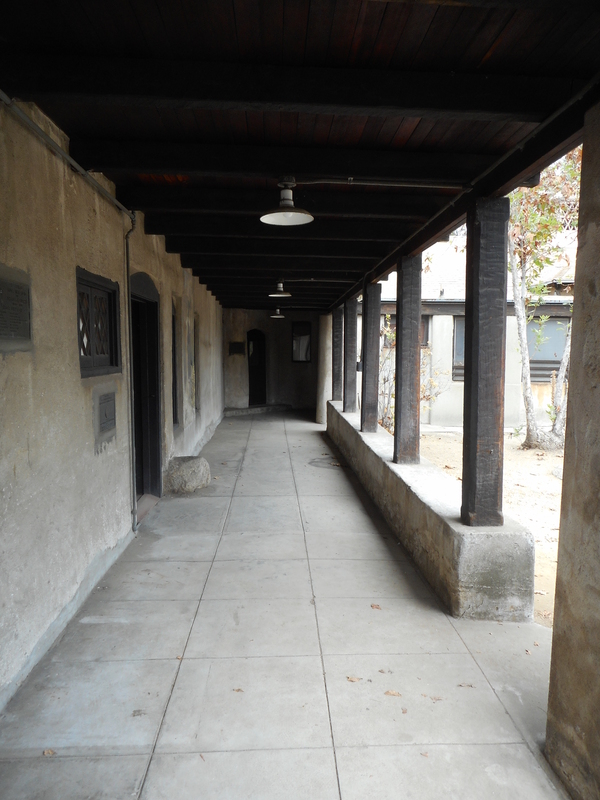 Charles Kysor attended public schools and then Throop Polytechnic Institute in Pasadena. He went on to study at Columbia’s School of Architecture in New York City and followed that up with two years in Paris and Rome. 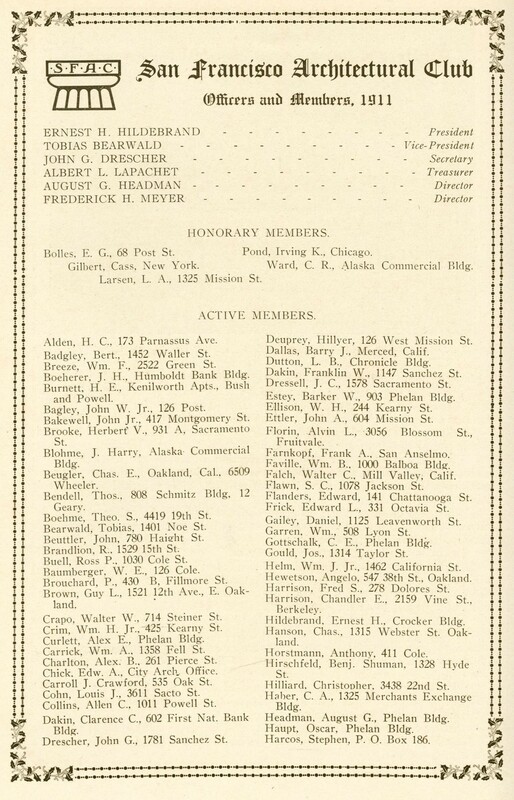 The 1904 Los Angeles city directory lists Charles H. Kysor as a draftsman for Morgan & Walls and living at 323 S. Bonnie Brae. 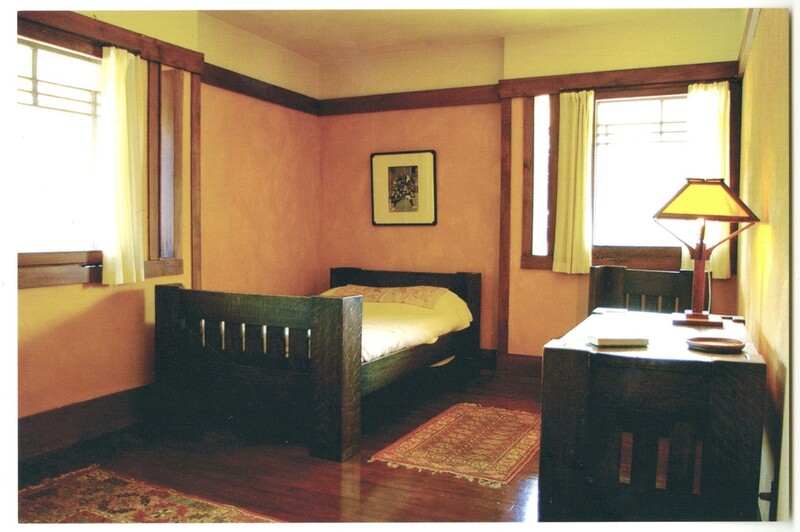 Who’s Who in the Pacific Southwest states he began his architectural practice in 1911. He married Blythe (née Slaughter) in 1907 and they had a daughter named Harleigh in 1909. Charles H. Kysor’s voter registration card from 1916 stated he lived at 309 S. Hoover Street, was a republican and an architect. His draft registration card dated September 12, 1918 lists his last name as Kysor, his home address as 416 S. Hoover and his employer as Famous Players Lasky Corporation. He was physically described as tall with a medium built and with grey eyes and dark brown hair. His nearest relative was listed as Blythe T. Kysor. According to the LAPL card index file Kysor changed his name to Kyson during World War I. At the time the United States was experiencing a wave of anti-German sentiment so it was probably a smart business move. 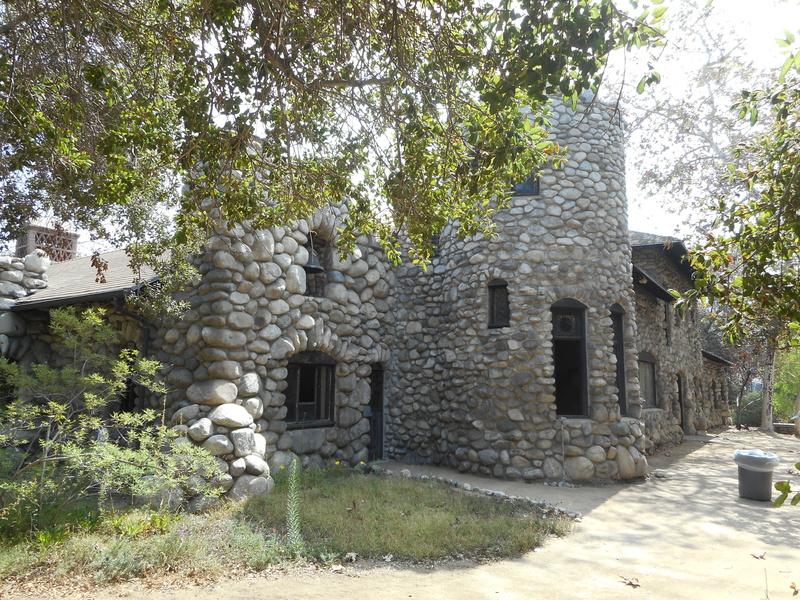 In 1920 the Kyson family were renting a home at 7266 Sunset Boulevard in Los Angeles. Kyson had an office in Hollywood at 6040 Hollywood Blvd. 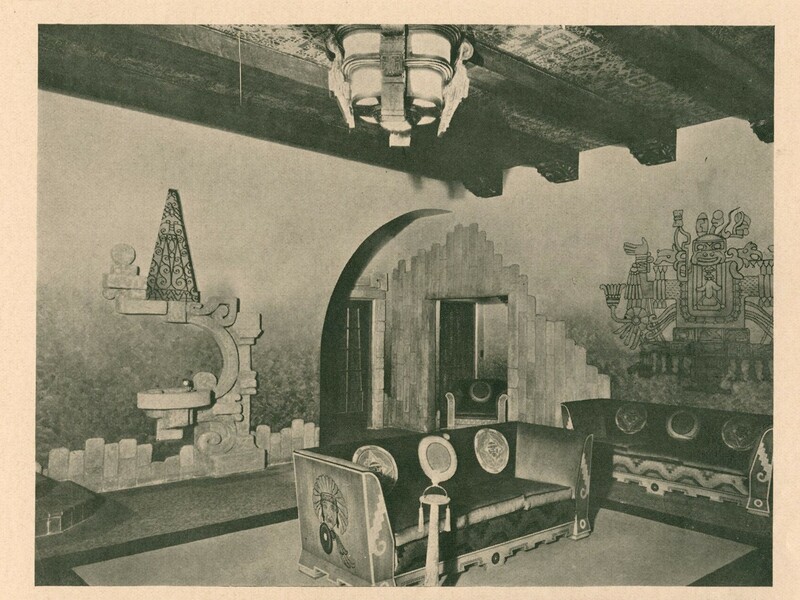 He was appointed department head for the Sets & Scenery department at Thomas Ince Studios in March of 1920. It was announced on December 22, 1920 that he had been elected president of the Art Director’s Association for 1921. 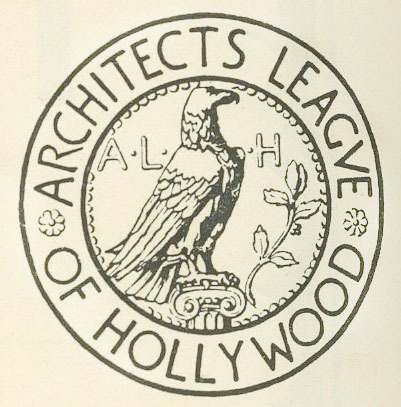 In 1927 he was the president of the Architects League of Hollywood. 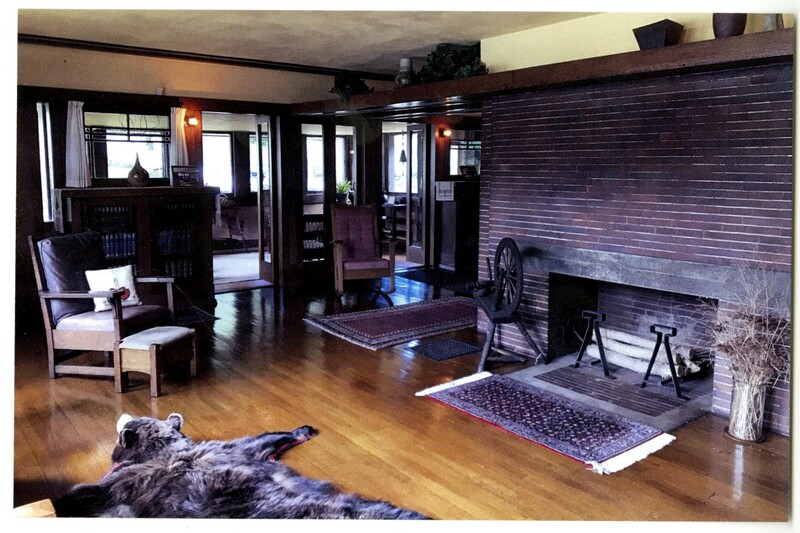 In 1930 Charles and Blythe owned a home at 2433 Horseshoe Canyon Road which was valued at $5,000 and he was still working as an architect. Ten years later their situation had changed drastically. 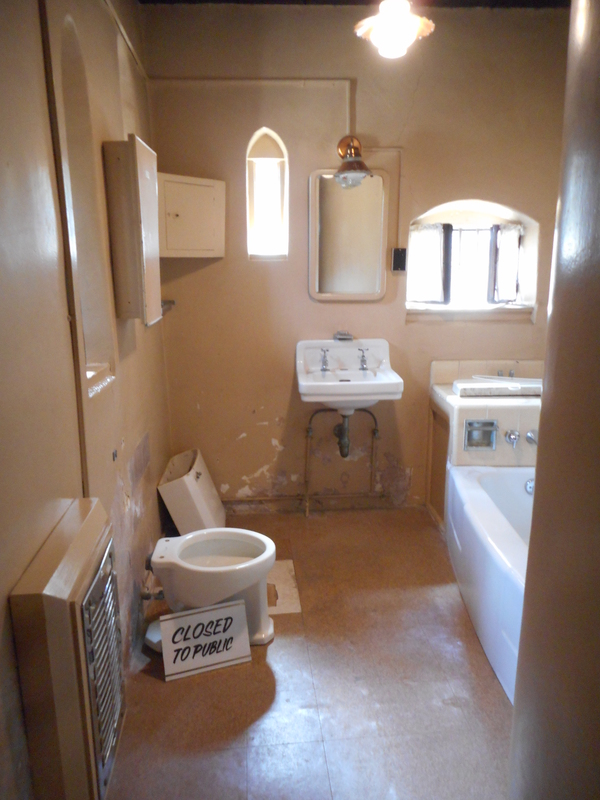 They were renting a home at 114 1/2 West 84th Street in Los Angeles. He was working as an instructor and in 1939 had an income of $800 according to the 1940 census. Blythe Kyson died on March 1, 1947. Twenty days later on March 21, 1947 Charles H. Kyson married Barbara S. Dockar. Kyson, evidently, liked being married. Kyson designed many buildings and I’ve found two buildings of note. 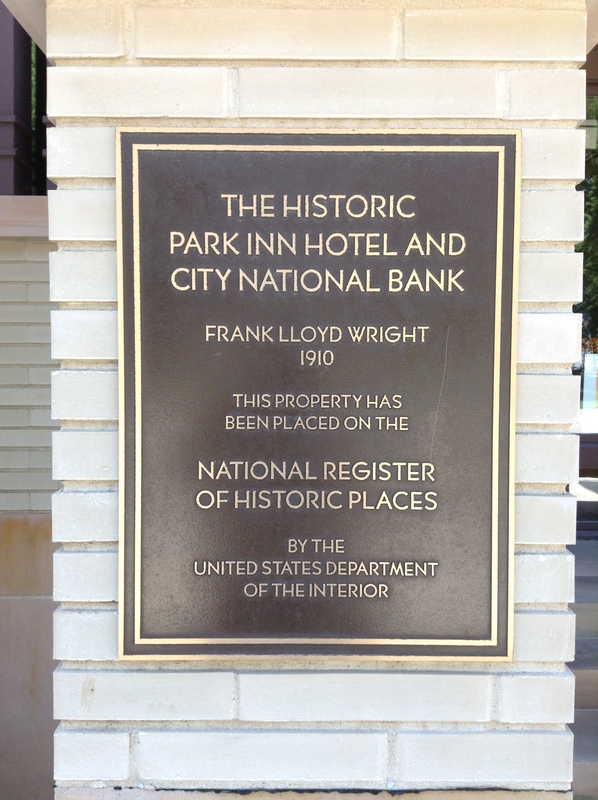 The first was the Bryson Apartments on Wilshire Boulevard. He did the Bryson Apartments under his old name: Charles Kysor. The other building of note he designed was listed in his obituary. 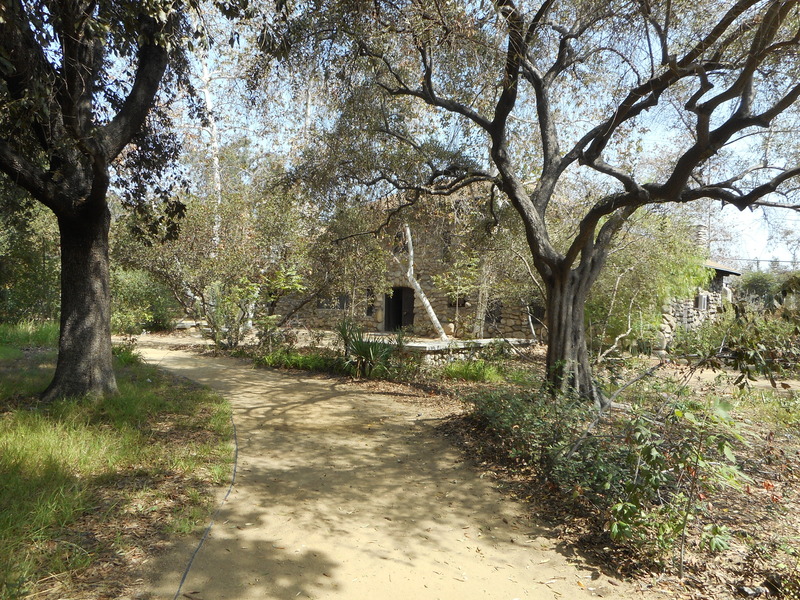 It is the Wee Kirk O’Heather Chapel at Forest Lawn in Glendale. Kyson died on July 16, 1954. This is from the LAPL card file index. I removed his social security number with Photoshop. He’s buried at Forest Lawn in the Hollywood Hills. Kyson, C. H. (1923, June 29). 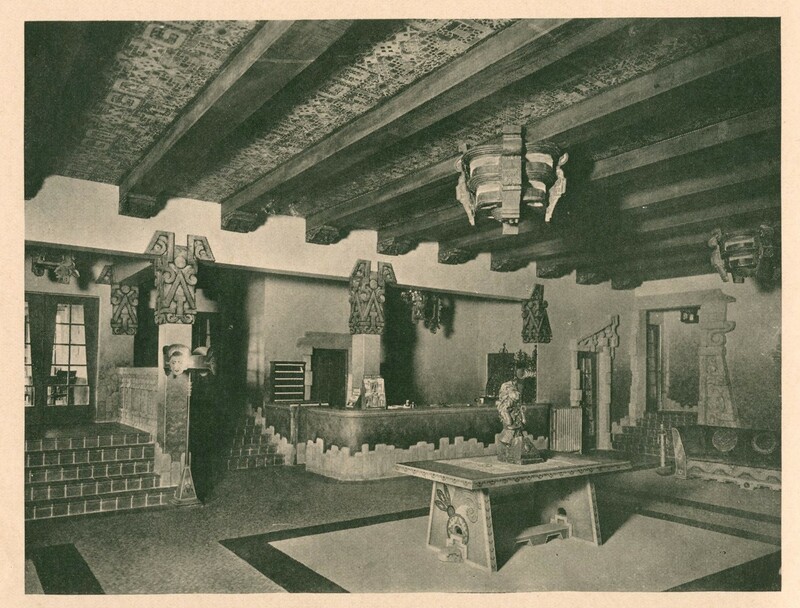 Pueblo type of architecture furnished motif for Monroe Centennial Exposition. Southwest Builder and Contractor, 61(26), 34-36. Crowds throng gates as centennial opens. (1923, July 3). Los Angeles Times, p. II1. Plan “pep” for centennial. (1923, July 7). Los Angeles Times, p. II1. Charles H. Kyson, native Angeleno architect dies. (1954, July 17). Los Angeles Times, p. 7. Church being planned. (1928, January 8). Los Angeles Times, p. E3. Film production cost to be talk subject at meet. (1921, March 21). Los Angeles Herald, p. B3. Filmland will parade tonight. (1923, July 16). Los Angeles Times, p. II1. Gets appointment. (1920, March 15). Los Angeles Herald, p. B9. Harding to have first revue coin. (1923, June 6). Los Angeles Times, p. II10. Kyson, C.H. (1923, June 29). 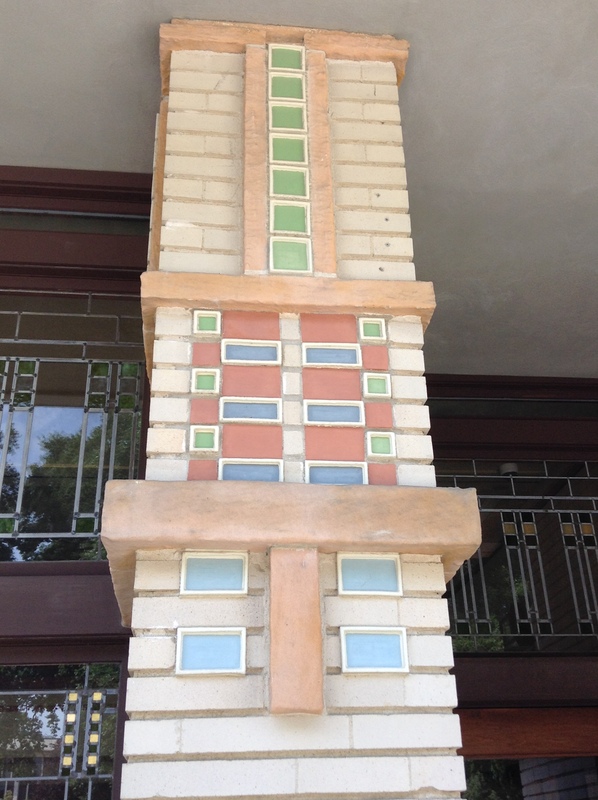 Pueblo type of architecture furnished motif for Monroe Centennial Exposition. Southwest Builder and Contractor, 61(26), 34-36. Kyson, C.H. (1931, April). Advertising and advertising. American Architect, 139(2594), 48-49, 110, 112, 114. Mounted star will do stunts at exposition. (1923, July 25). Los Angeles Times, p. II2. Obtain best for pageant. (1923, June 10). Los Angeles Times, p. II7. Pioneer days to be recalled in Harding parade. (1923, July 27). Los Angeles Times, p. I14. Plans for Harding’s reception abandoned. (1923, July 31). Los Angeles Times, p. I1. 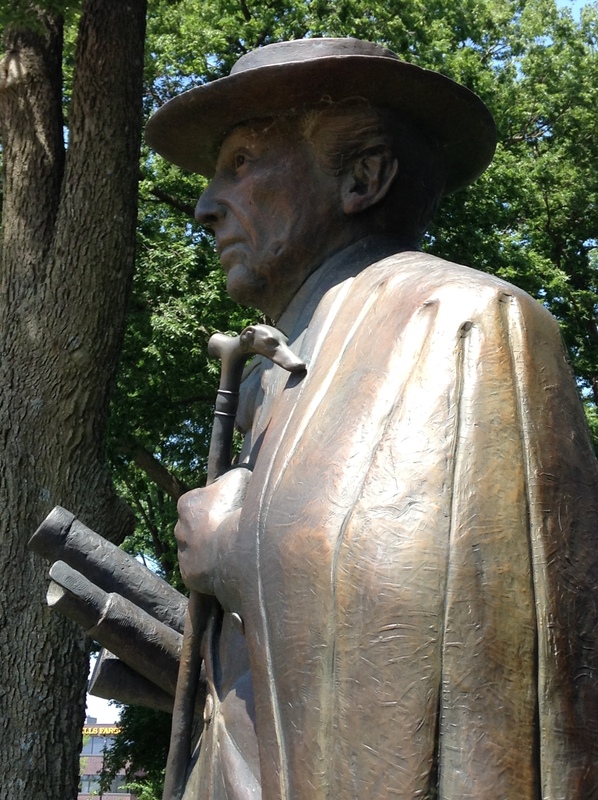 President Harding cancels entire California program. (1923, July 30). Los Angeles Times, p. I1. Program of events at Centennial. (1923, July 2). Los Angeles Times, p. IV5. Radios: art director elect. (1920, December 22). Los Angeles Times, p. III4. Record exposition crowd. (1923, July 20). Los Angeles Times, p. II1. Revue coins in heavy demand. (1923, July 23). Los Angeles Times, p. II1. Who’s who in the Pacific Southwest. (1913). Los Angeles: Times Mirror Publishing. 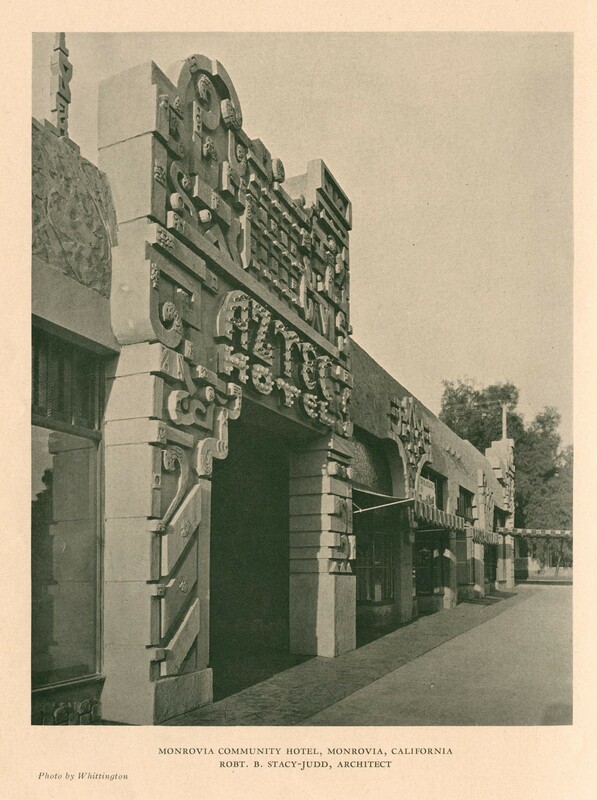 *The four photos of the Centennial are used with the permission of the Los Angeles Public Library. *The coin images are from Wikipedia Commons. Bob131313 is the photographer. 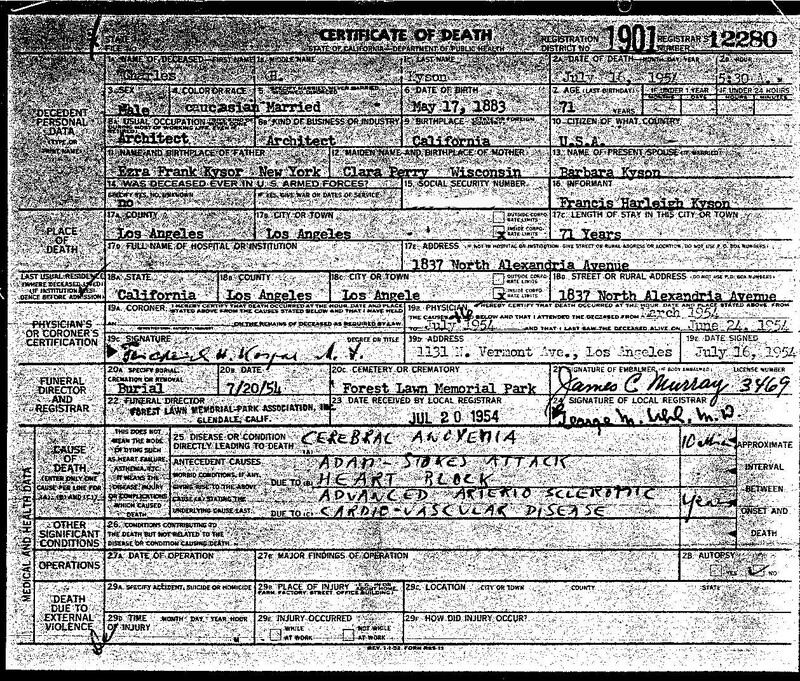 *1920, 1930 and 1940 census records, his draft registration card, voter registration card, Blythe Kyson death information and the marriage record for Kyson and Dockar were all found through Ancestory.com. 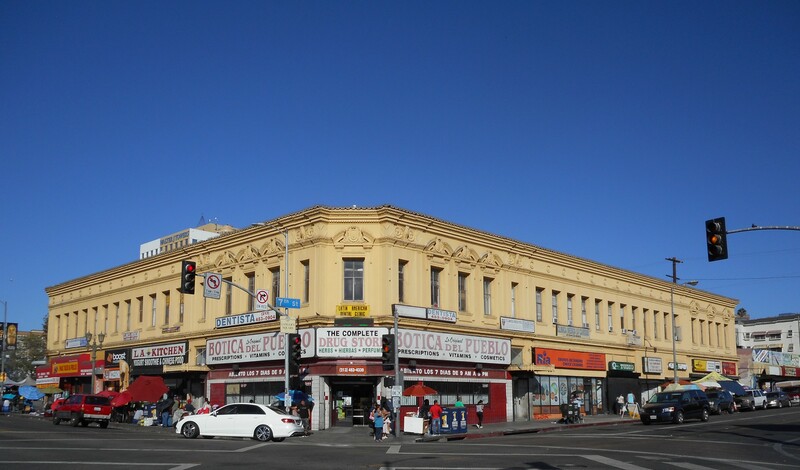 For a Heritage Conservation class I’m taking I needed to find information on a particular building located at the corner of Alvarado and Seventh Streets in Los Angeles. 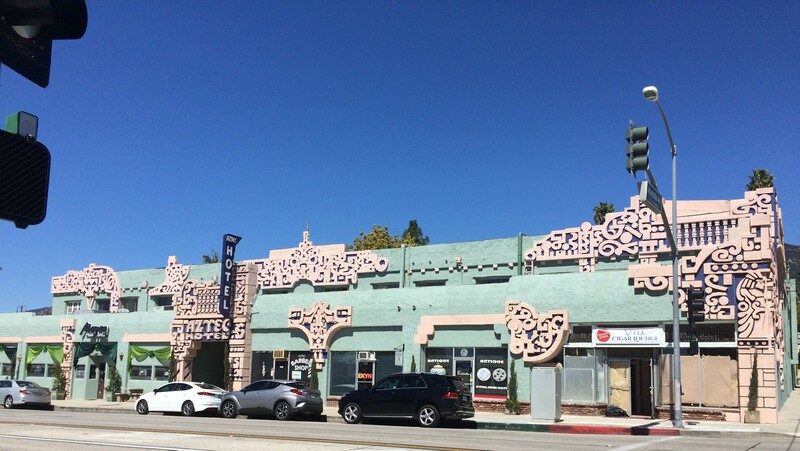 This building was built for the Owl Drug Company which had many stores throughout the Los Angeles area in the 1920s. 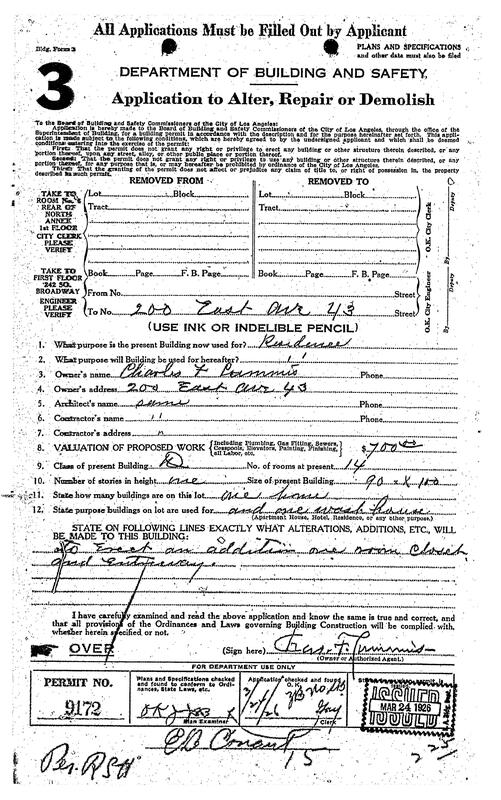 One of the first clues I found regarding the building was this building permit. It gave me two leads: 1) It told me who the architects were and 2) from the date on the building permit I was able to locate this article in Southwest Builder and Contractor. This is the building I was interested in learning more about. It’s only two stories but it’s a behemoth of a building. There are certain aspects of the building that are lost from a distance but seen close up the beauty of the building is more apparent. 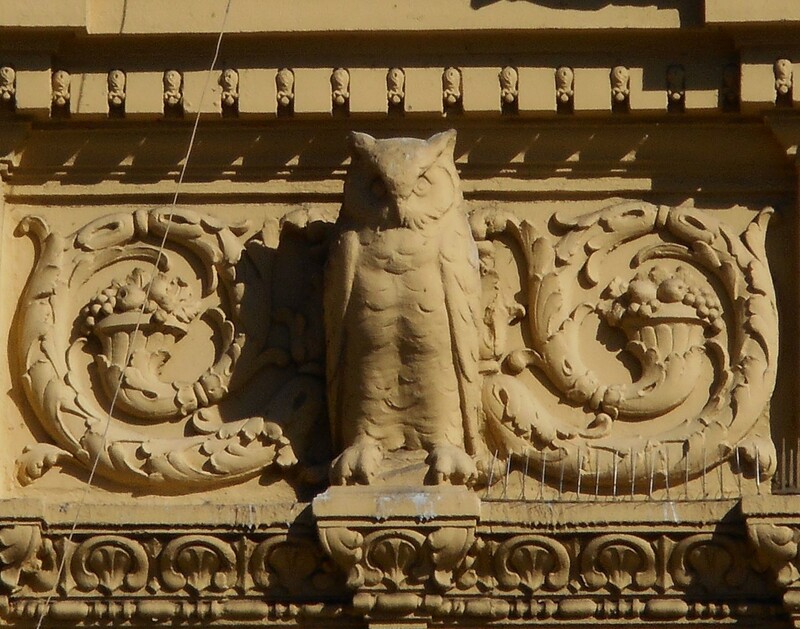 The building has great three dimensional owls adorning the facade. A closer view of one. 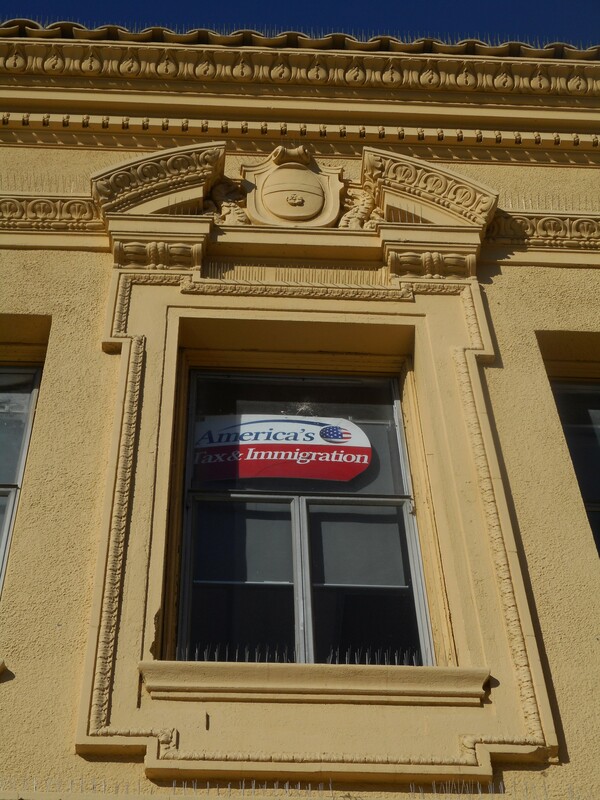 The building also has two marquees above the entrances that lead to the second floor on Alvarado and Seventh Streets. They are still there and still intact. On this one you can see the crisp metal underneath because the paint has chipped off near the bottom of the inside column. The building has four bays on the Alvarado side and five bays on the Seventh Street side. 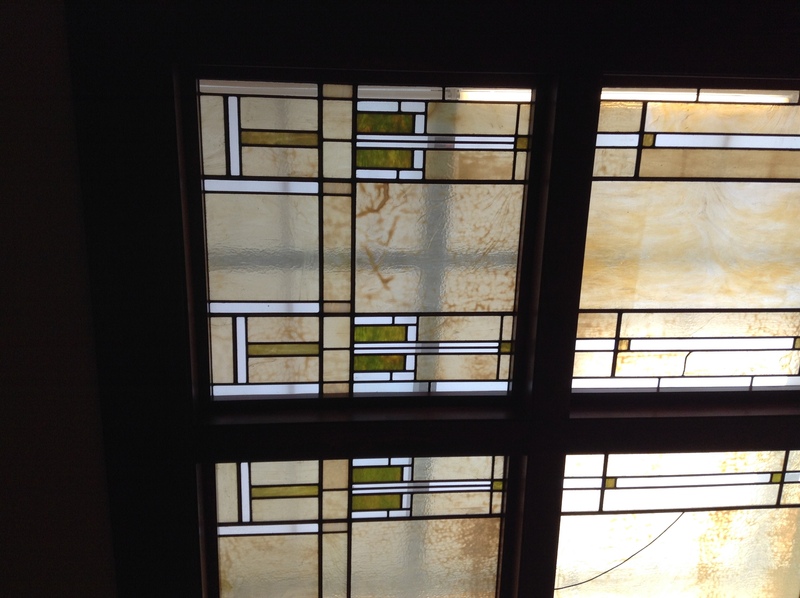 Some of the bays have these beautiful ornate windows. 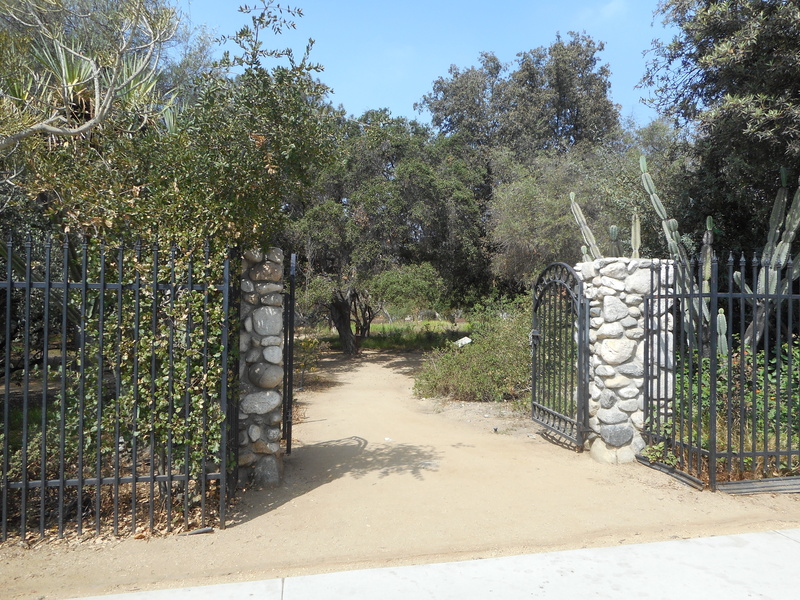 This is the Seventh Street entrance. 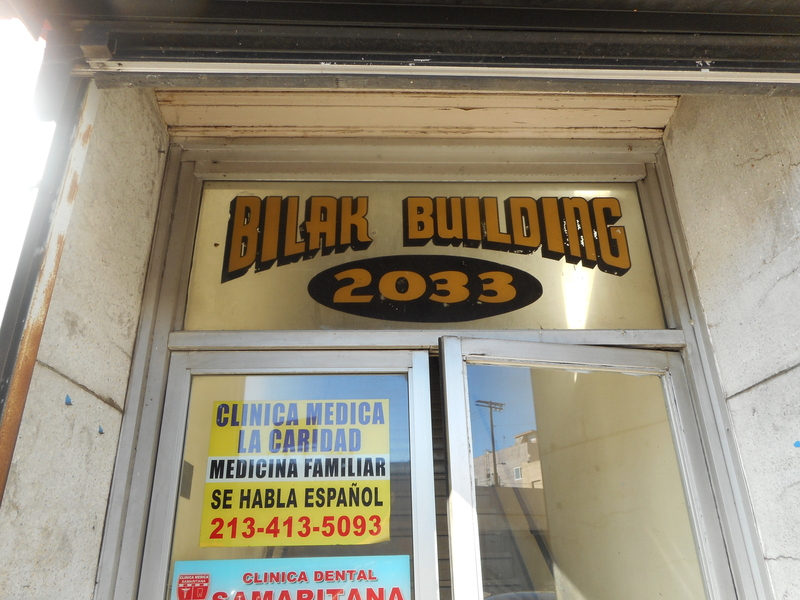 In the 1950s the building was owned by Boris and Dora Bilak. The offices on the second floor look like this. I found this to be a nice original detail. 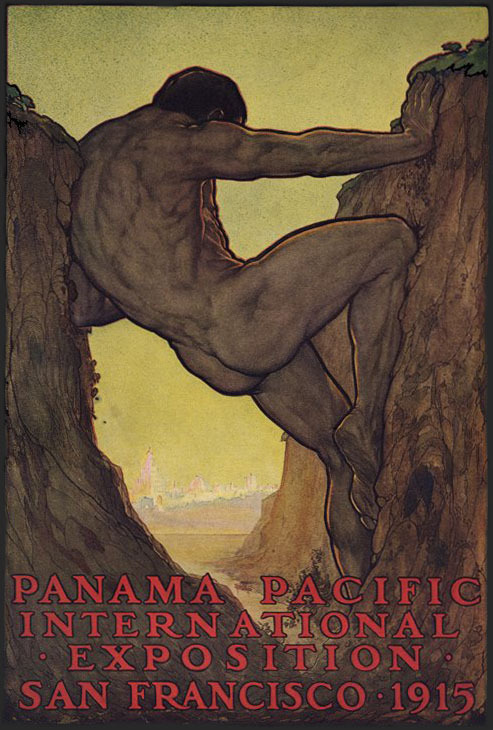 As for the architects I found more information about one than the other and I only found that information because the firm was involved with the Panama-Pacific International Exhibition (PPIE) held in San Francisco in 1915. The one I found the most information about is Clarence Ward. 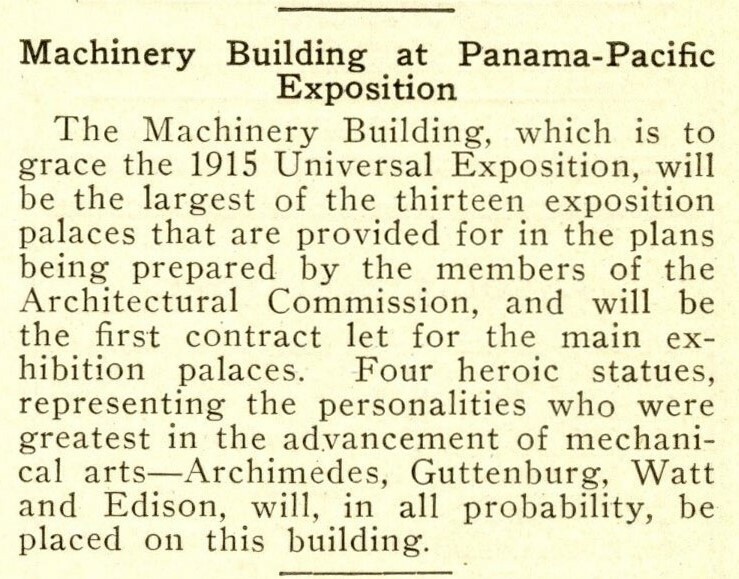 Architect & Engineer announced that Ward had been tapped for the Panama-Pacific International Exposition. That’s him — in the middle on the right. 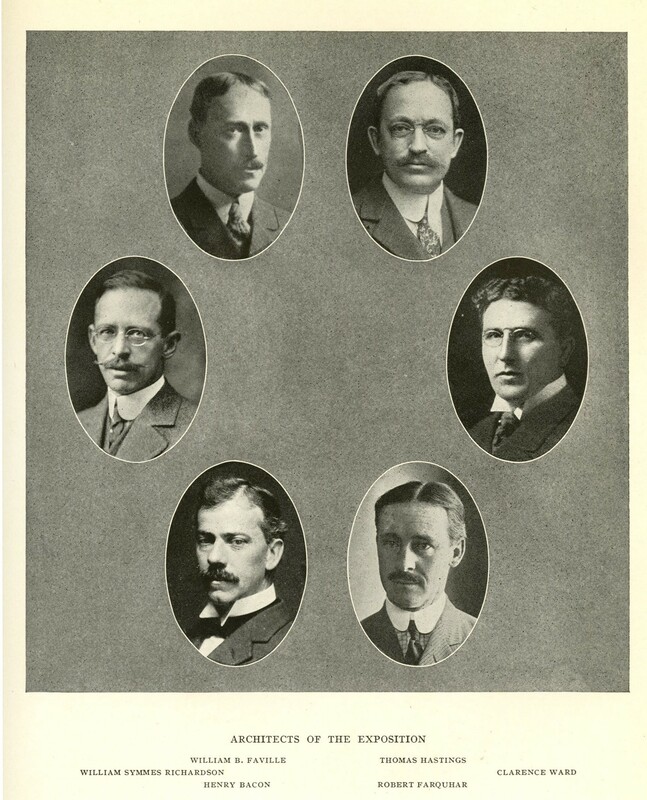 Note: This is just one page of the architects who worked on the fair. 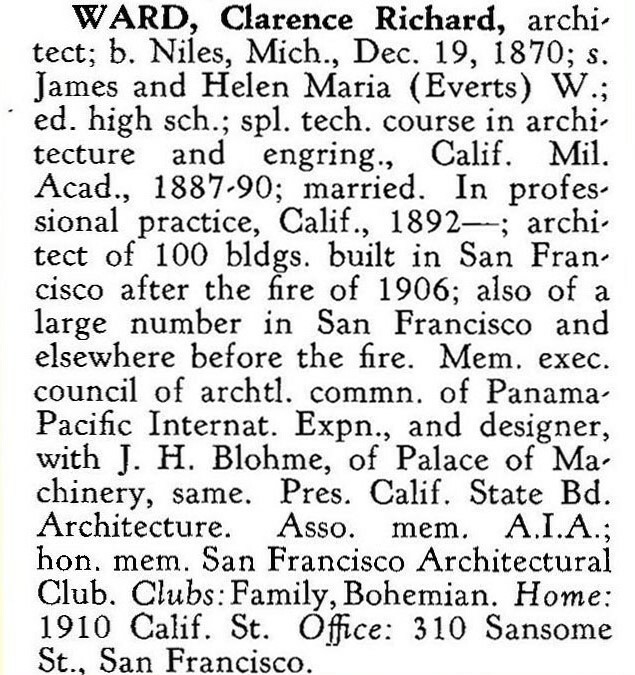 While Bernard Maybeck would design the Palace of Fine Arts, which still stands in San Francisco, this blurb from the book The Story of the Exposition clearly states that Ward’s partner Blohme also worked on the building. 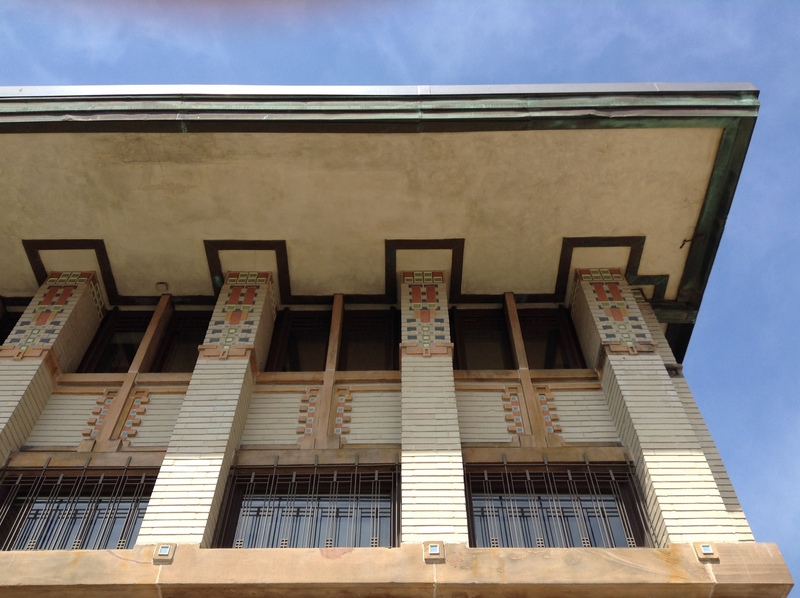 From Architect & Engineer: It sounds like the PPIE eventually required more time than Ward expected. As someone interested in heritage conservation I found this news brief from Architect & Engineer alarming. What were the landmarks that were torn down? 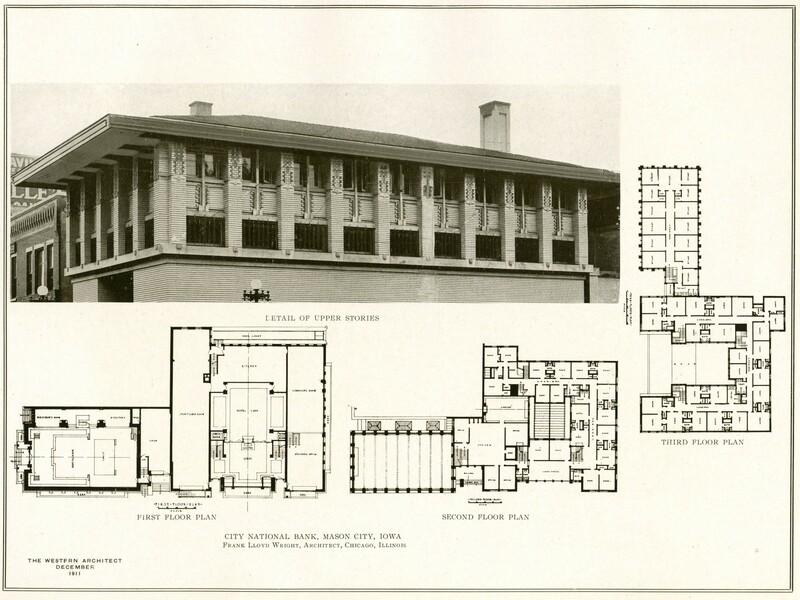 The building Ward & Blohme designed for the PPIE. Here it is under construction. This photograph is illuminating because it gives the viewer a sense of the building’s scale. 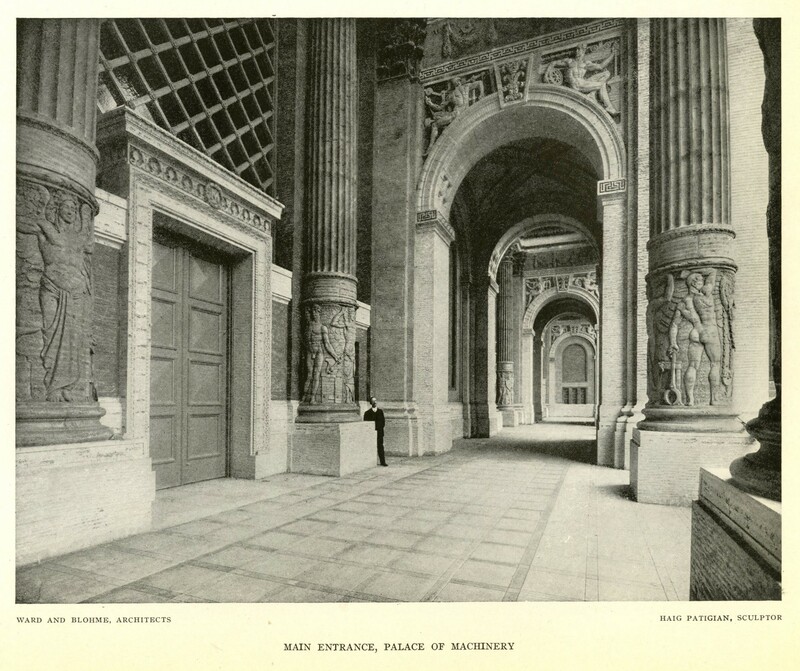 In a San Francisco Chronicle newspaper article the design of the Machinery Palace was stated to be based on a Roman arch motif similar to the great Roman baths of Hadrian. Three seventy-five foot wide naves were inside the building and they stretched out over nine hundred feet in length. 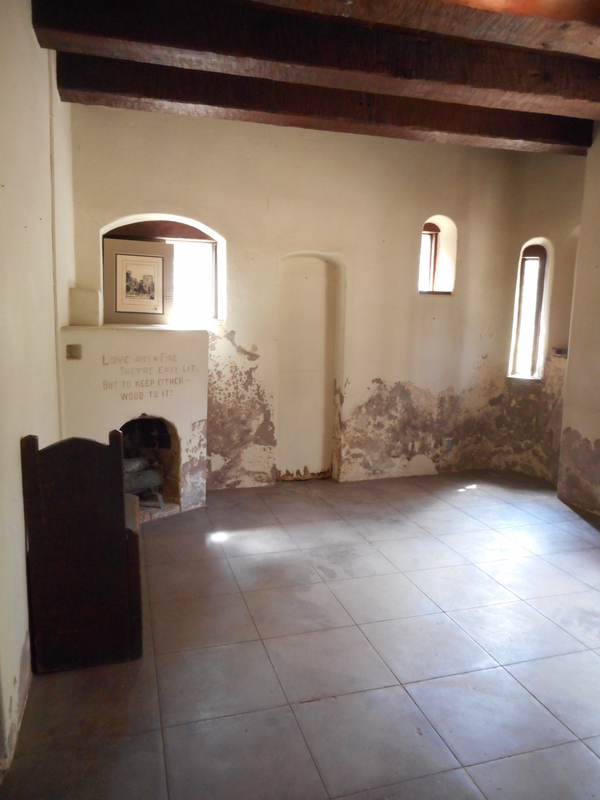 From the floor to the ceiling it was 100 feet high and the building had eight acres of floor space. 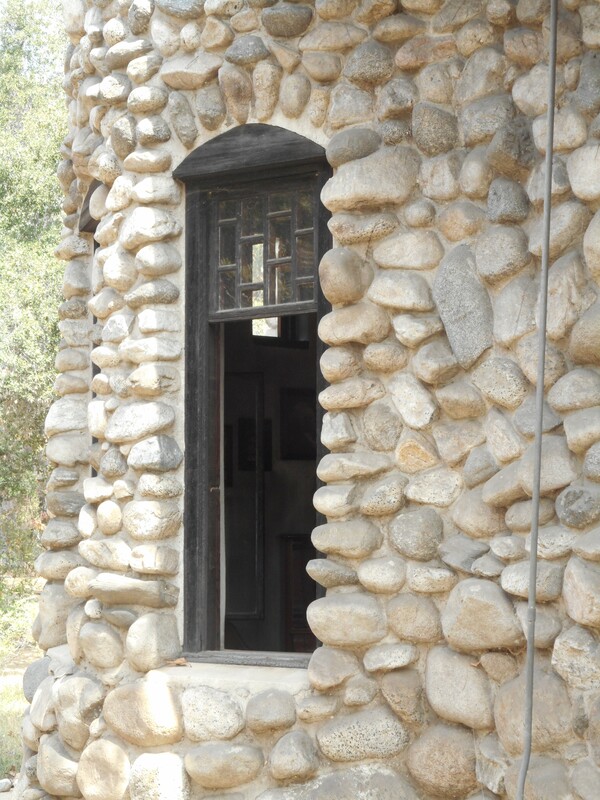 The four columns in front of the building were six feet in diameter and sixty feet in height. Edison? It speaks to how well he was thought of in his time. 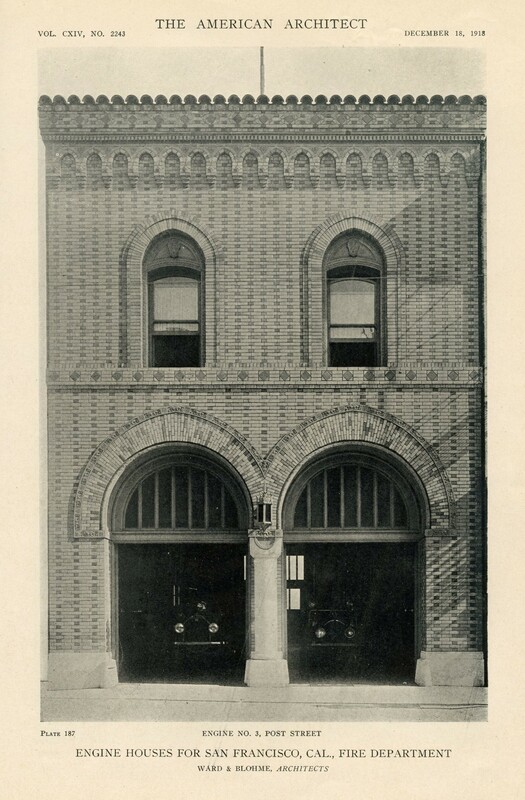 Here’s an old postcard with an image of the building upon it. Then there is this. 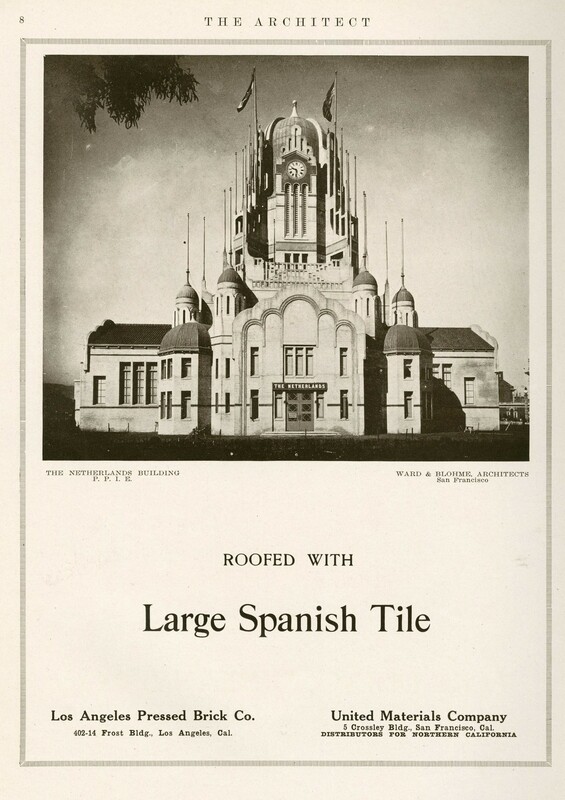 It’s the Netherlands Building at the PPIE in an advertisement for Spanish tile. 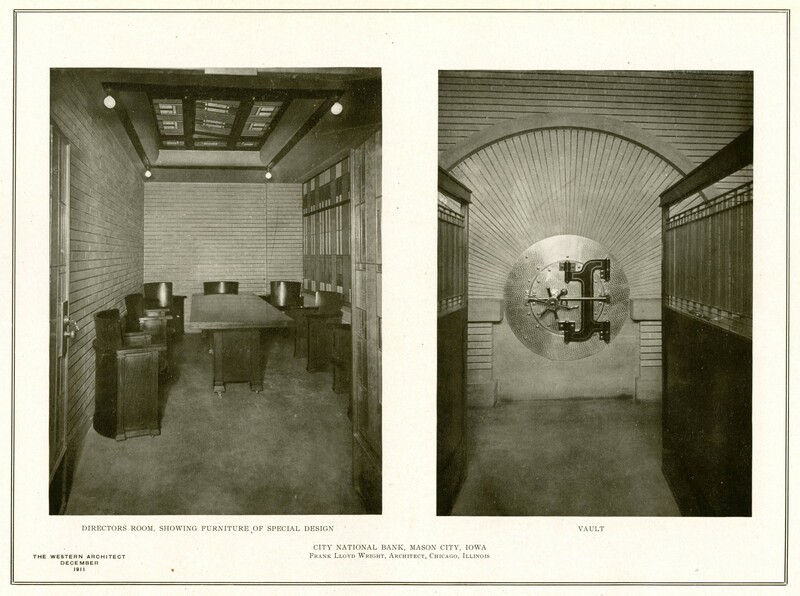 Under the photograph on the right side it says Ward & Blohme, Architects. It’s unclear if Ward & Blohme were the architects of this building. 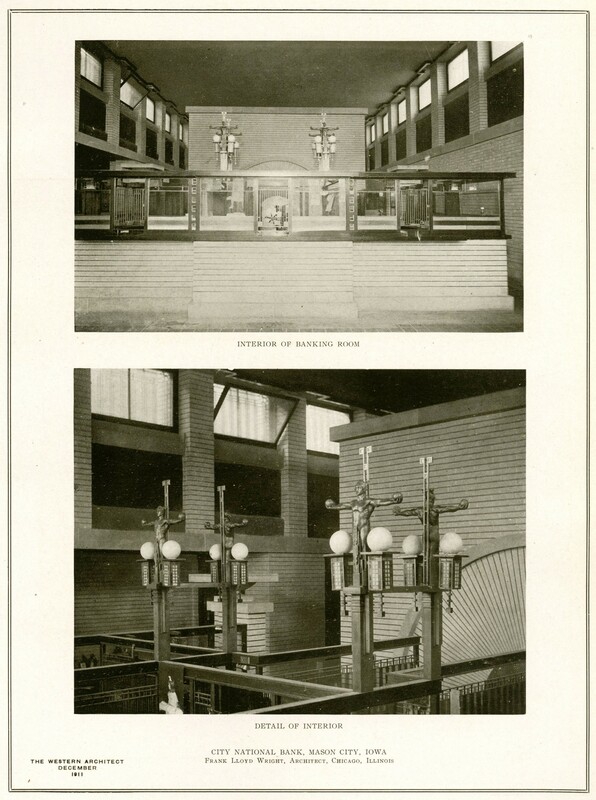 The above image is from the publication The Architect (January 1916) but in the book The Story of the Exposition, in the chapter titled The Empire of the Netherlands, it states, “The designs for the building came from The Netherlands, and were by W. Kromhout of Rotterdam. 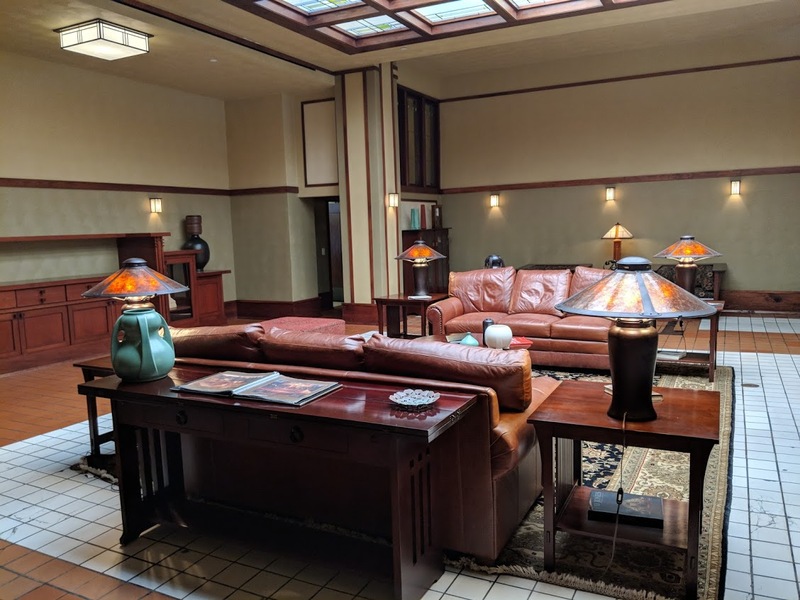 Construction was supervised by Ward & Blohme of San Francisco, and the interior decorations were by Herman Rosse assisted by Hans Ledeboer.” Anything is possible but this building doesn’t look like anything else by Ward & Blohme. This was also a mystery to me. 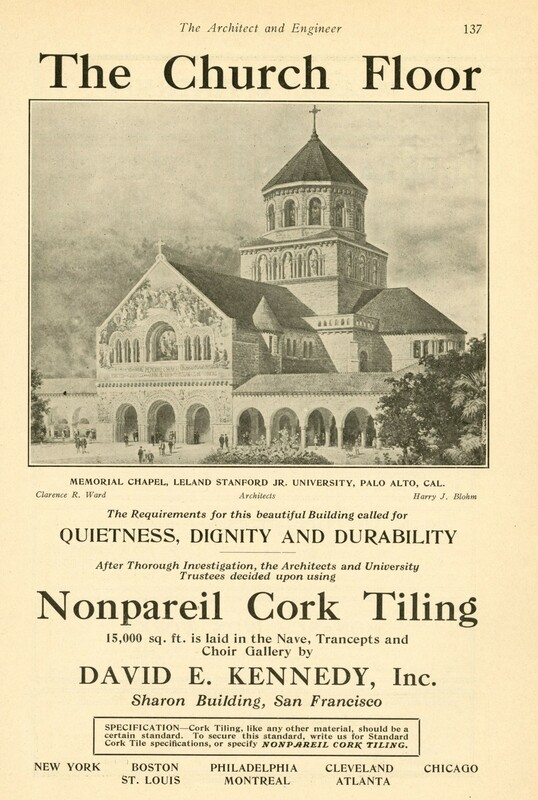 If you go to the Stanford Memorial Chapel website it states that the architect of the building is Charles A. Coolidge and there is no mention of Ward & Blohme. 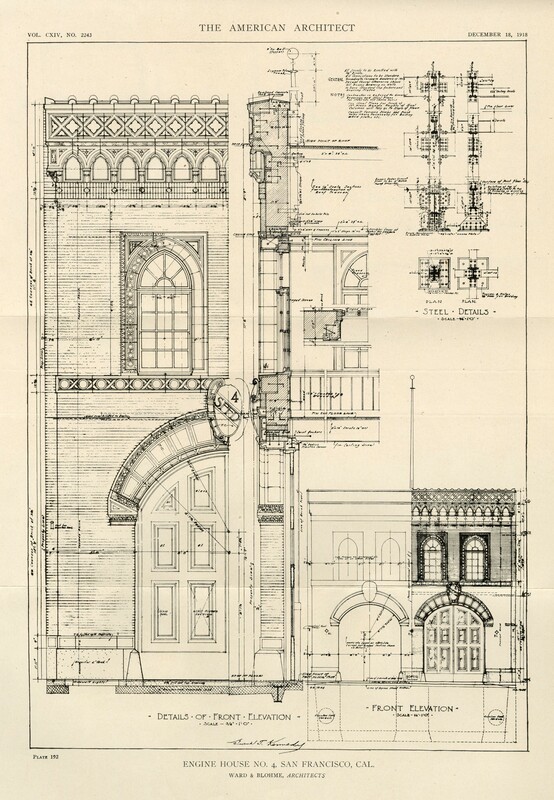 I contacted Stanford and the university archivist said, “Ward and Blohme made designs for the renovation following the 1906 earthquake.” They even have blueprints with Ward & Blohme’s moniker upon them so Ward & Blohme did have a hand in the church after the earthquake but Charles A. Coolidge is the architect of record. American Architect did not feature a lot of west coast architects in its early years. 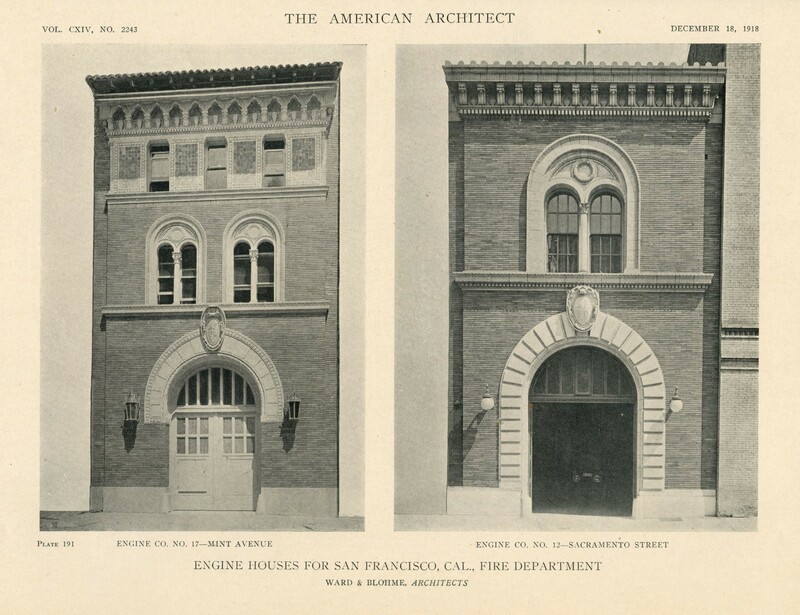 In 1918 though they featured architects Ward & Blohme and many of the fire stations they designed throughout San Francisco. What’s that thing surrounded by the railing? A foot bath? It can’t be a bidet unless firemen in 1918 were very uninhibited. 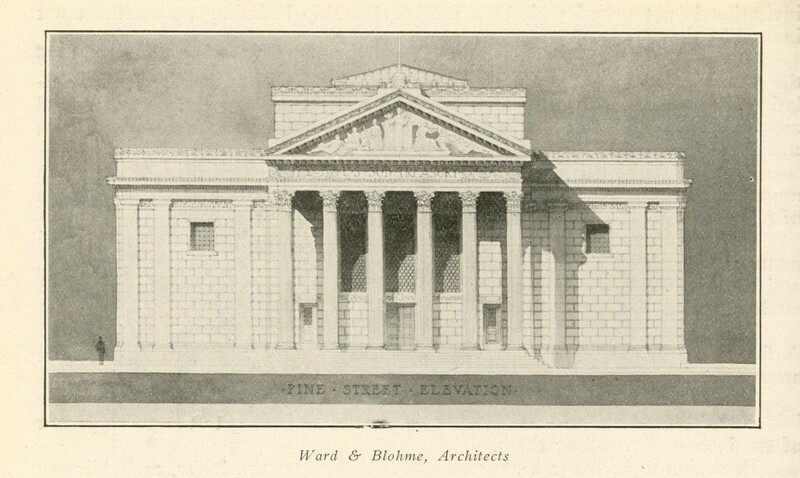 In 1911 Ward & Blohme entered a competition for the San Francisco Sub-Treasury Building. They lost. What is amazing regarding the Sub-Treasury Building competition is that many of the big San Francisco architectural firms entered: Ward & Blohme, Bliss & Faville, Coxhead & Coxhead, John G. Howard, Bakewell & Brown and Lewis P. Hobart yet none of them won. They all lost to somebody from Cleveland named J. Milton Dyer. 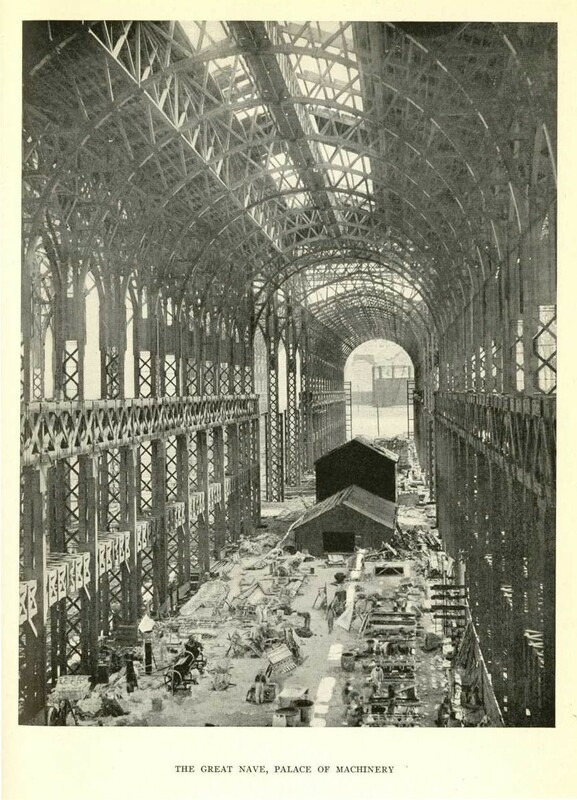 From an October 1911 issue of Architect & Engineer. 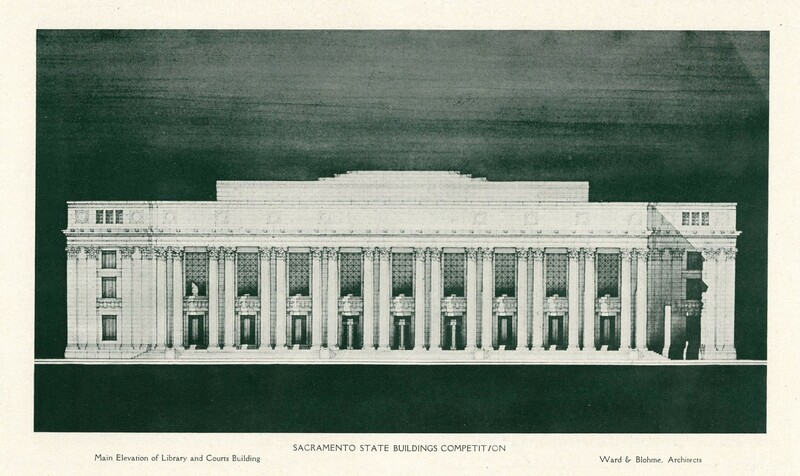 This was Ward & Blohme’s entry into the 1918 Sacramento state building competition. Ward & Blohme also lost this competition. 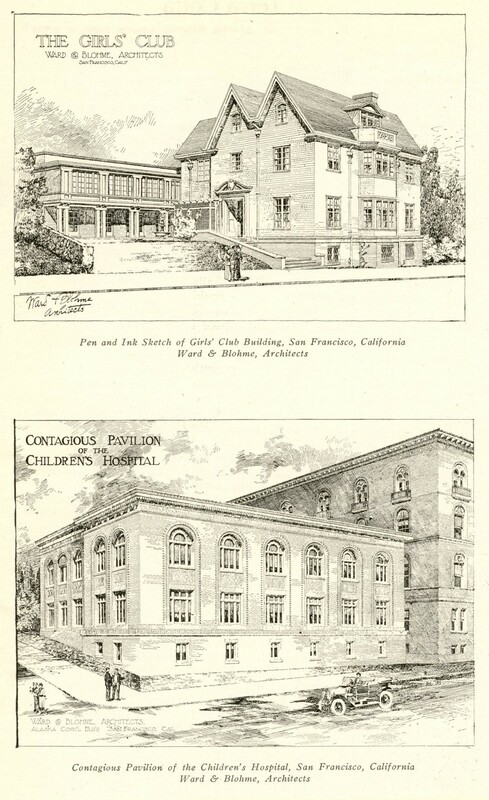 The eventual winners were Weeks & Day a very prolific San Francisco architectural firm. Weeks & Day designed the State Theater in downtown Los Angeles. Ward & Blohme struck out again with the above city hall design. 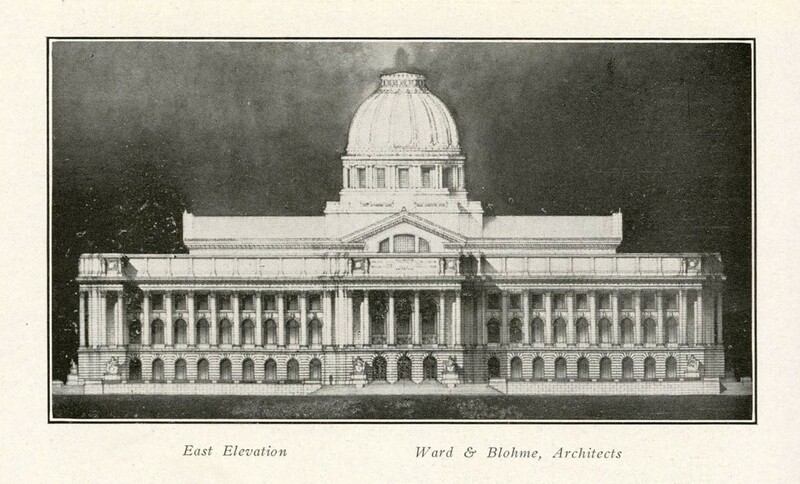 This was Ward & Blohme’s entry into the San Francisco City Hall competition. 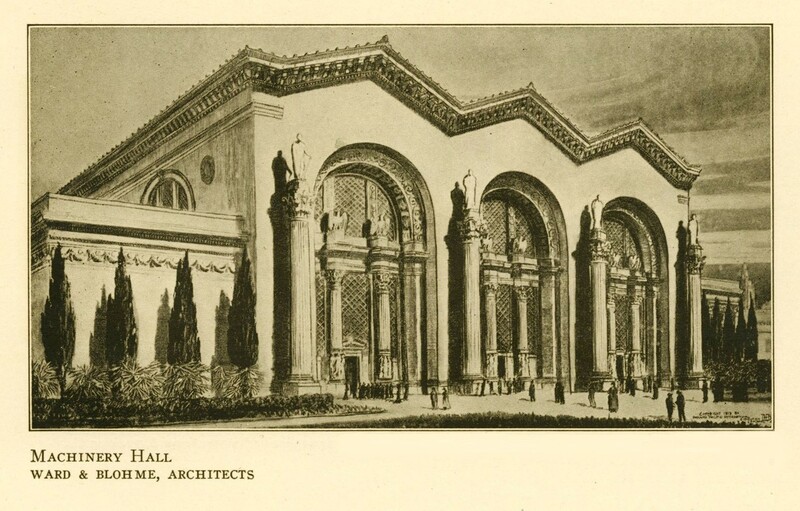 Bakewell & Brown won the competition and the magnificent (that’s the only appropriate word for it) building they designed still stands in San Francisco. This is Clarence Ward’s bio from Men of California 1926. 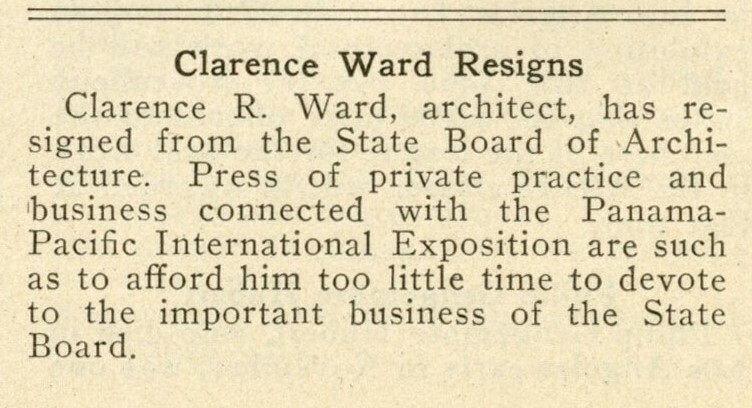 Clarence Ward’s bio from Who’s Who in California 1928/1929. This is one of the clubs the firm designed and Ward was a member of the Family Club. 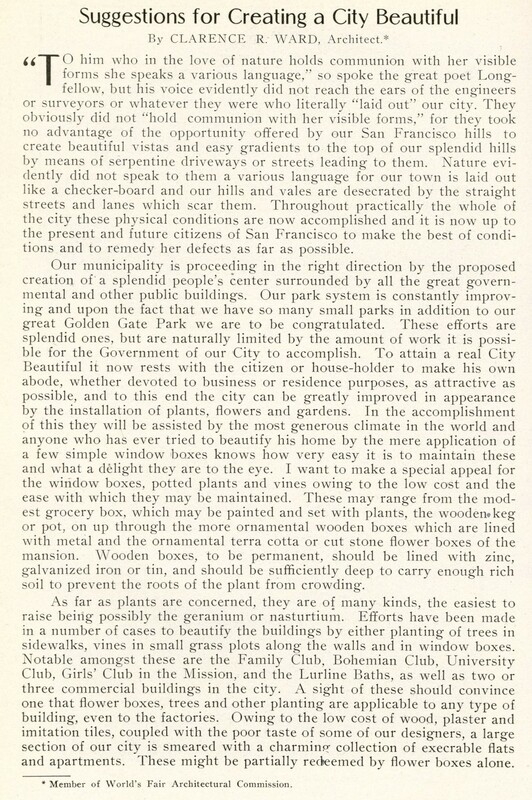 Clarence Ward wrote an article for Architect & Engineer in April 1912 regarding the beautification of cities. 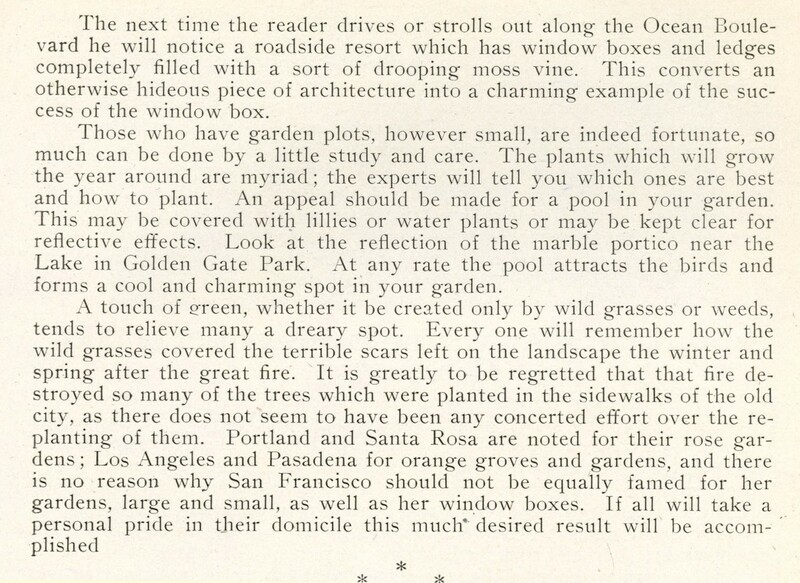 In the article Ward’s major suggestions were more gardens and more flower boxes. I included the City Beautiful essay above because of the “letter to the editor” below from Carl Ward. In it he attempts to correct the first line in his essay which he incorrectly attributed to Longfellow. 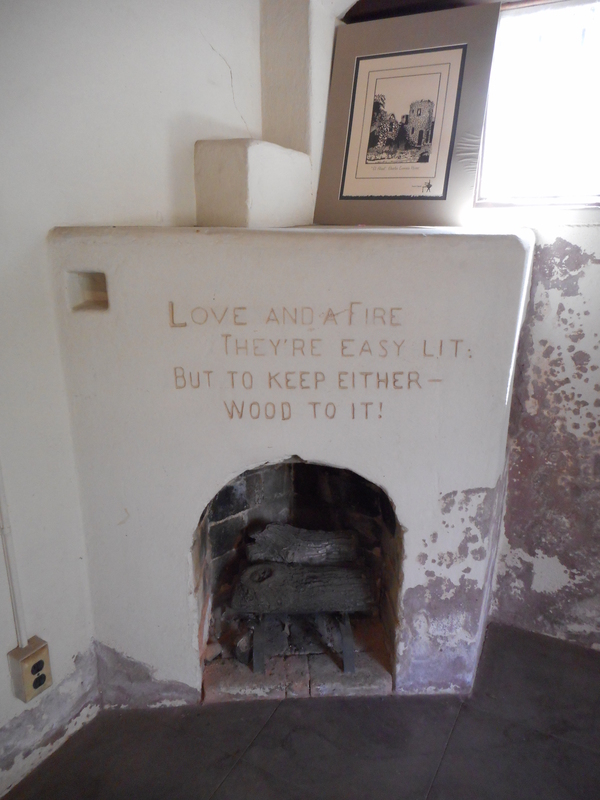 The correct author of the line Ward quoted is William Cullen Bryant. Bryant was a nineteenth century American poet and the line Ward misattributed was from Bryant’s poem Thanatopsis. It’s the tone of his letter below which is unclear to me. 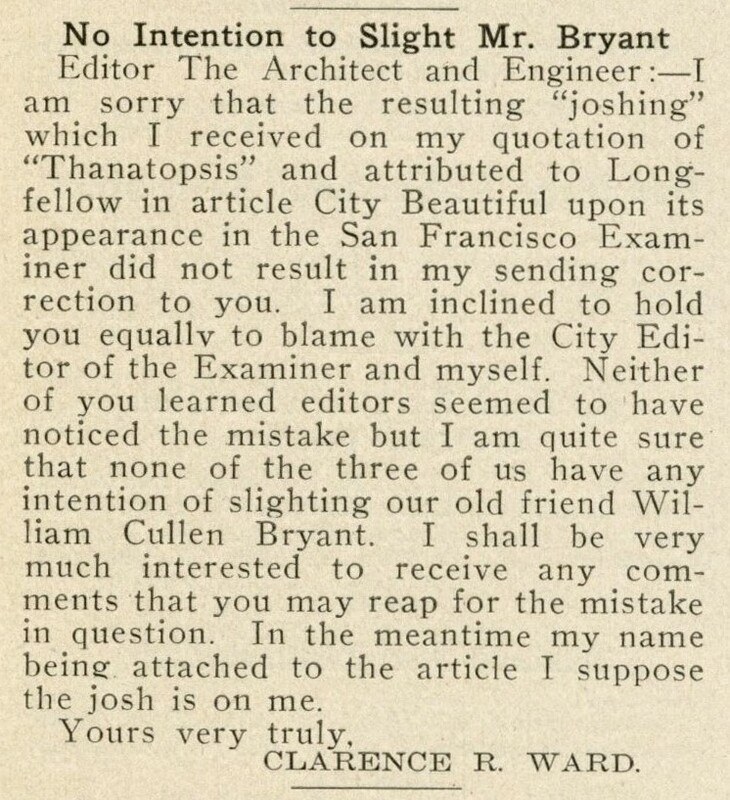 Is Ward angry at the editor(s) for failing to notice the error or is he attempting to let people know that he is aware of the error or both? Letter to the editor from Clarence Ward. This bio information about Blohme is from The Art of the Exposition. It’s not much but it’s something. 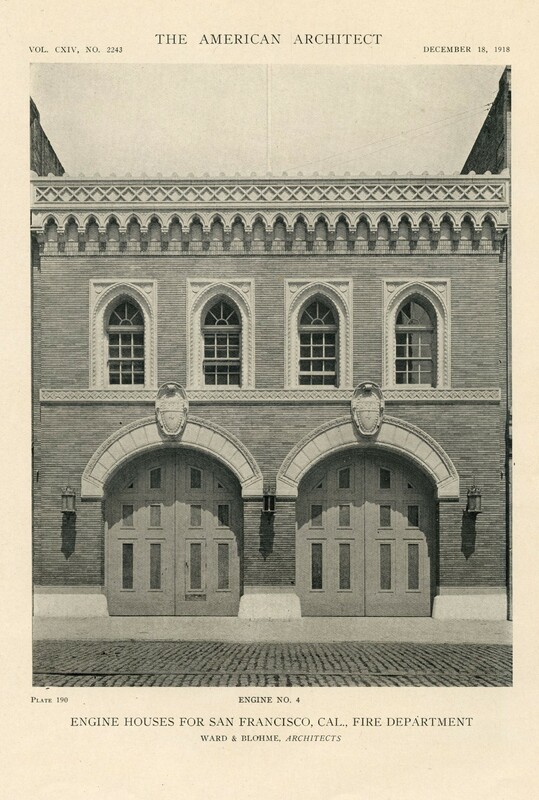 J. Harry Blohme was an active member of the architectural club in 1911. 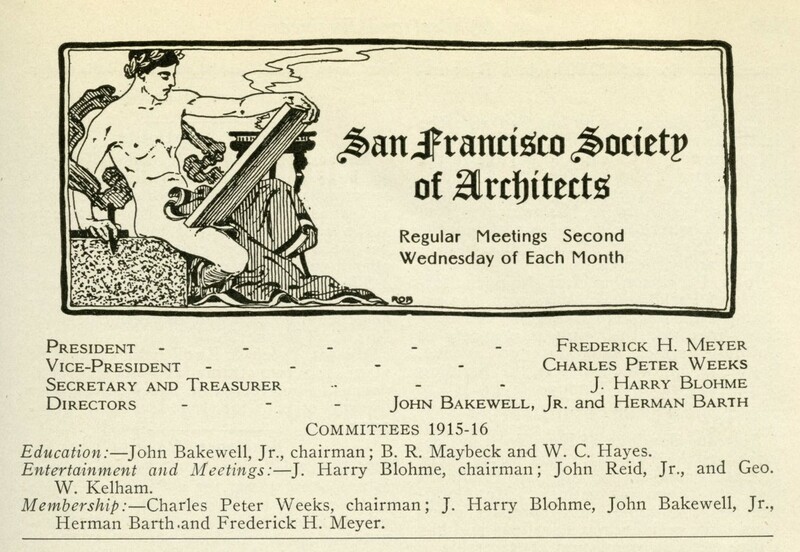 Blohme was the Secretary and Treasurer of the San Francisco Society of Architects and on two other committees in 1915-1916. 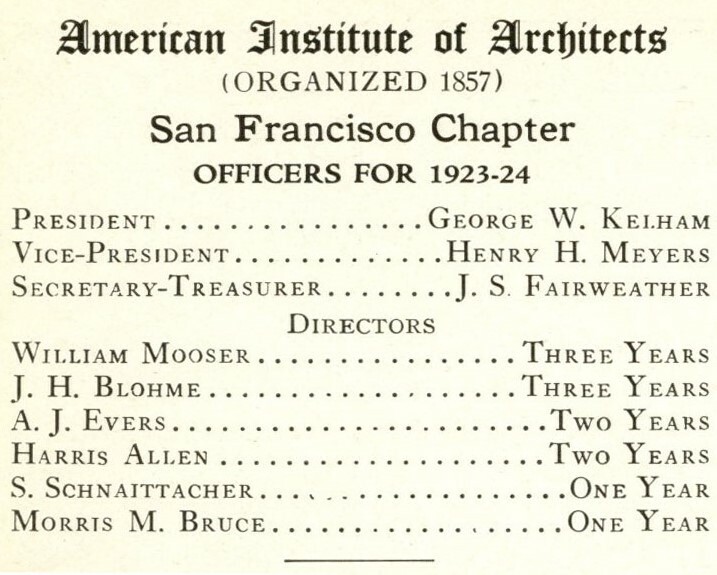 J. Harry Blohme was a director of the San Francisco chapter of the AIA. That was all I had found regarding Blohme. He was a ghost. John Harry Blohme was born December 25, 1878. His parents were John Blohme and Gesine Meyer. Both were born in Germany. I was unable to locate the 1880, 1890 or 1930 census for J. Harry Blohme but I’m guessing it’s because his last name was incorrectly spelled by the census taker. In the 1900 census Blohme was living at 568 12th Street in Oakland, California. He was listed as being 21 and his occupation was “salesman architect.” According to the census he was a boarder in a boarding house but I suspect it was an apartment house. There were forty-five other occupants at this address and one was a family of five (the Knutsens), a family of four (the Lafleurs), a family of three (the Westovers), another family of four (the Mouritzs), a Mr. & Mrs. Smith, a Mr. & Mrs. Warnock, a Mr. & Mrs. Kelly, another family of four (the Blumenthals) along with seventeen other individuals. If it was a boarding house it was a BIG boarding house. On September 24, 1903 Blohme married Tillie Richter. Tillie appears to have been a nickname. Her real name was Mathilda Dorothy Richter. In 1910 Blohme and his wife were living with her parents and her brothers: Arthur and Walter. The census states they had been married for six years and his age was 35 and her age was 30. 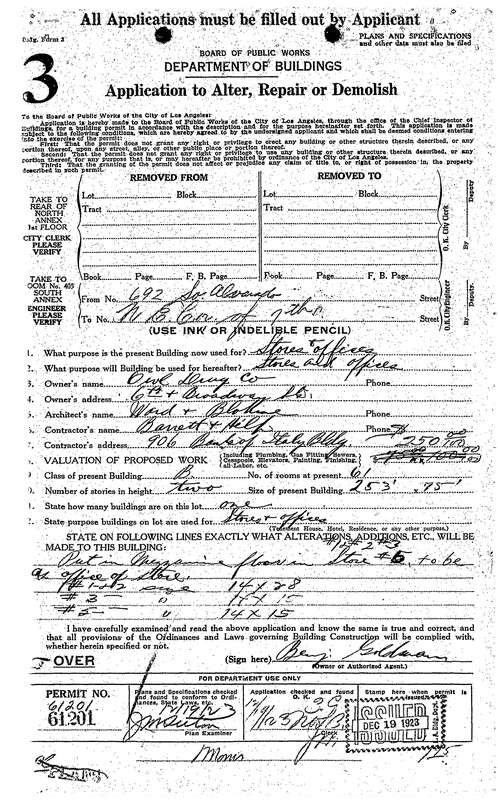 Blohme’s 1918 draft card states the Blohmes were living at 1647 Seventh Avenue in Oakland, California and that he had a medium build, was medium height and had light brown hair and grey eyes. He is listed as an architect with Ward & Blohme and his age is listed as 39. In the 1920 census Blohme and his wife were still living with her mother and her brother (Walter) but this time the address was given as 1607 Seventh Avenue. His occupation is listed as an architect. His age is listed as 40. Tillie’s age is listed as 35. The 1940 census says the couple were living at 637 East 17th Street in Oakland, California and had lived at this same address in 1935. They owned this home and the value of the home was $2,500. The census states he did not attend school or college and then in the next line it states he attended college (4th year). 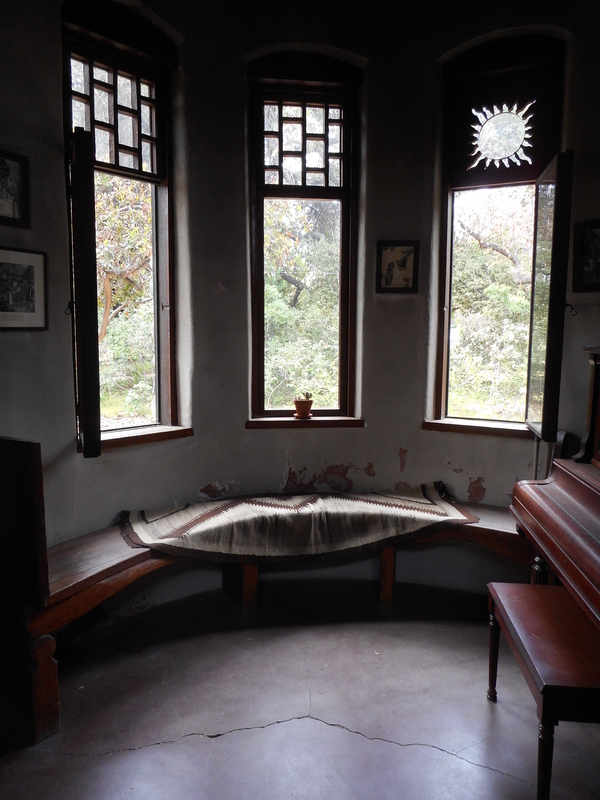 The couple lived alone. [The Blohme’s did not have any children.] J. Harry Blohme’s age was listed as 61 and Tillie’s age was listed as 50. Tillie was shaving years off her age at this point. 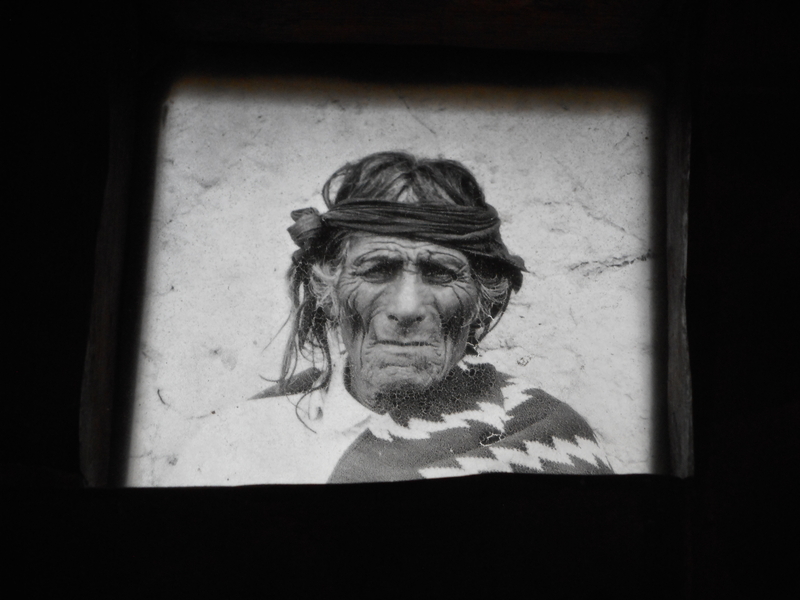 J. Harry Blohme died on August 15, 1940 in Reno, Nevada. He’s Hercules. Best poster EVER for a world’s fair. Perham W. Nahl was the artist. Bakewell, J. Jr. (1912, July). The San Francisco city hall competition. Architect & Engineer, 29(3), 46-78. Bearwald, T. (Ed.). (1913). Year Book San Francisco Architectural Club. San Francisco: Sunset Publishing House. Cahill, B.J.S. (1918, October). Sacramento state building competition. The Architect, 16(4), plate 50. Church floor, The. (1913, October). Architect & Engineer, 34(3), 137. Clarence Ward resigns. (1911, December). Architect & Engineer, 27(2), 99. Competition for San Francisco sub-treasury building. (1911, June). Architect & Engineer, 25(2), 39-51. 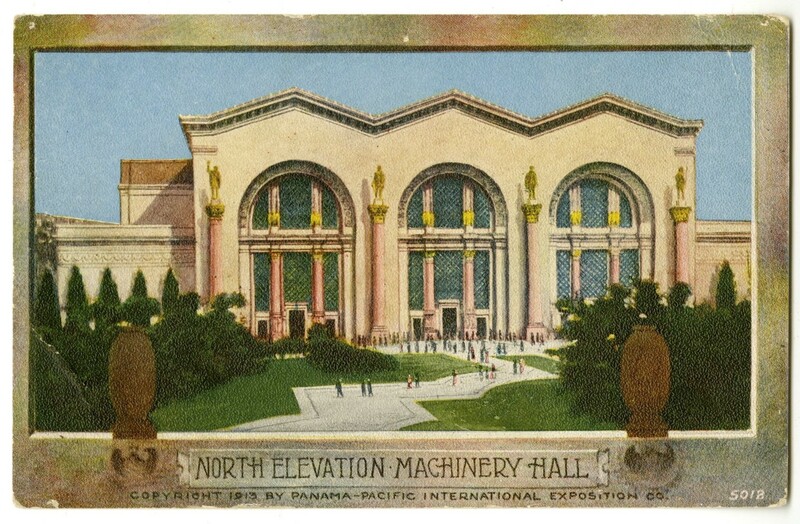 Machinery building at Panama-Pacific Exposition. (1912, October). Architect & Engineer, 30(3), 113. Neuhaus, E. (1915). The art of the exposition. San Francisco: Paul Elder and Company. No intention to slight Mr. Bryant. (1912, June). Architect & Engineer, 29(2), 212. 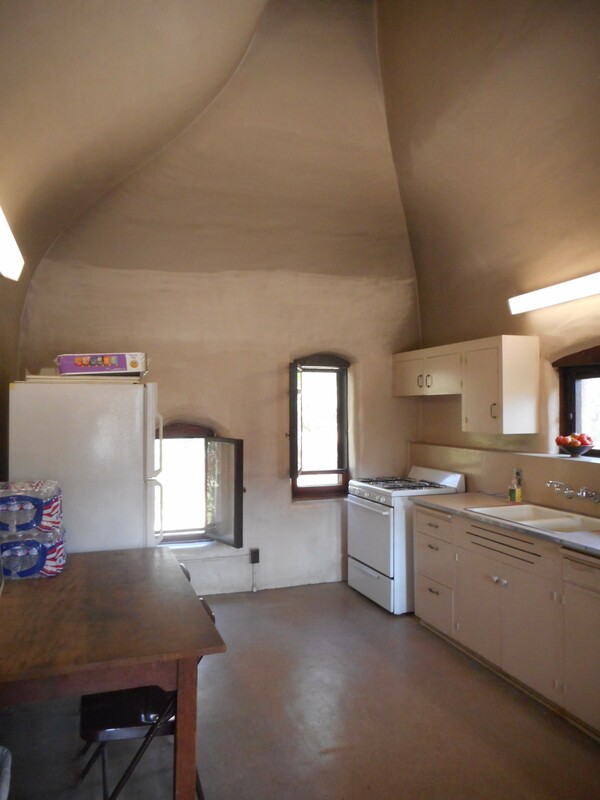 Roofed with large Spanish tile. (1916, January). The Architect, 11(1), 8. Store and office building. (1923, March 30). Southwest Builder and Contractor, 61(13), 18. To break ground New Year’s day. (1912, December 15). San Francisco Chronicle, p. 33. Todd, F. M. (1921). The story of the exposition. New York: Putnam. Two of Ward & Blohme’s buildings. (1911, October). Architect & Engineer, 26(3), 68-69. Ward, C. R. (1912, April). Suggestions for creating a city beautiful. Architect & Engineer, 28(3), 66-67. Ward & Blohme. (1918, December 18). 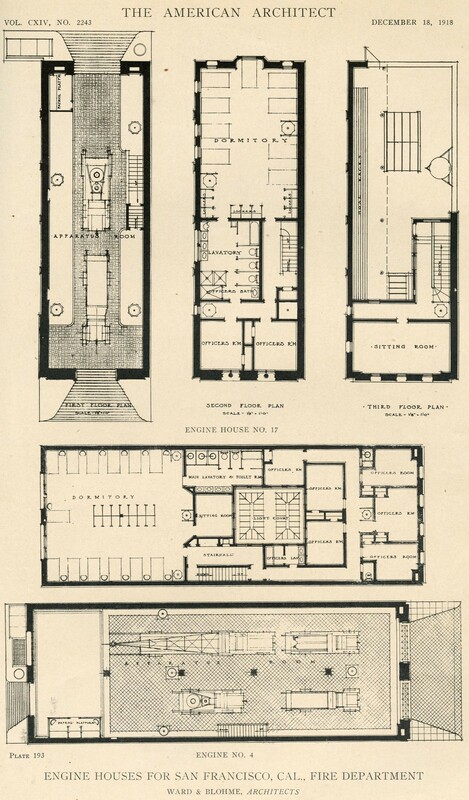 American Architect, 114(2243), plates 187-193. Ward and Blohme. (1914, June). Architect & Engineer, 37(2), 115. Who’s Who in California 1928/29. (1929). San Francisco: Who’s Who Publishing Company. Wolfe, W. C. (1926). Men of California. San Francisco: Western Press Reporter. 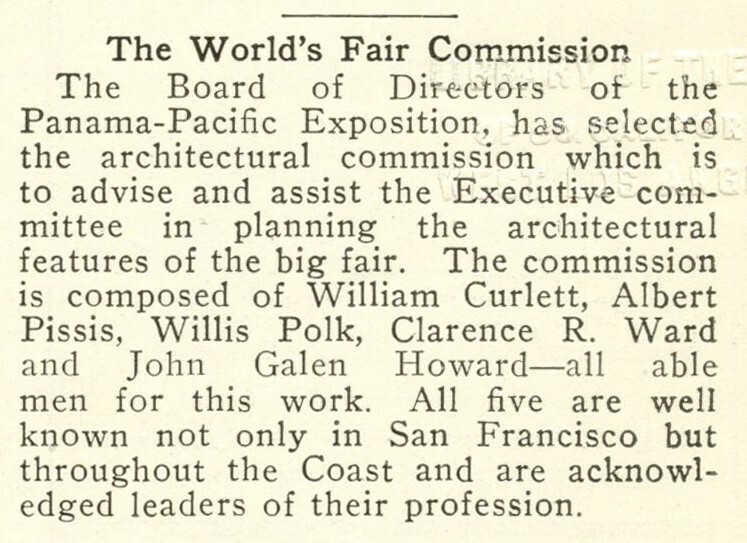 World’s fair commission. (1911, August). Architect & Engineer, 26(1), 101. 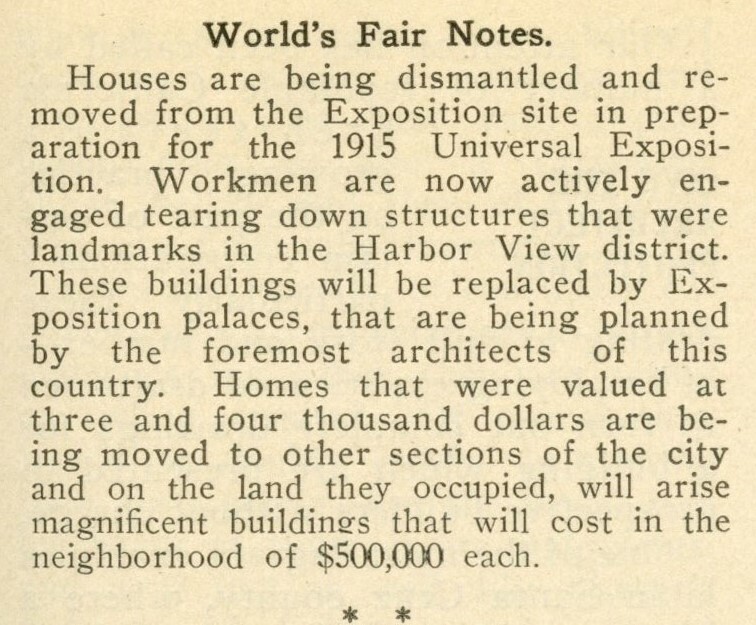 World’s fair notes. (1912, May). Architect & Engineer, 29(1), 101.